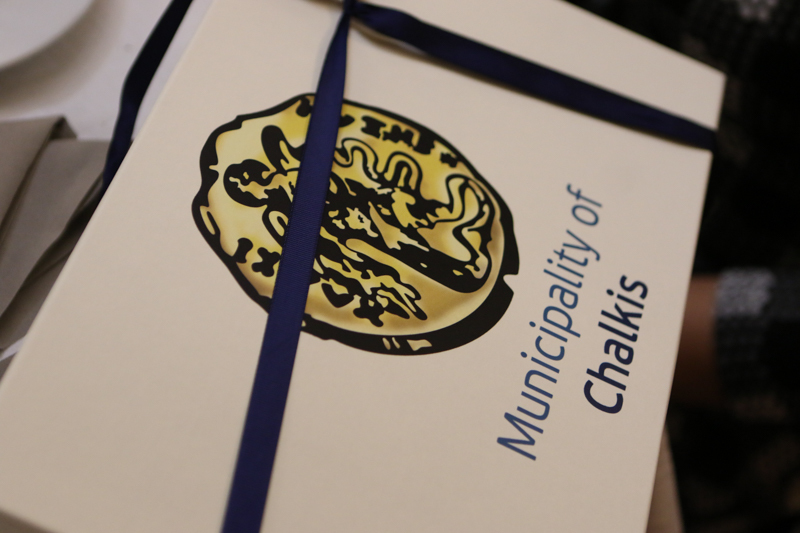 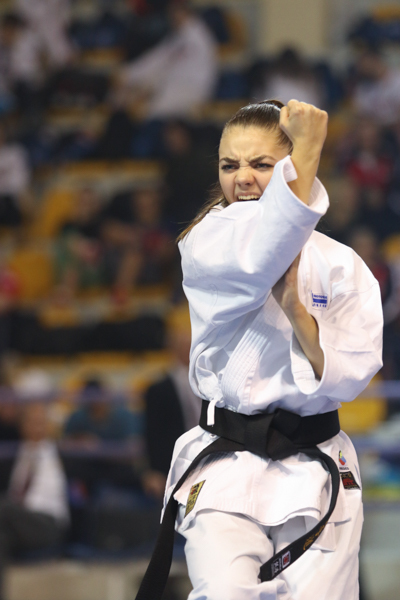 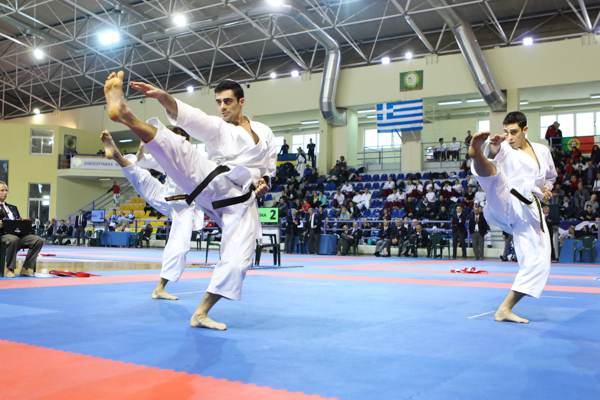 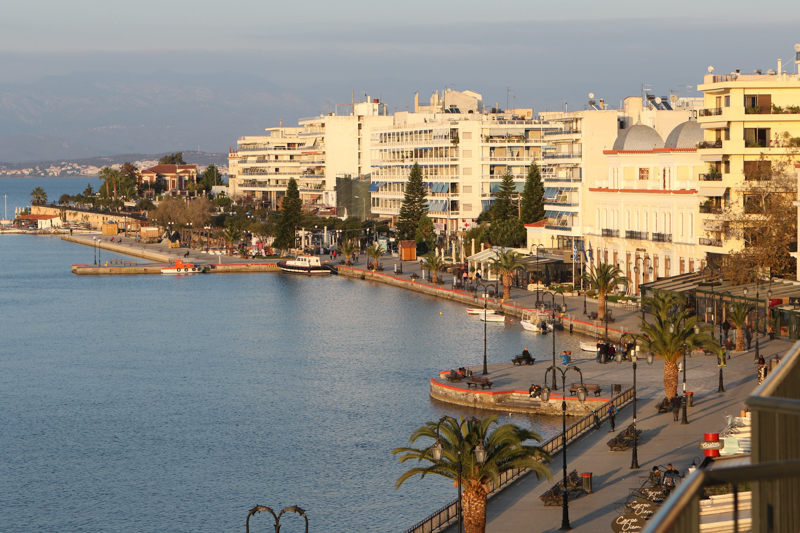 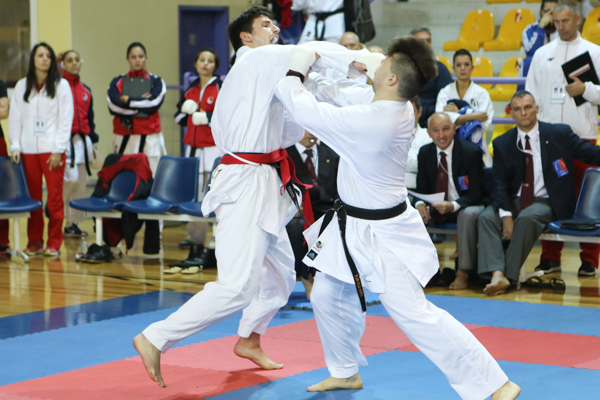 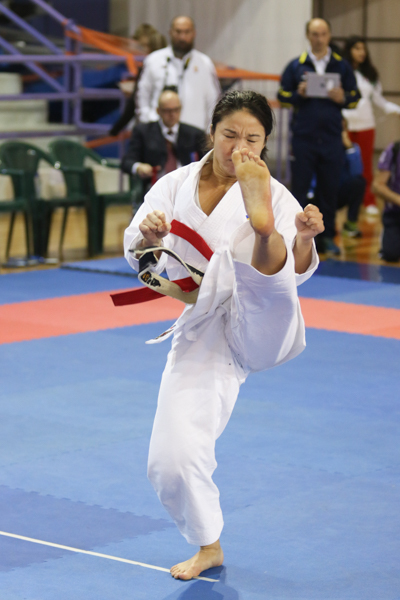 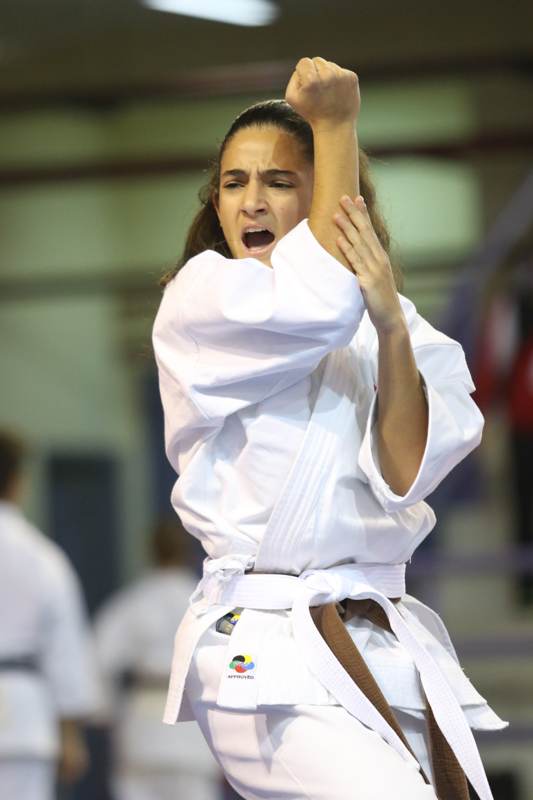 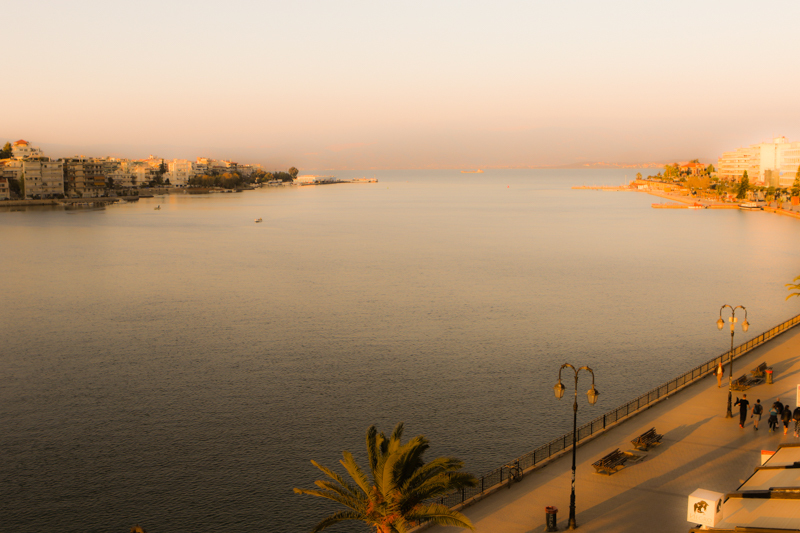 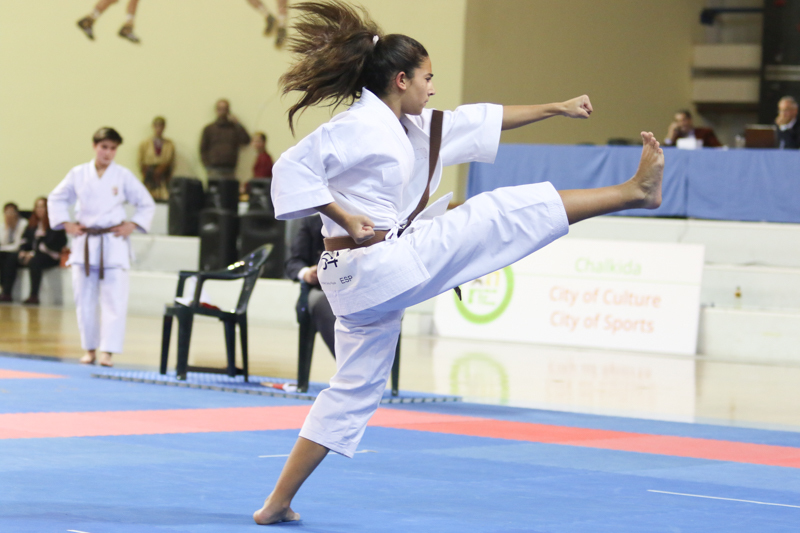 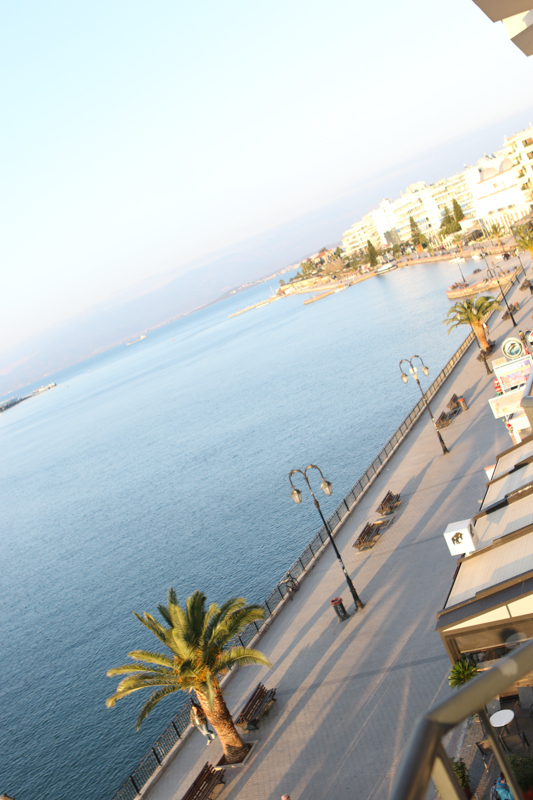 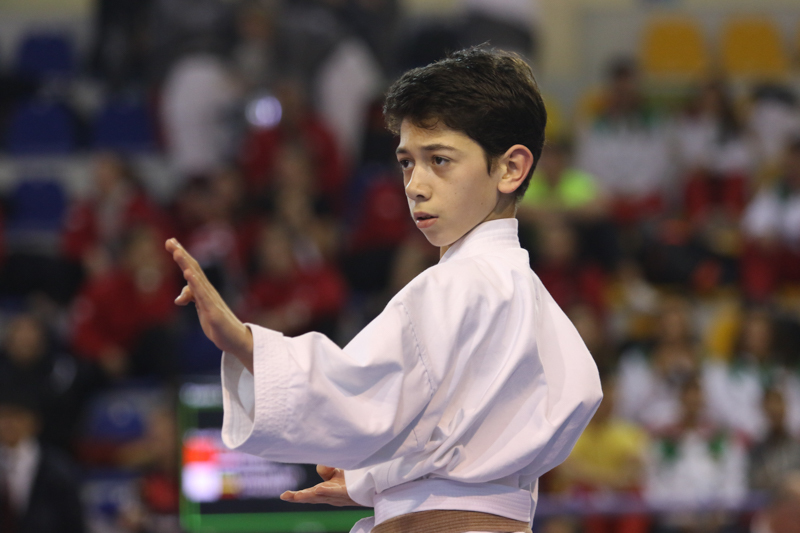 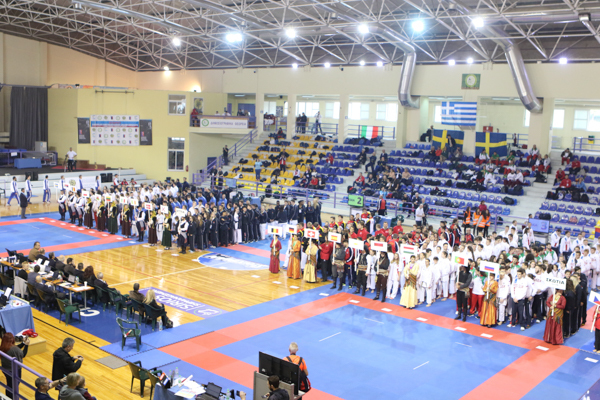 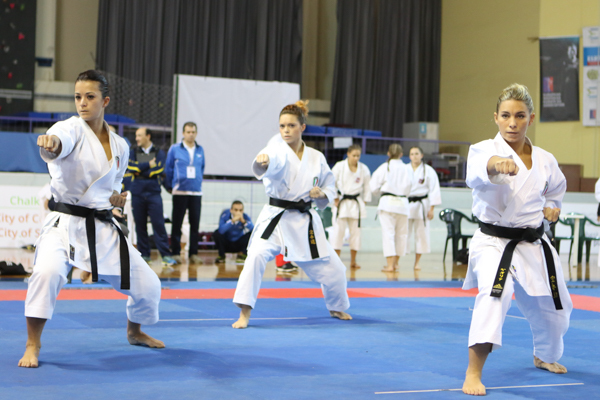 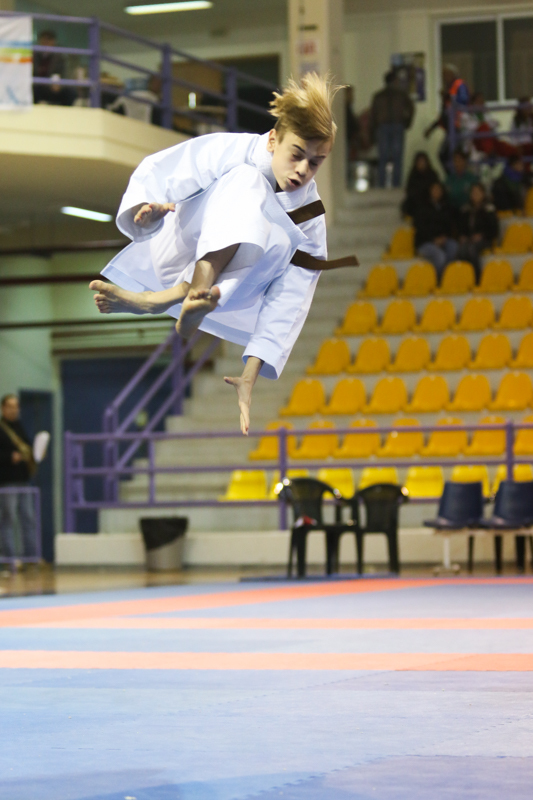 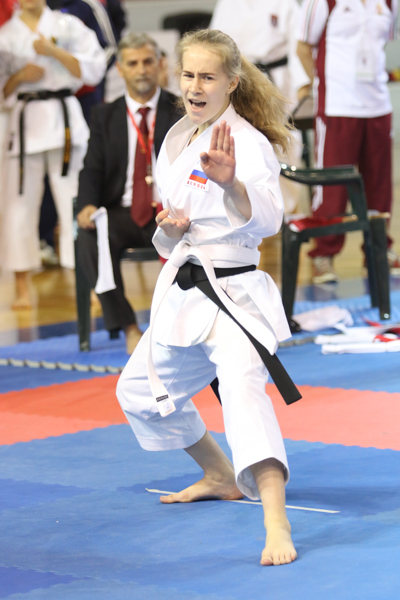 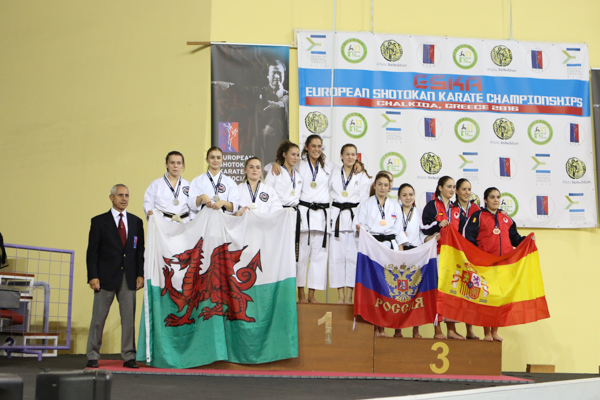 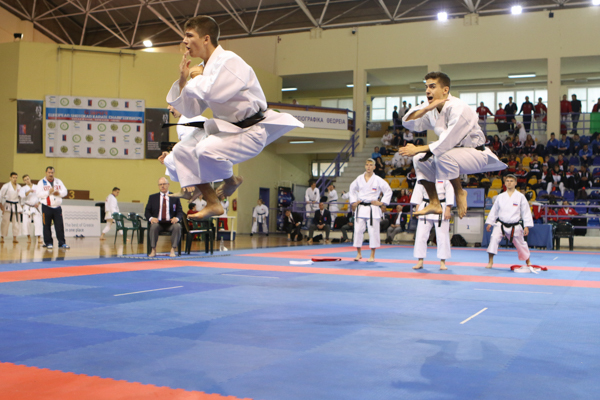 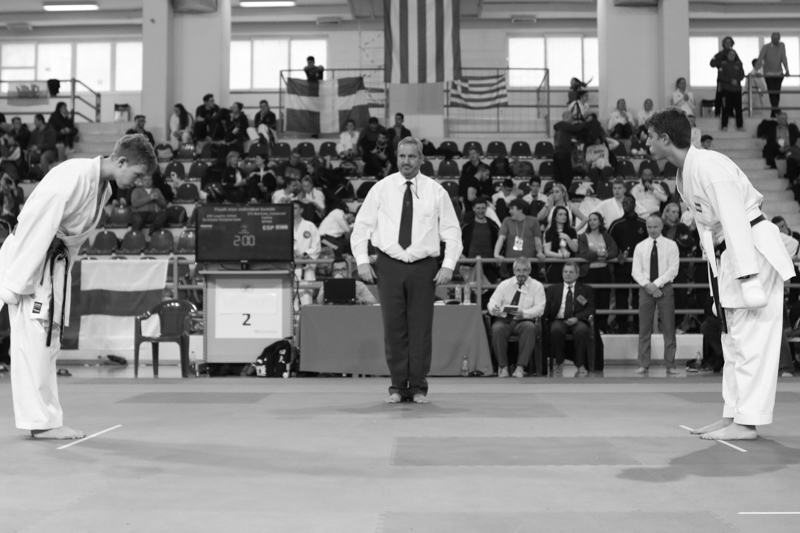 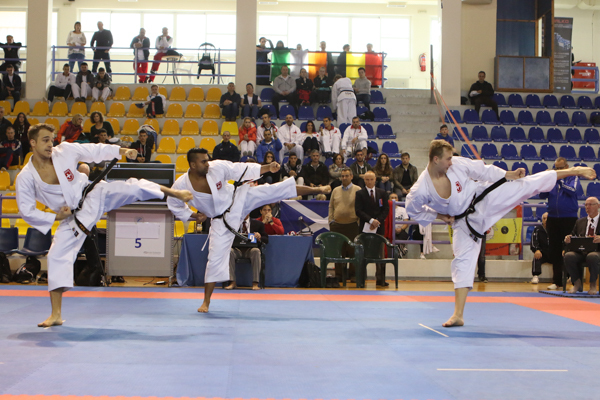 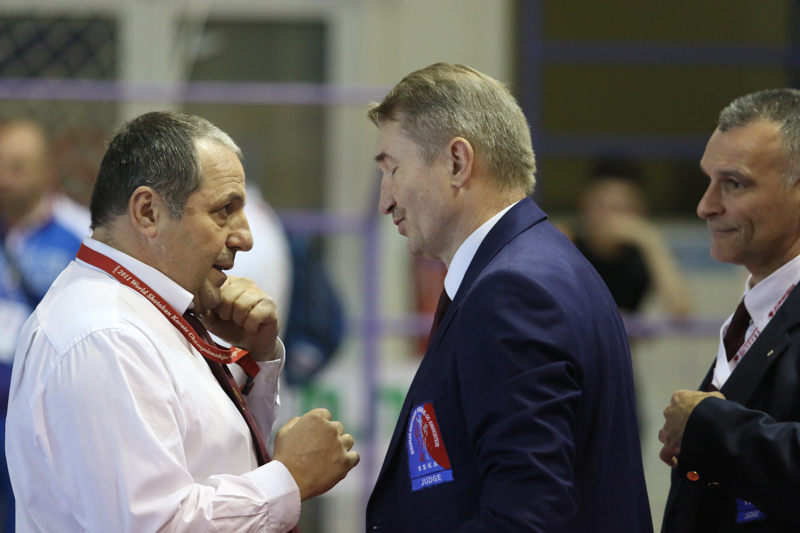 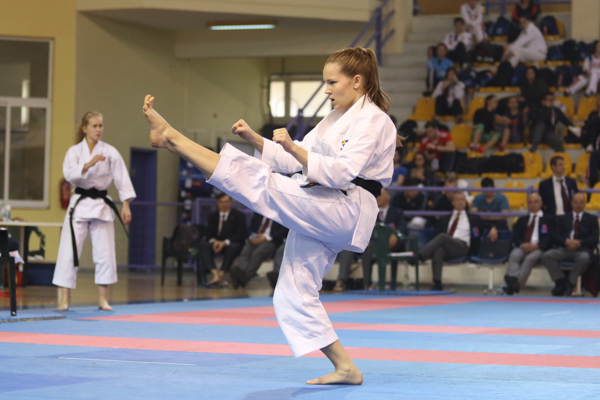 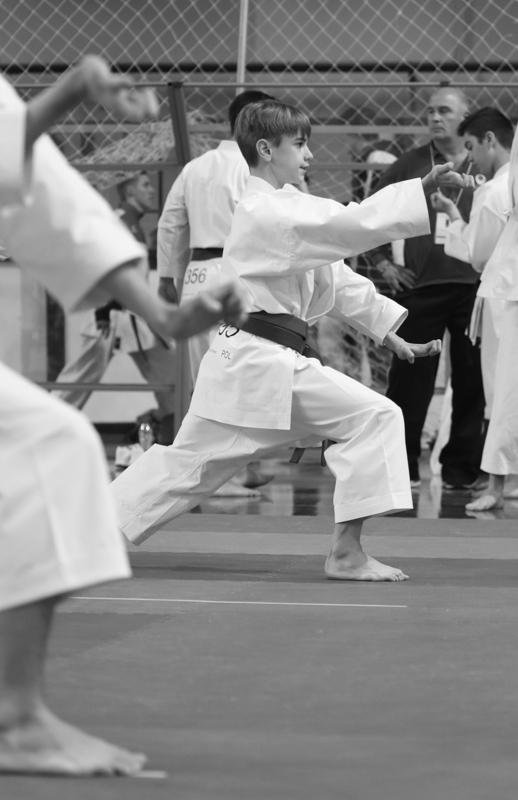 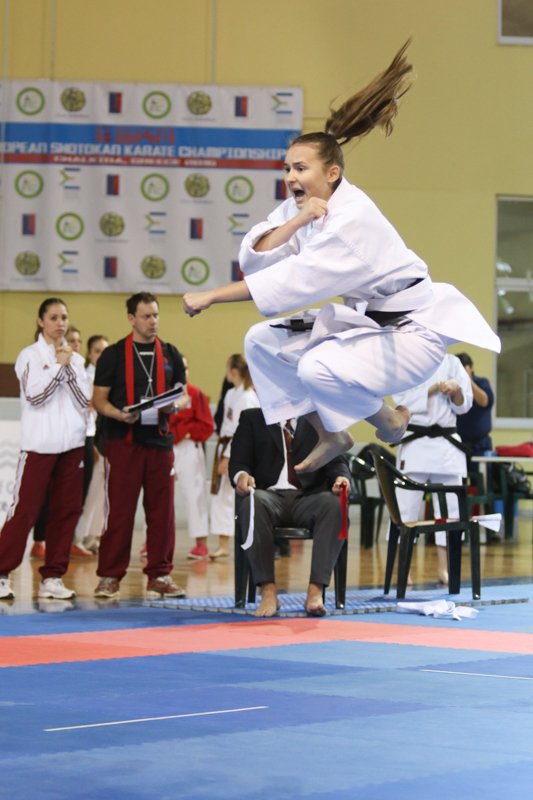 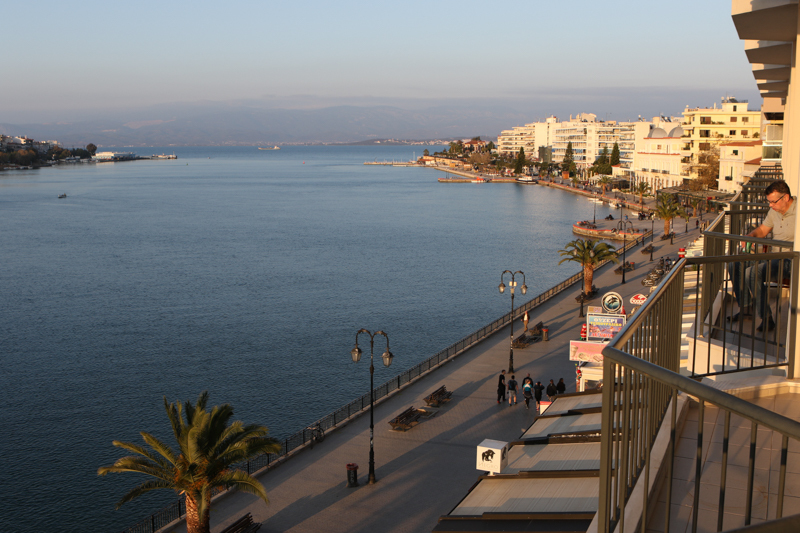 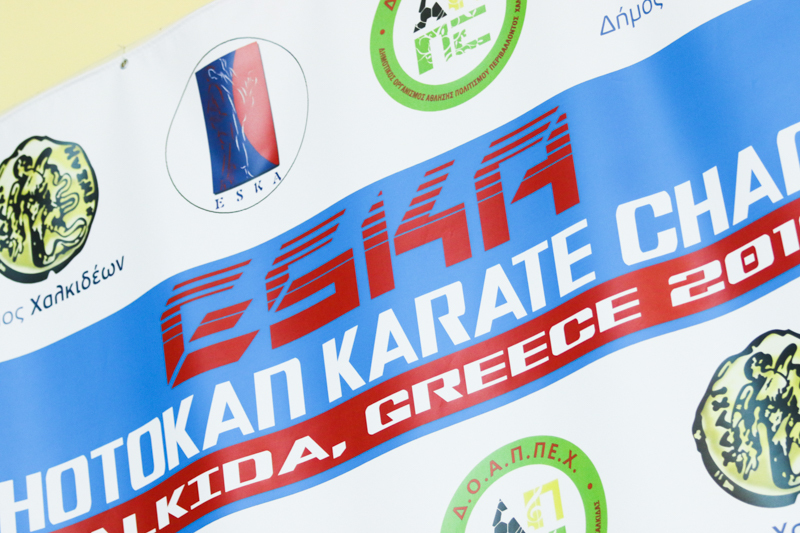 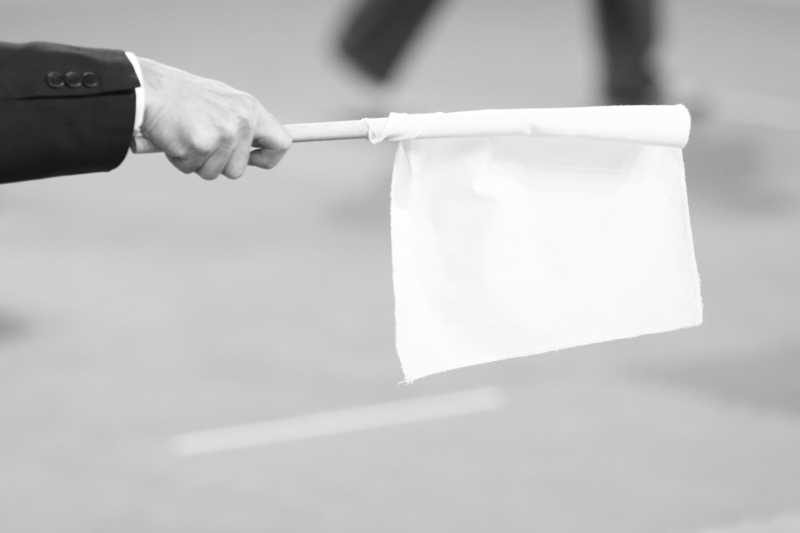 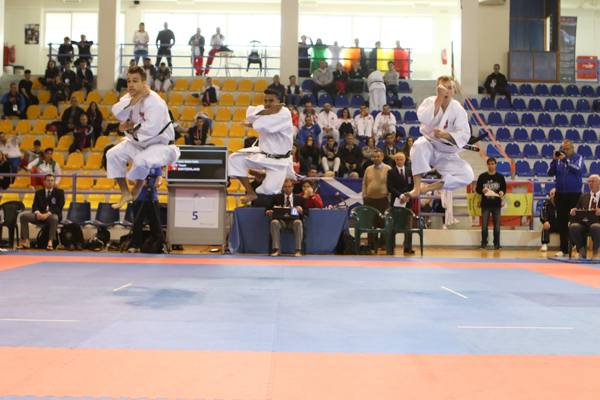 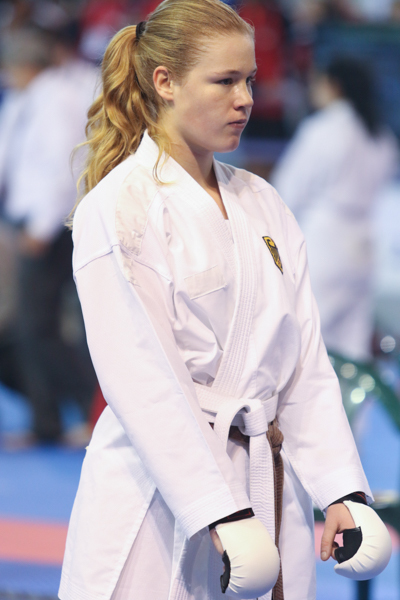 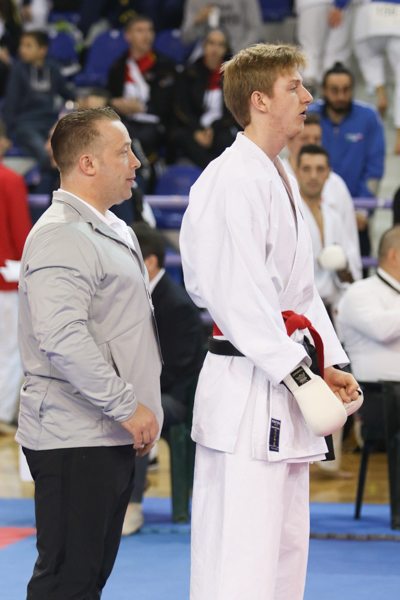 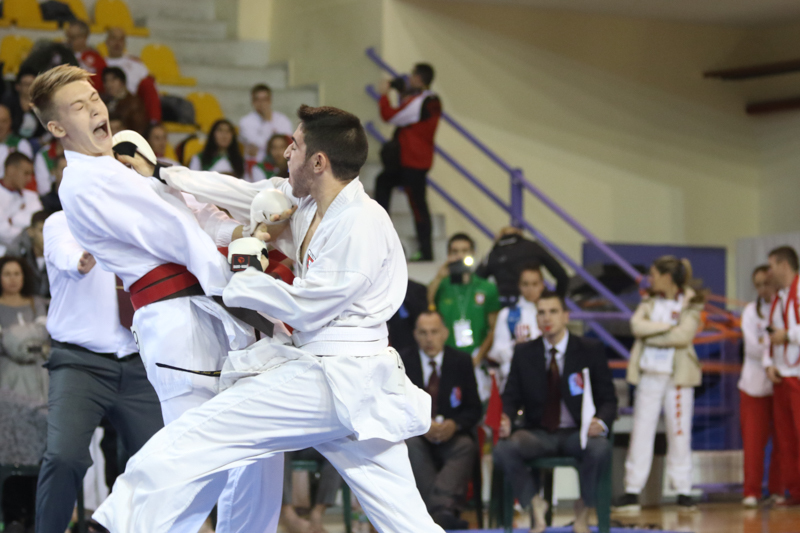 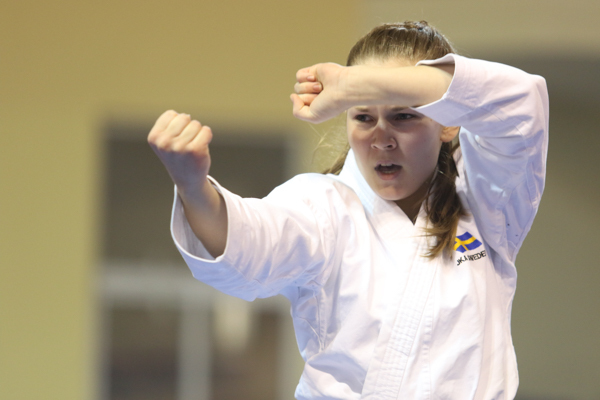 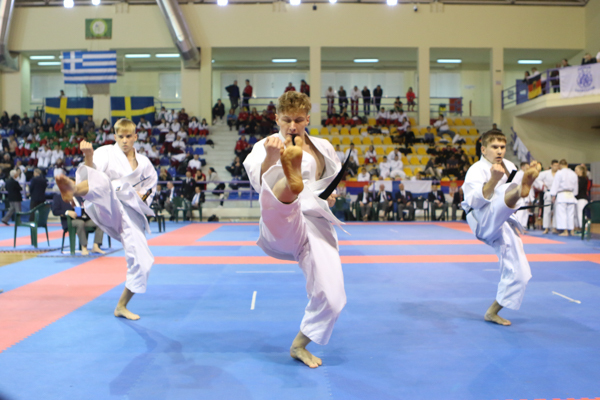 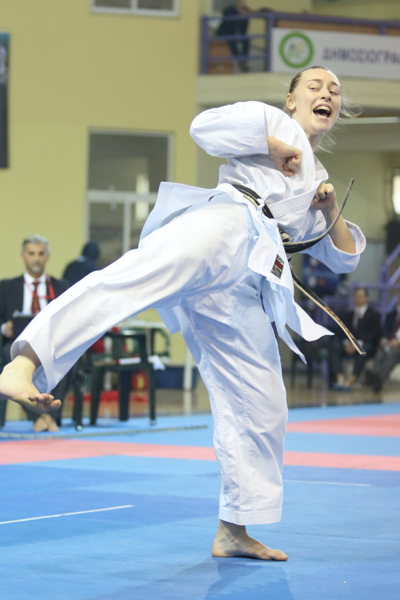 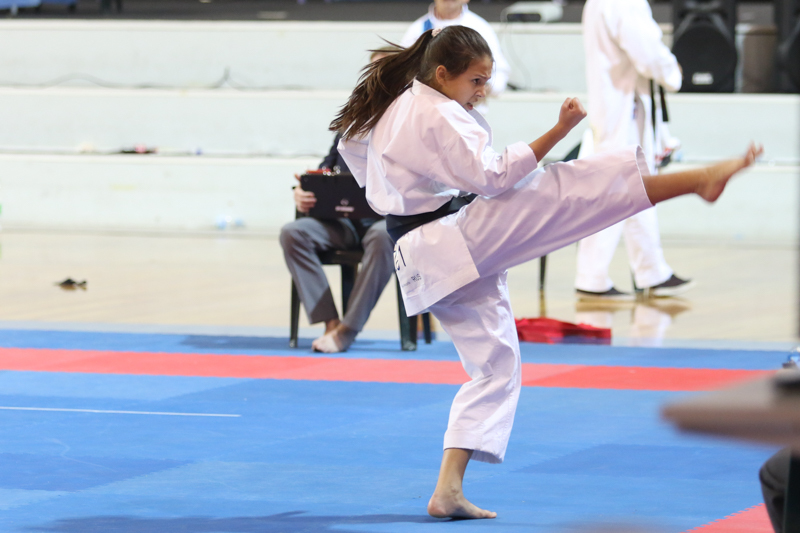 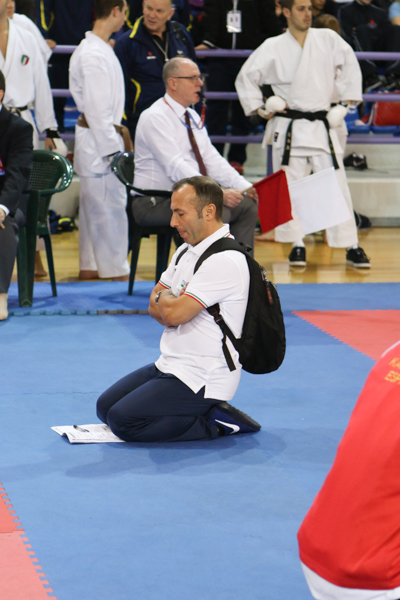 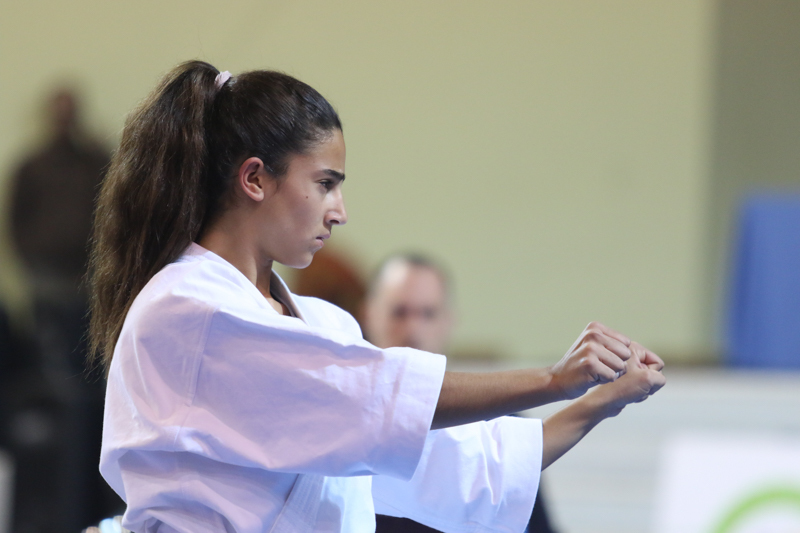 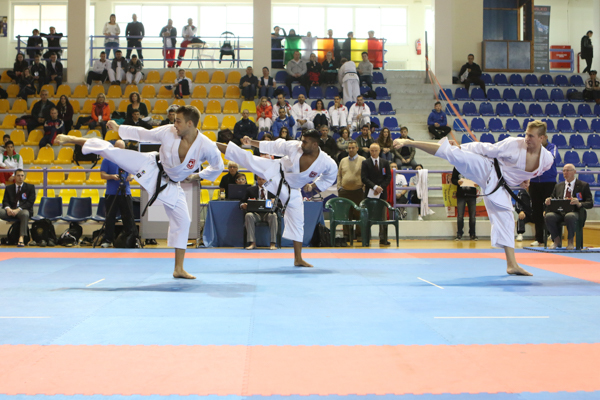 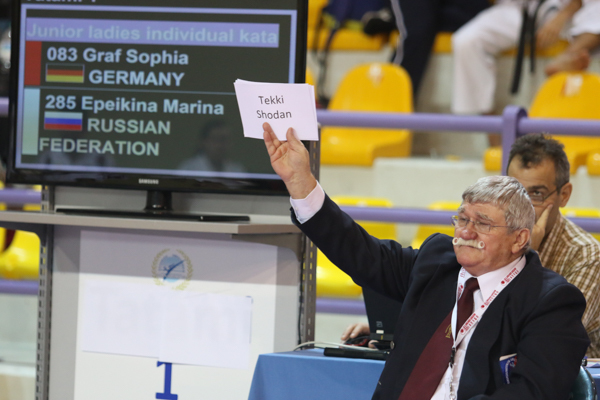 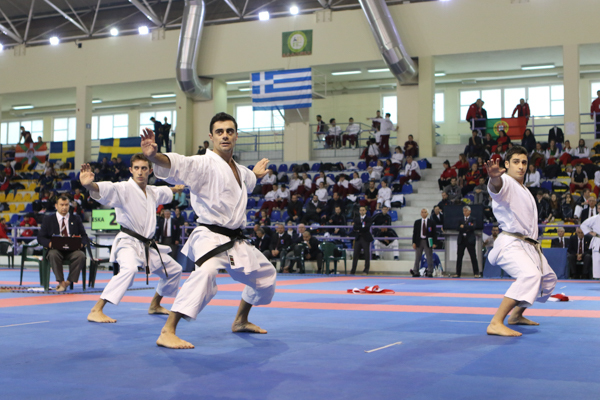 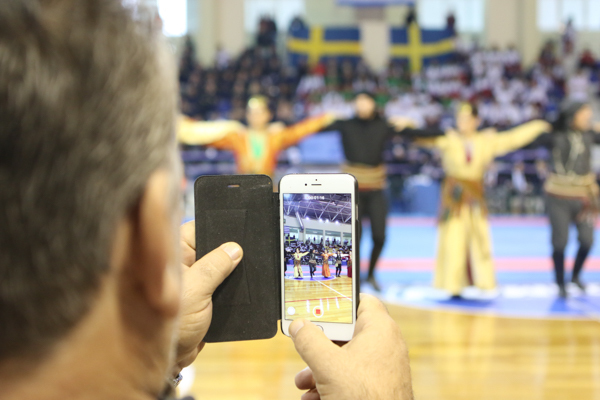 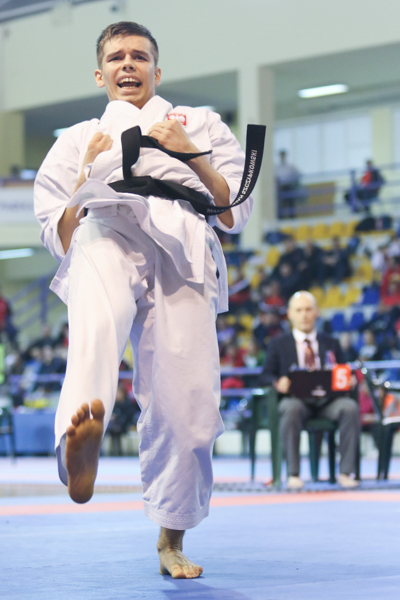 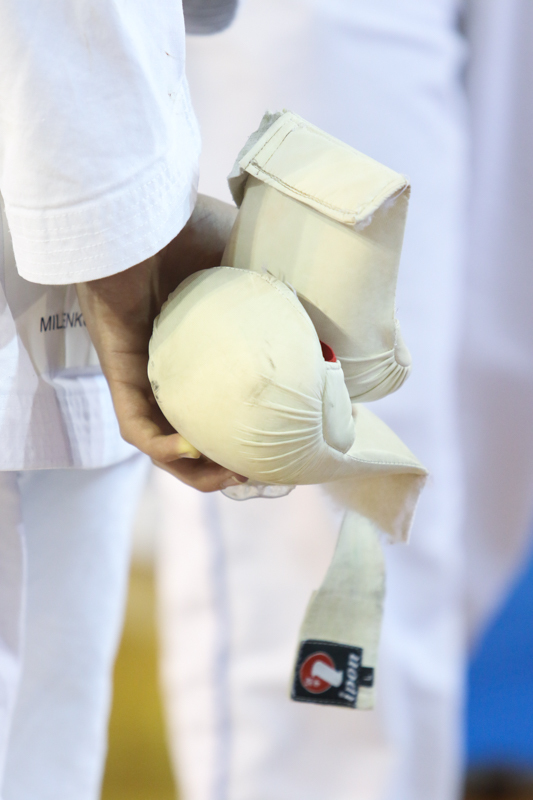 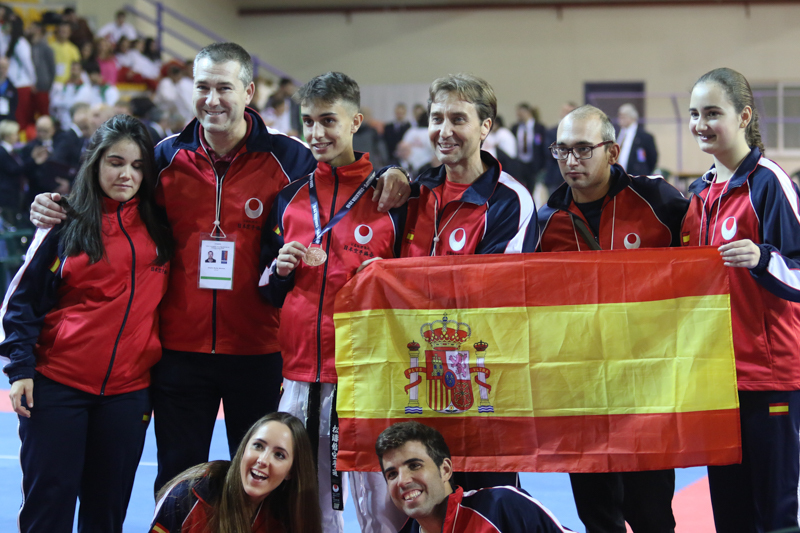 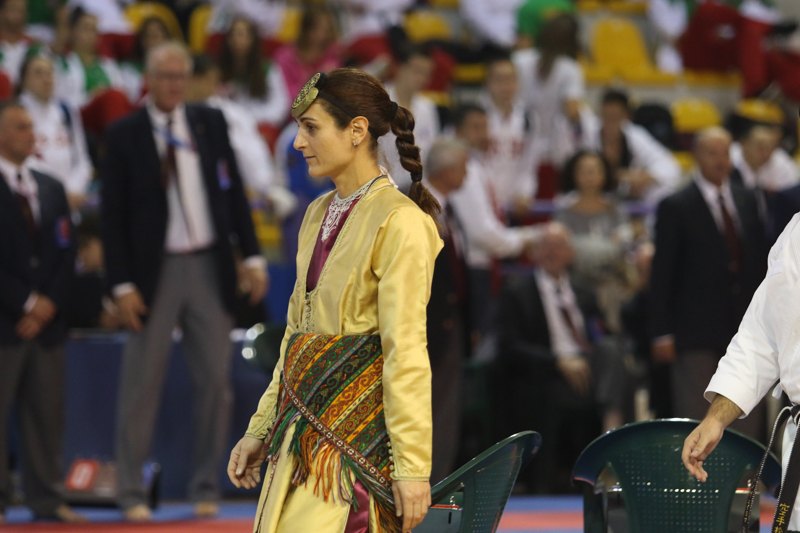 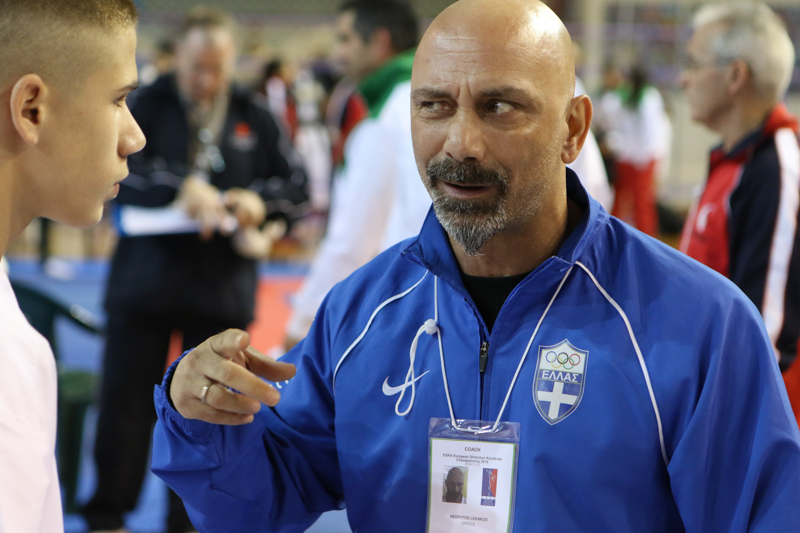 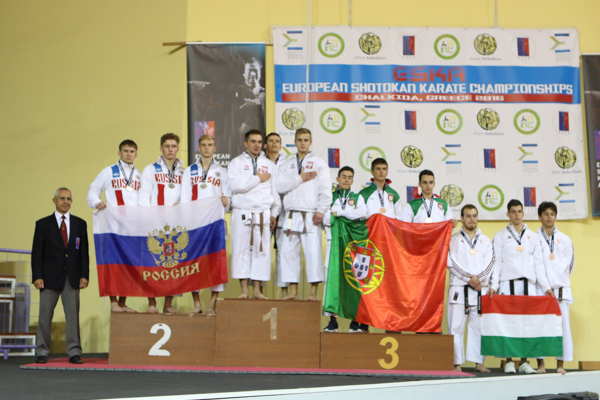 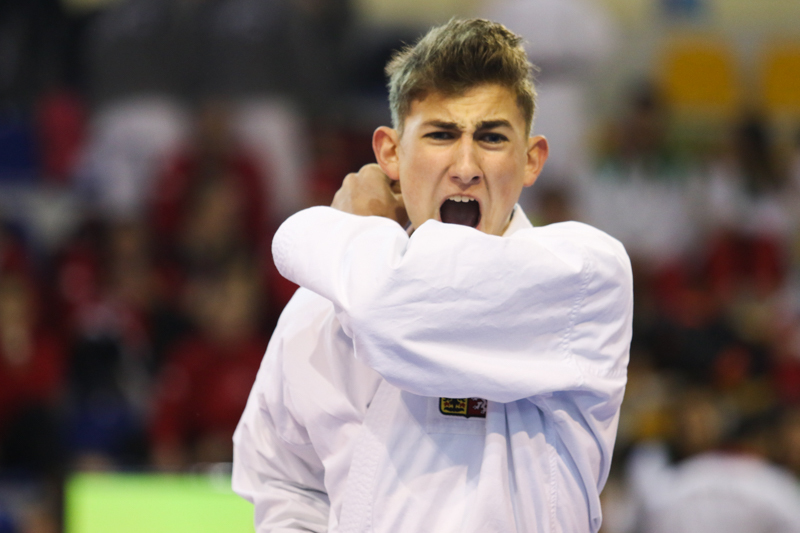 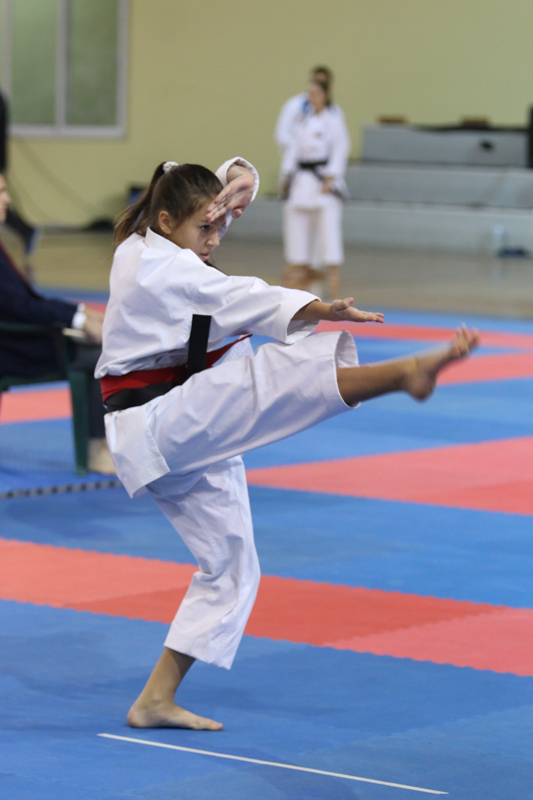 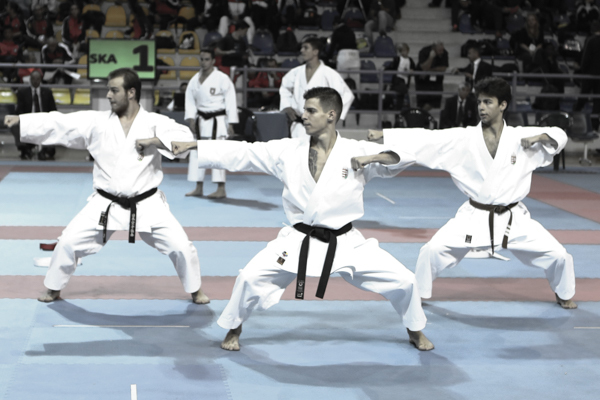 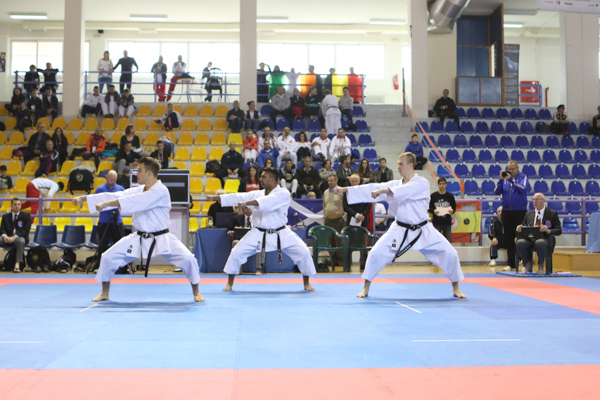 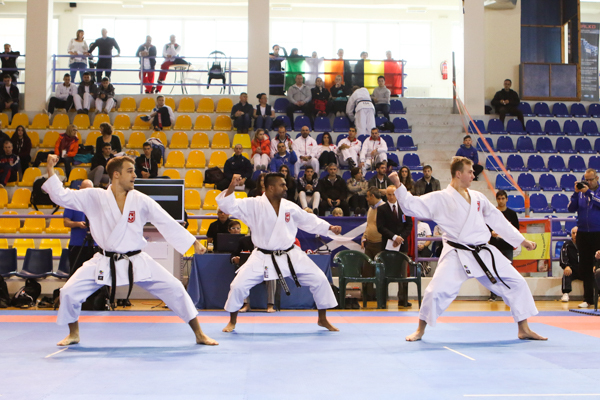 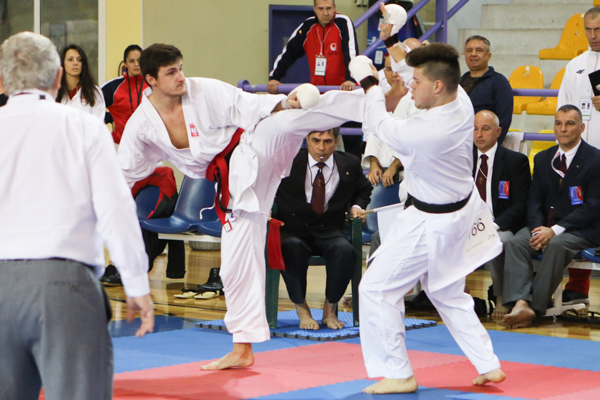 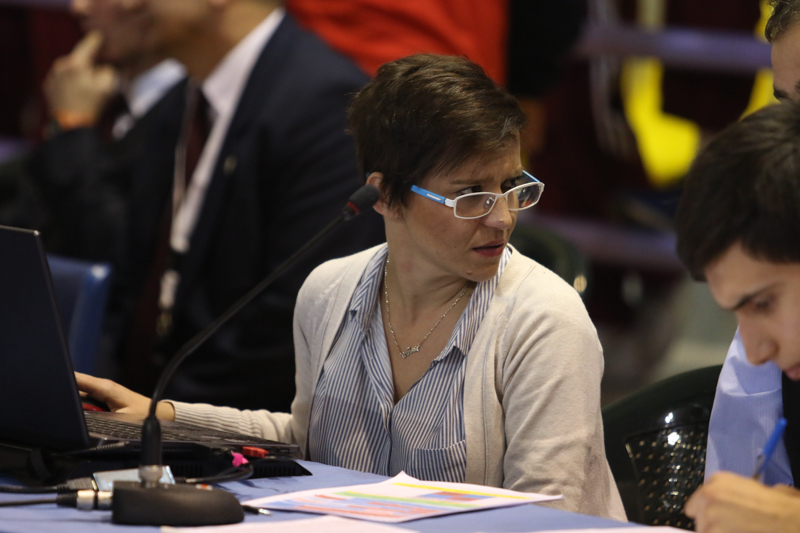 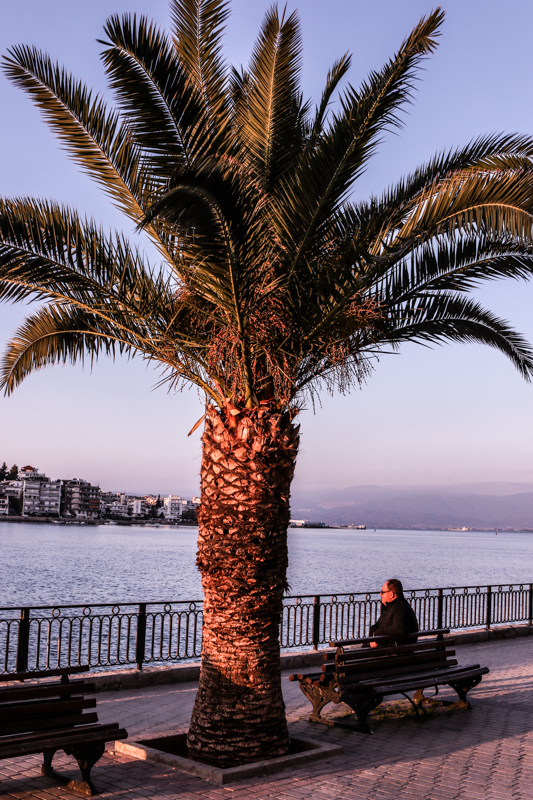 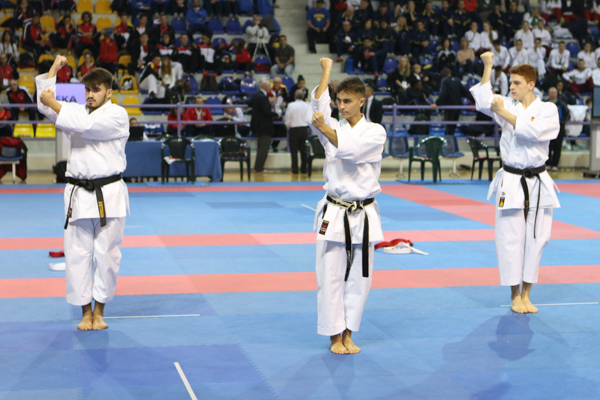 After the last ESKA championships in Athens in 1989 the greek city of Chalkida hosted the 31st edition of the European Karate-Do Championships. 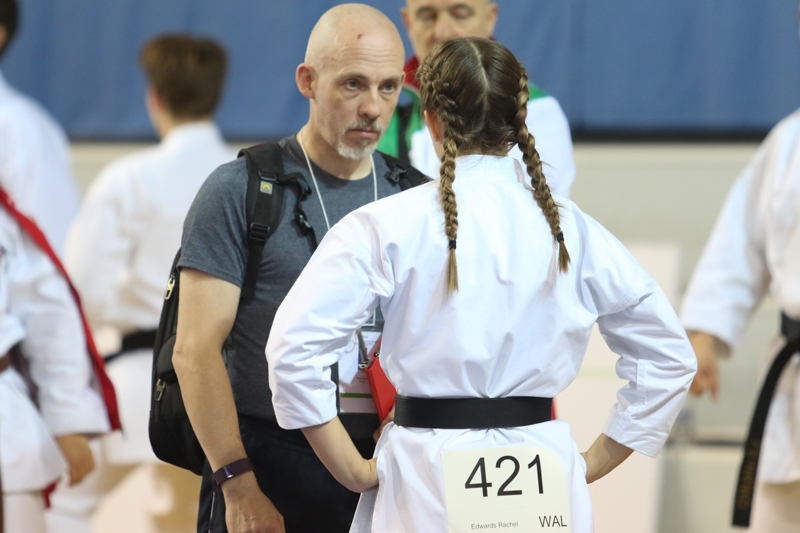 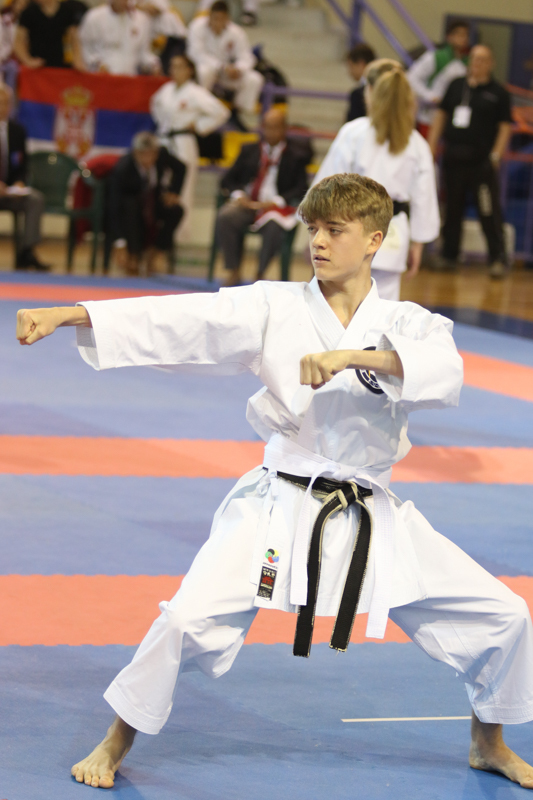 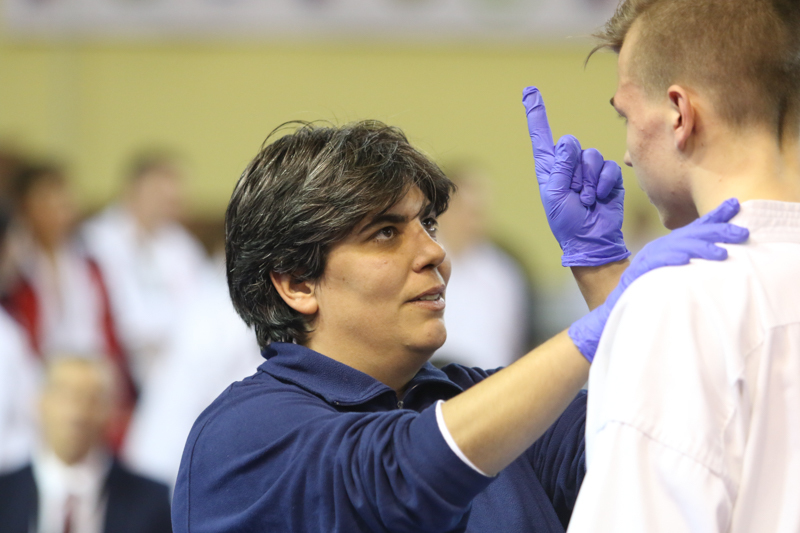 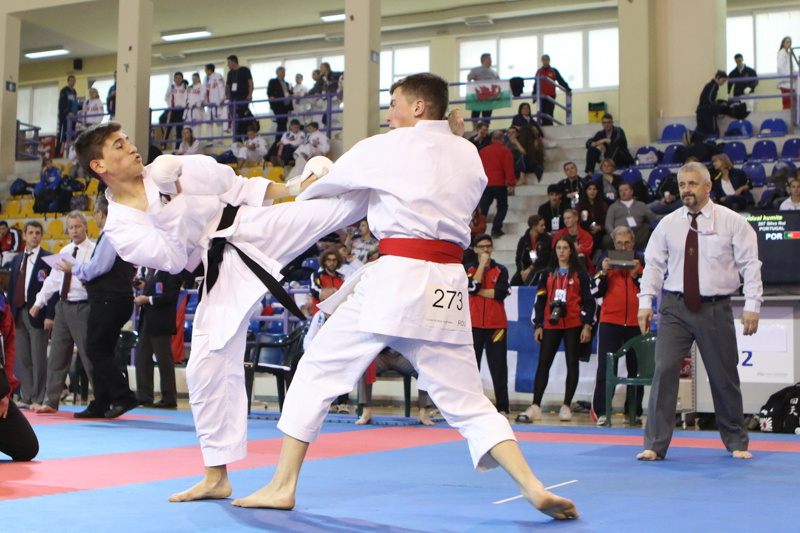 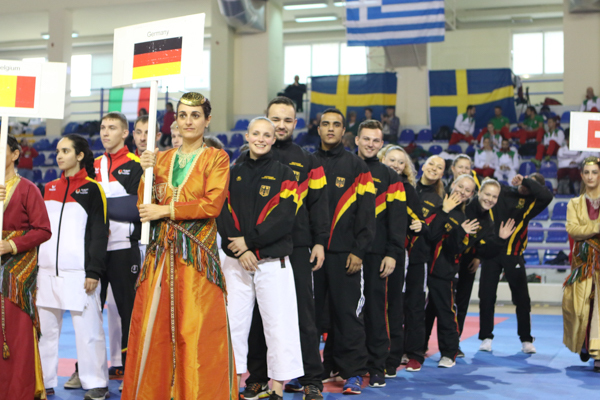 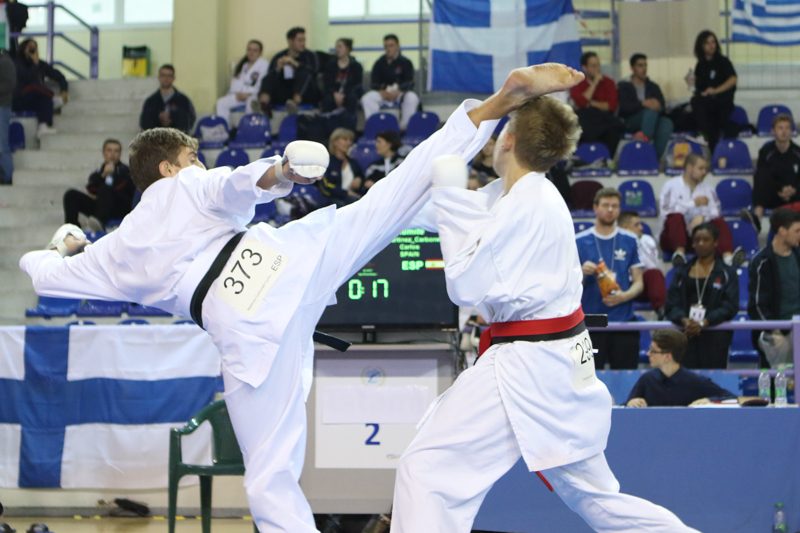 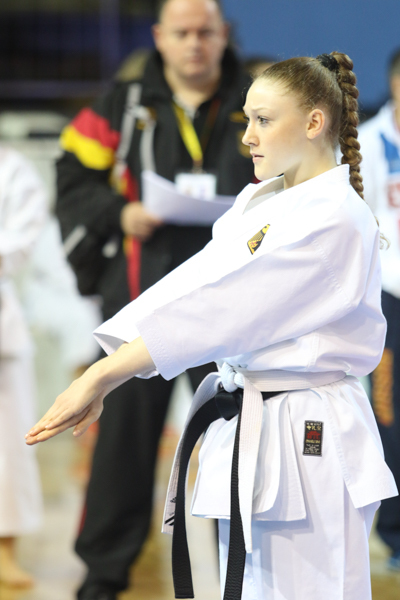 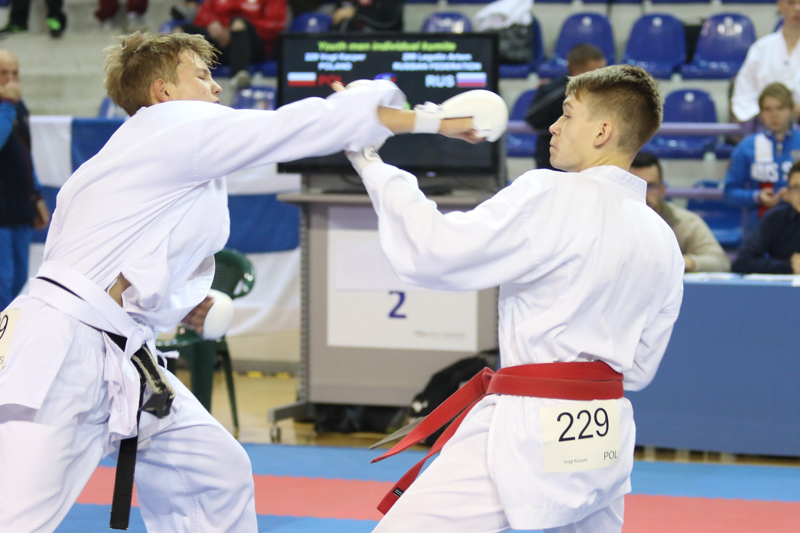 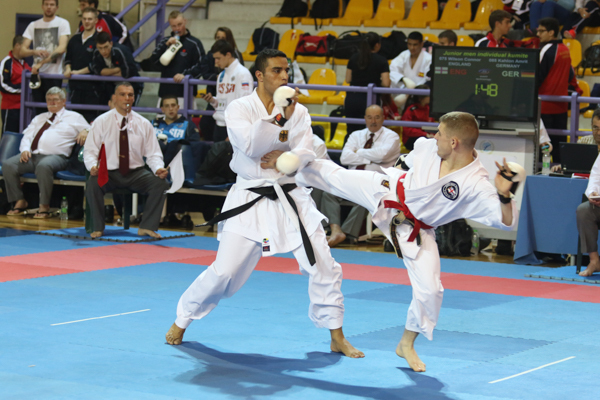 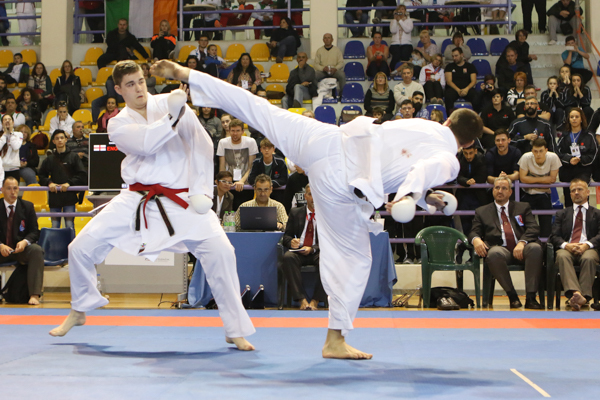 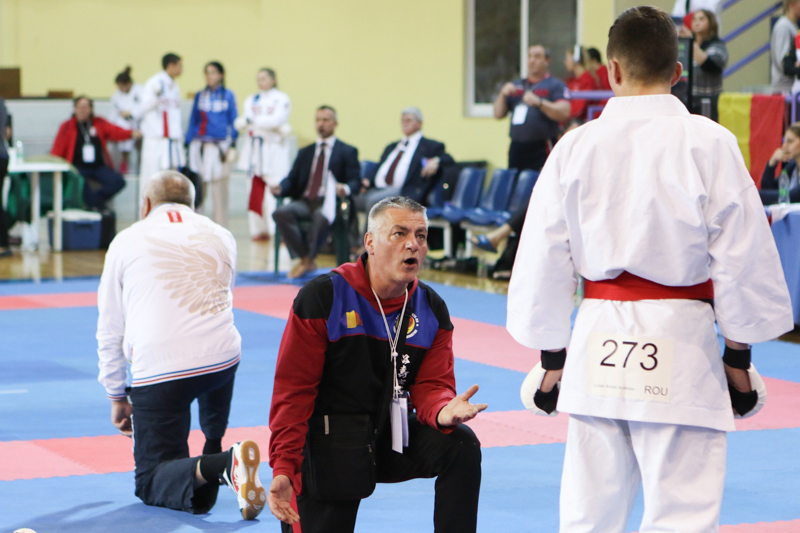 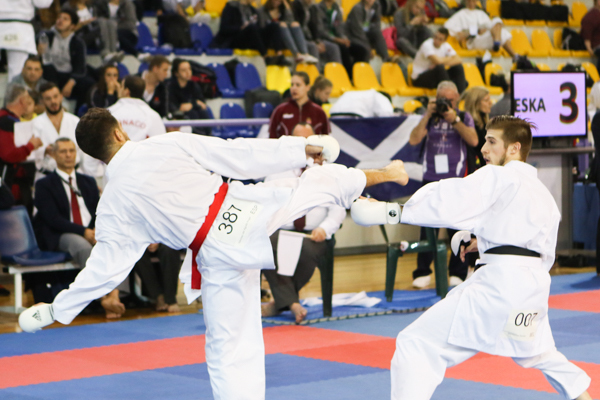 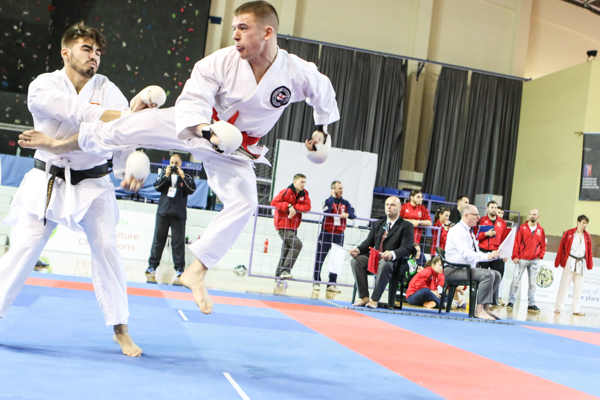 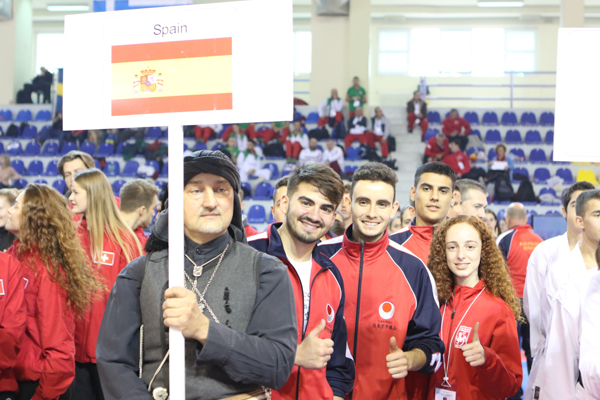 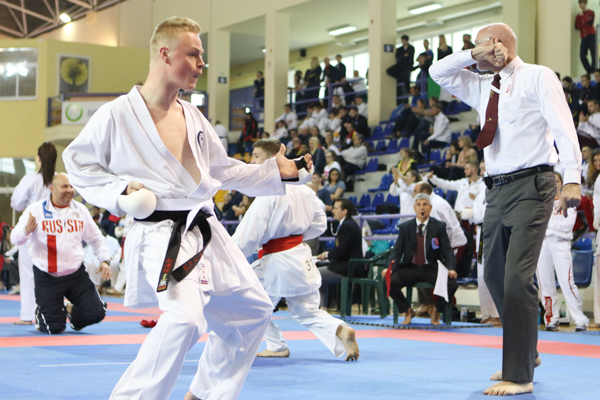 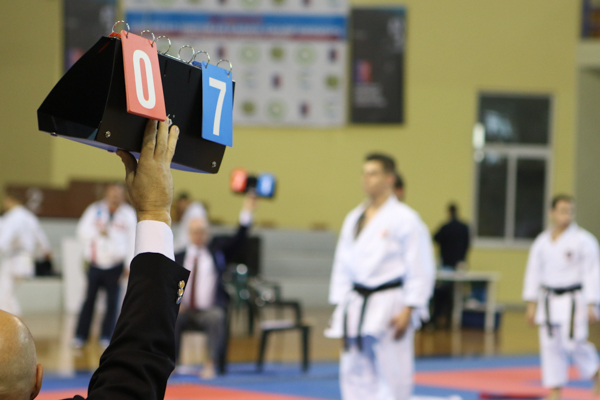 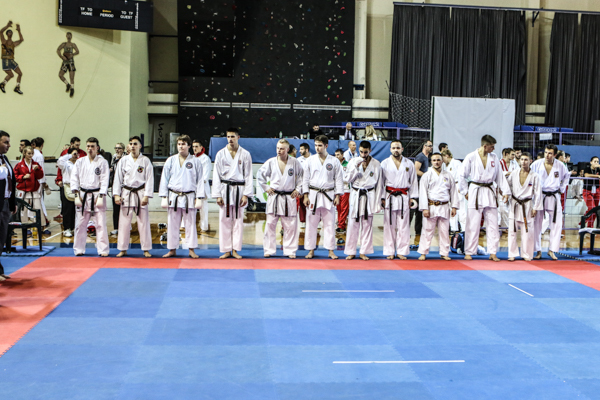 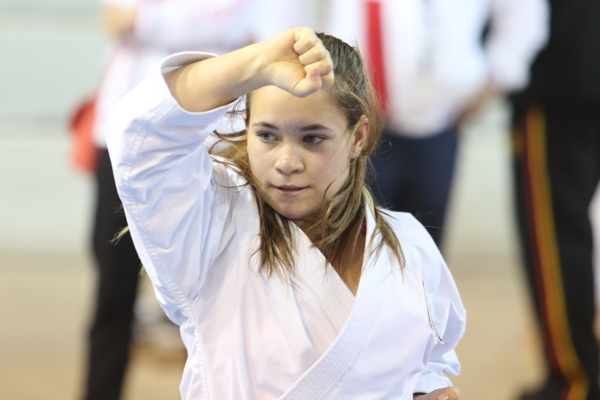 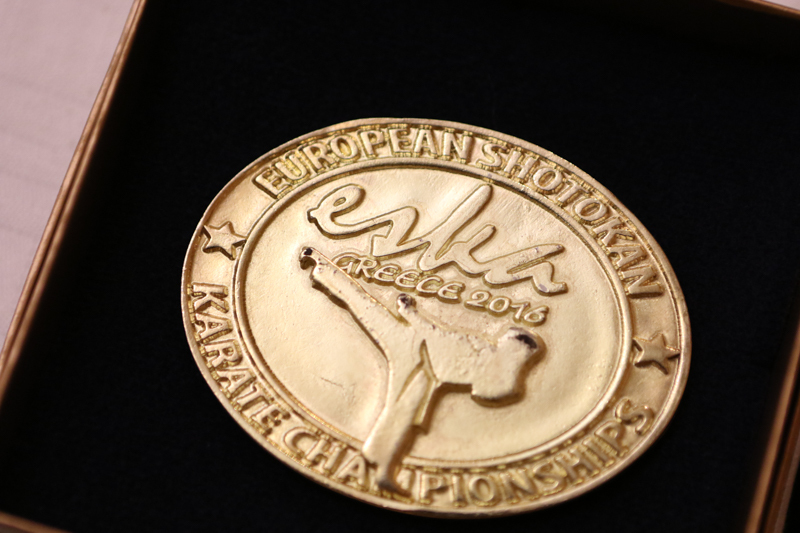 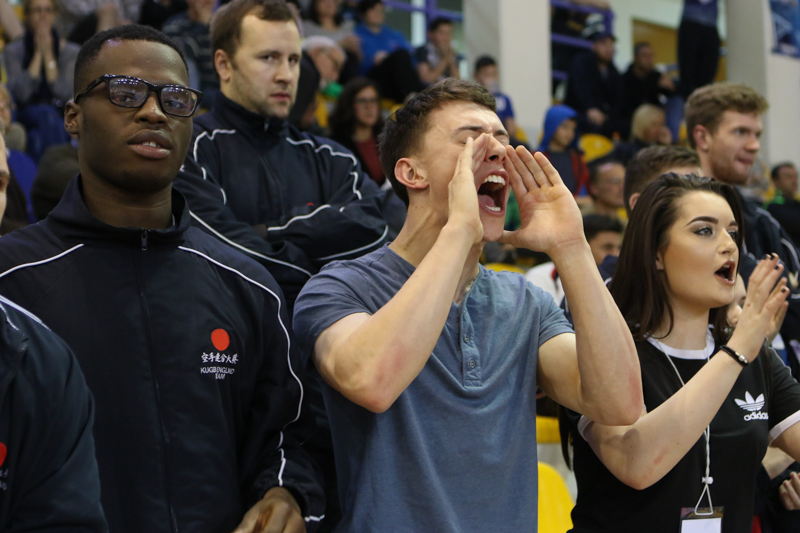 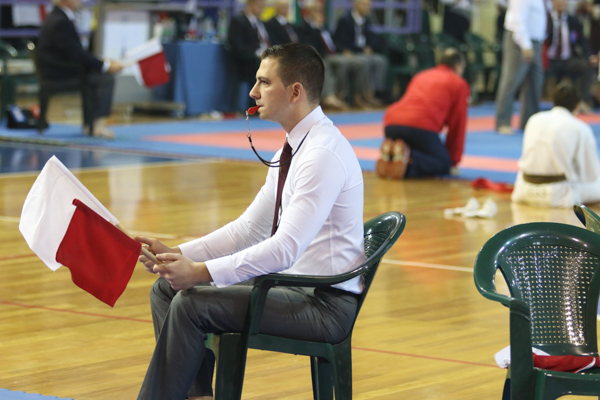 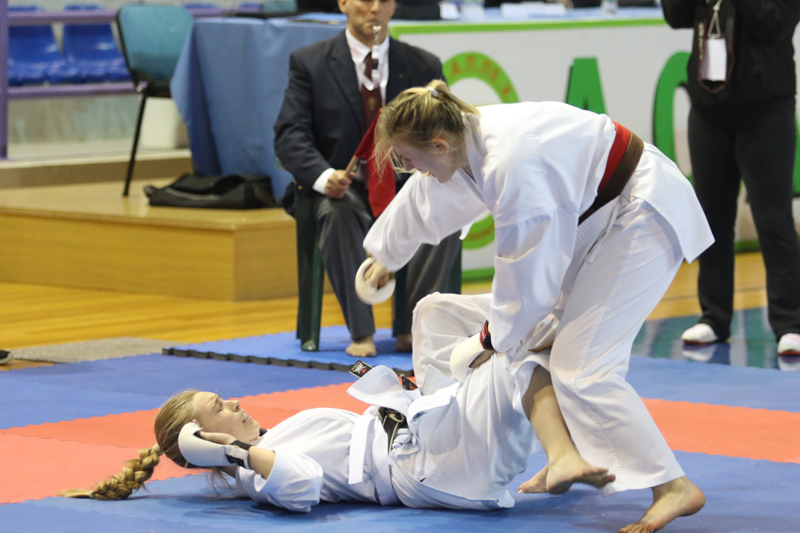 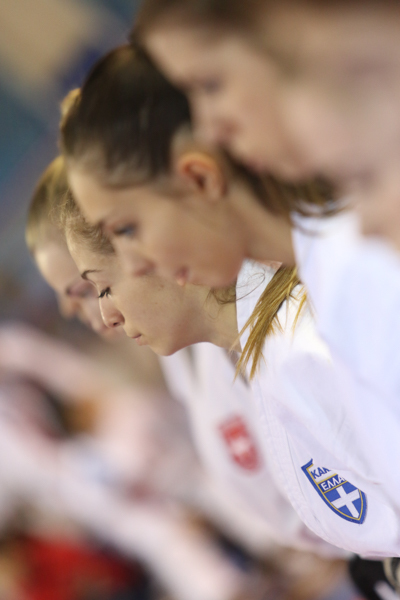 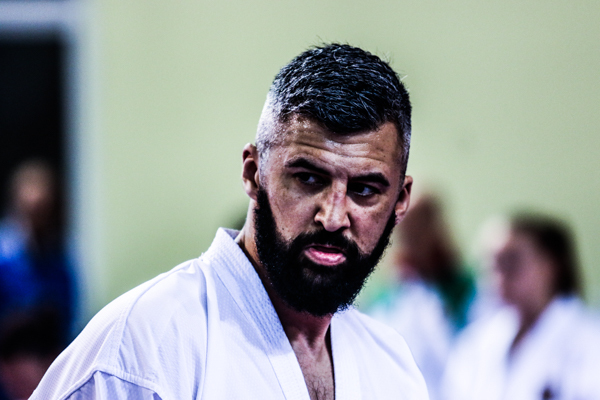 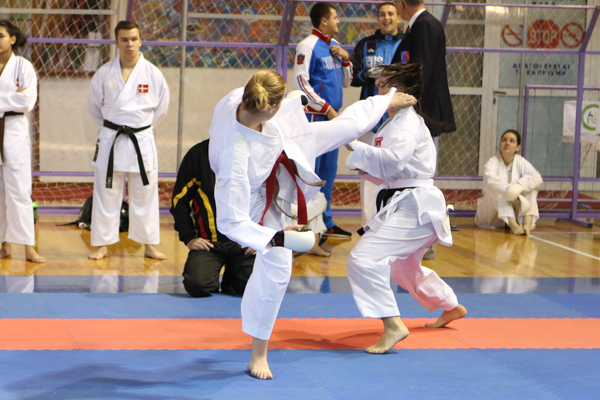 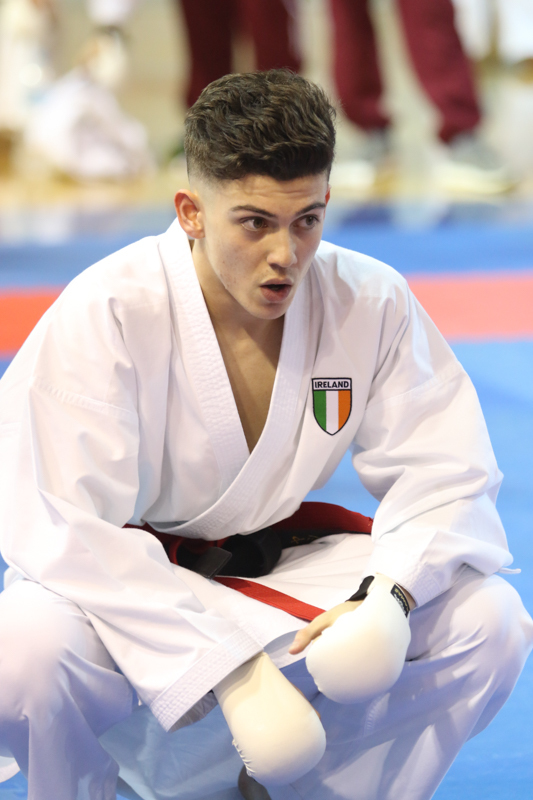 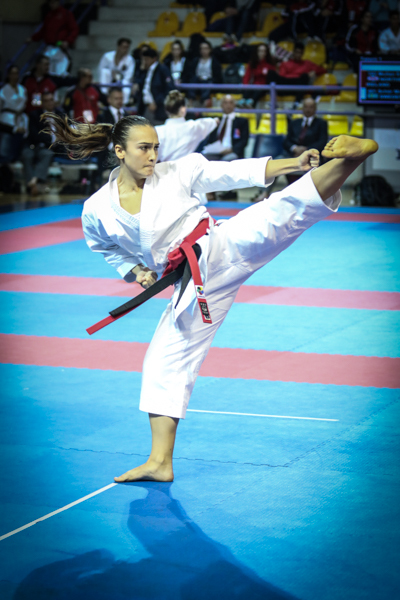 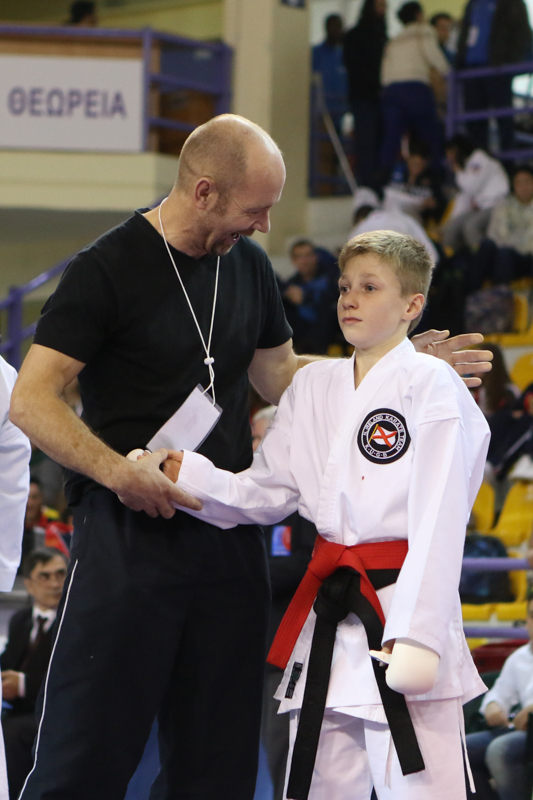 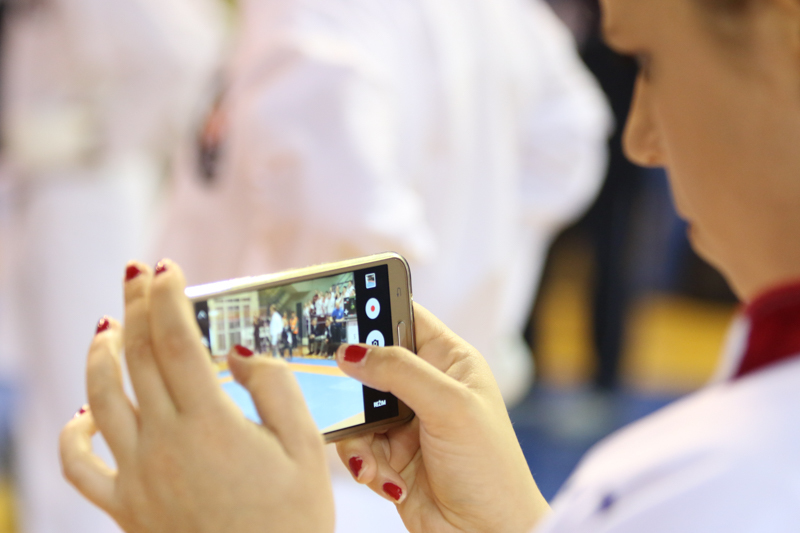 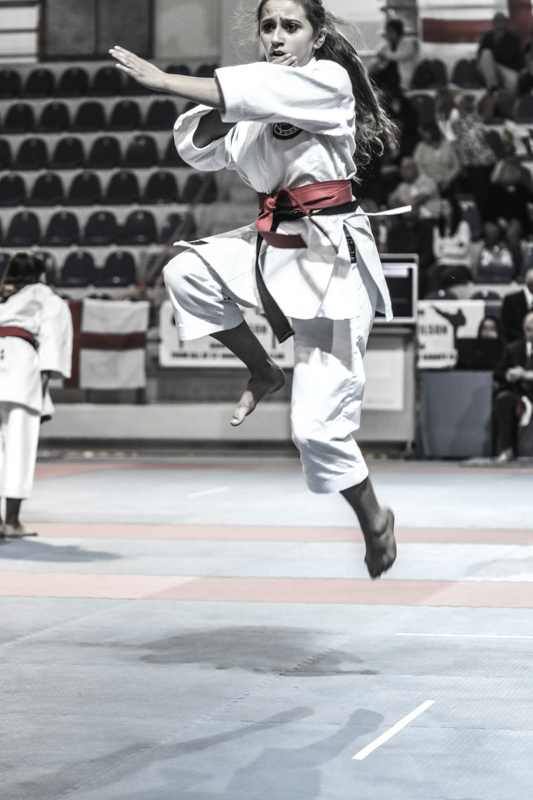 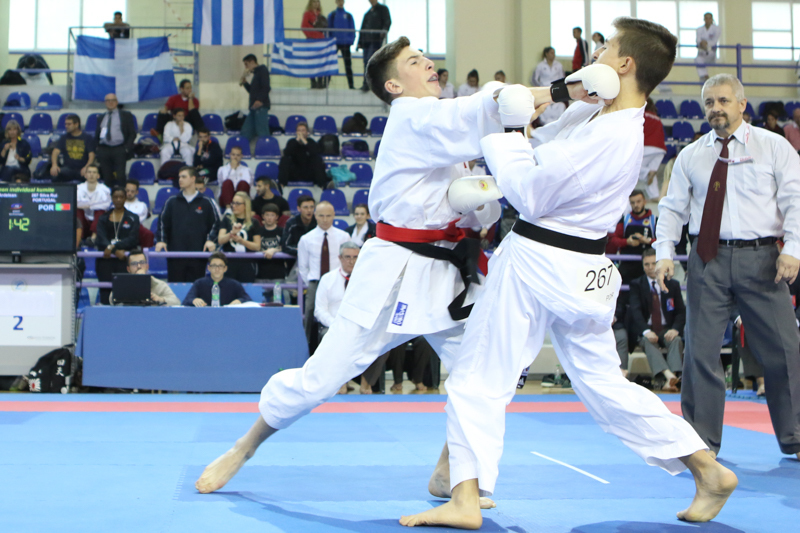 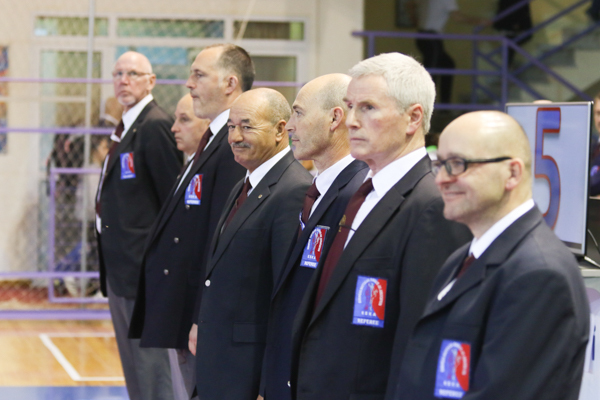 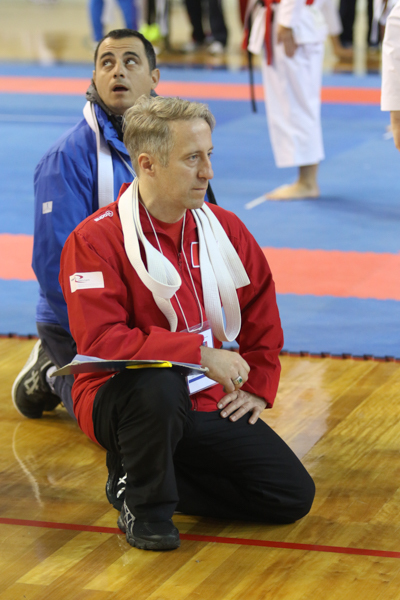 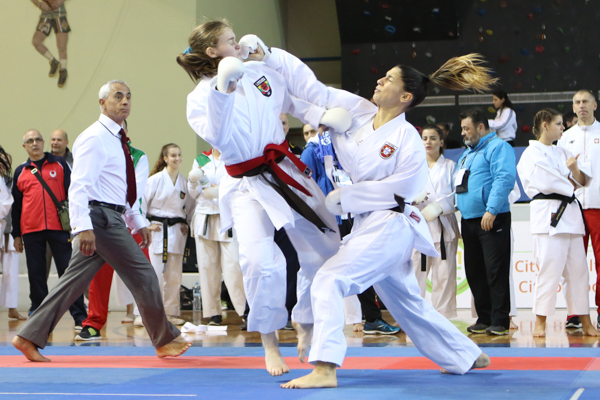 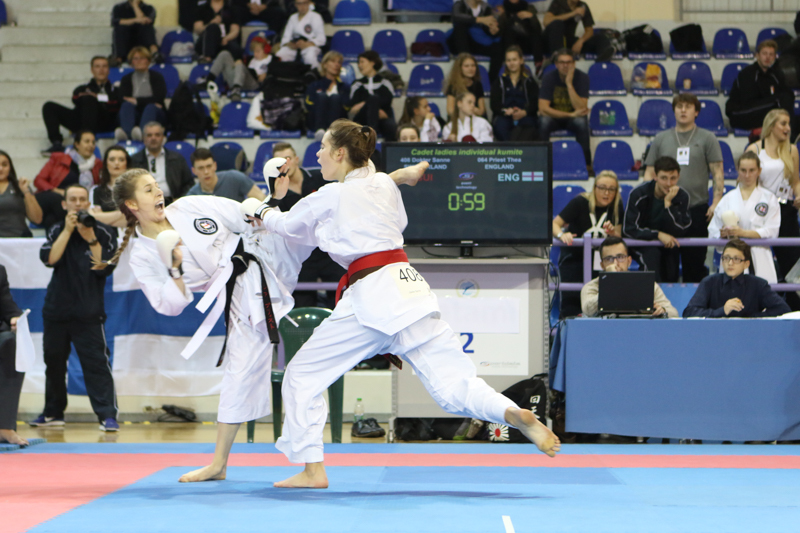 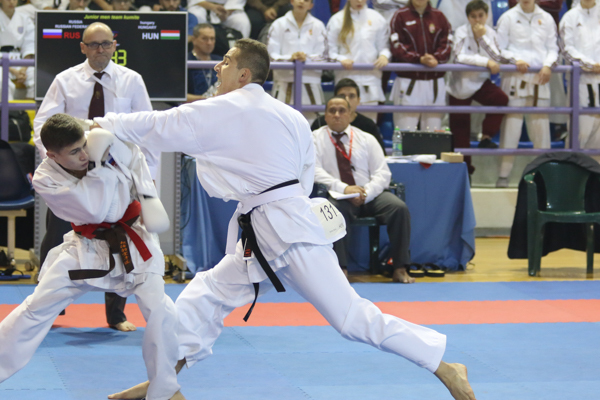 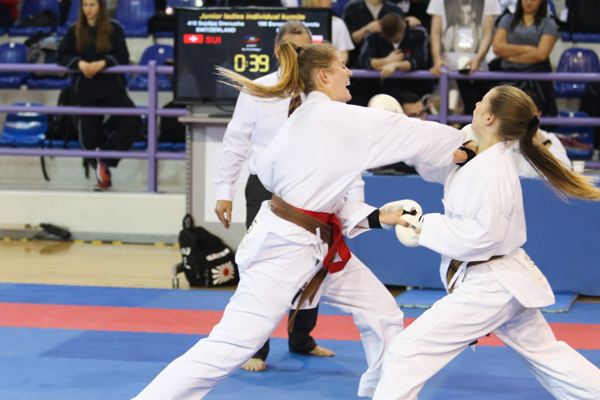 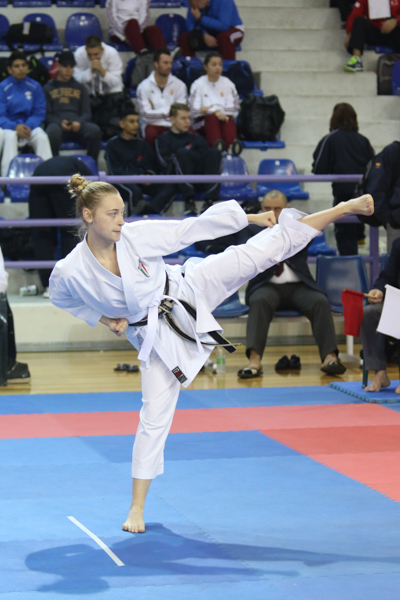 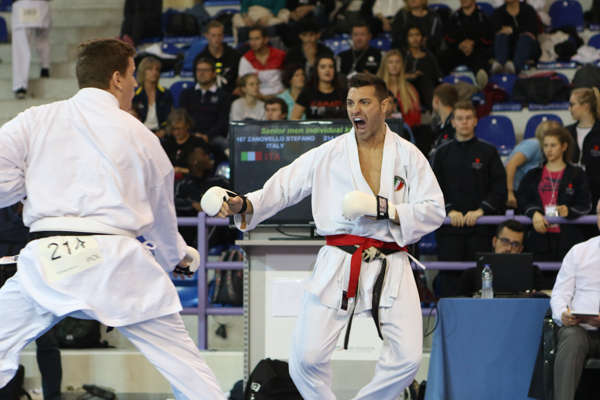 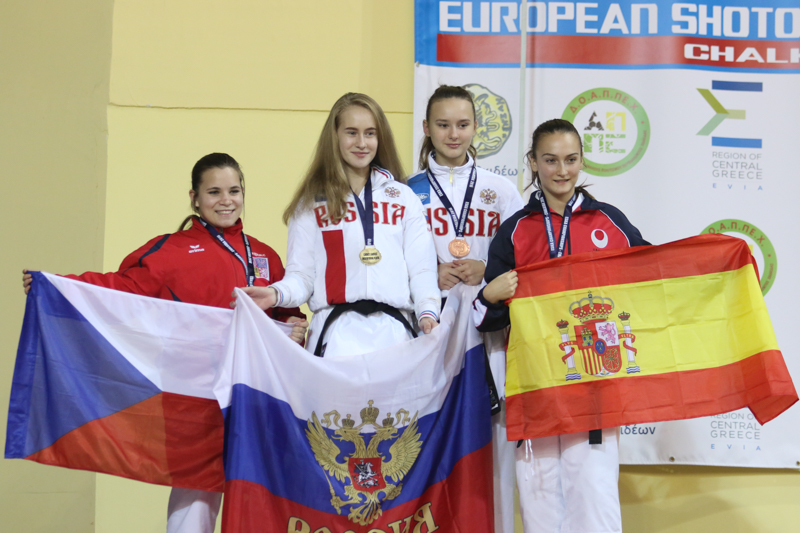 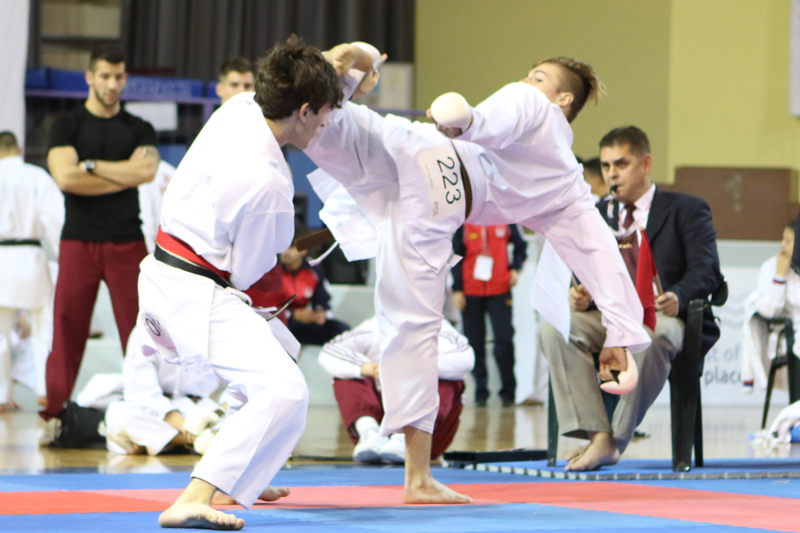 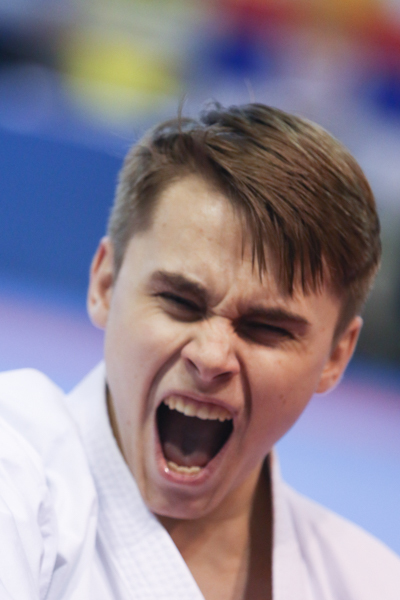 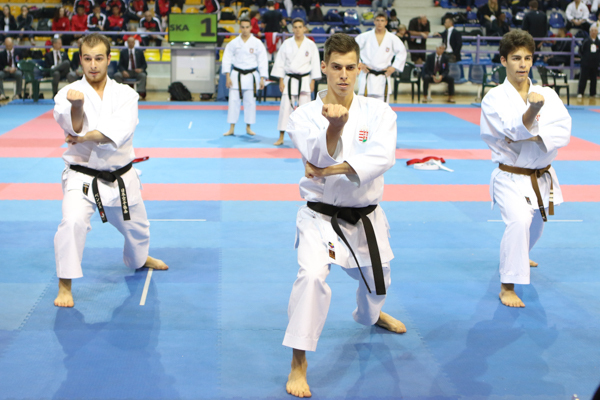 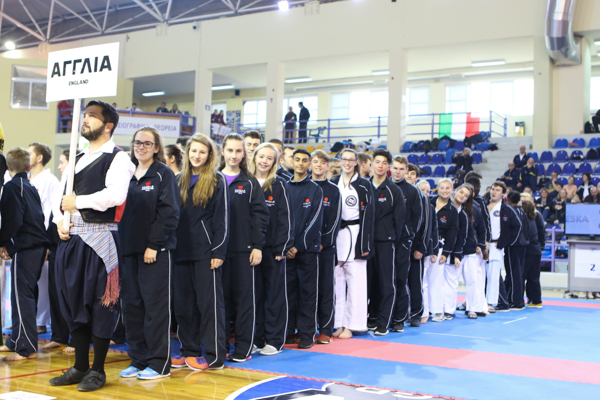 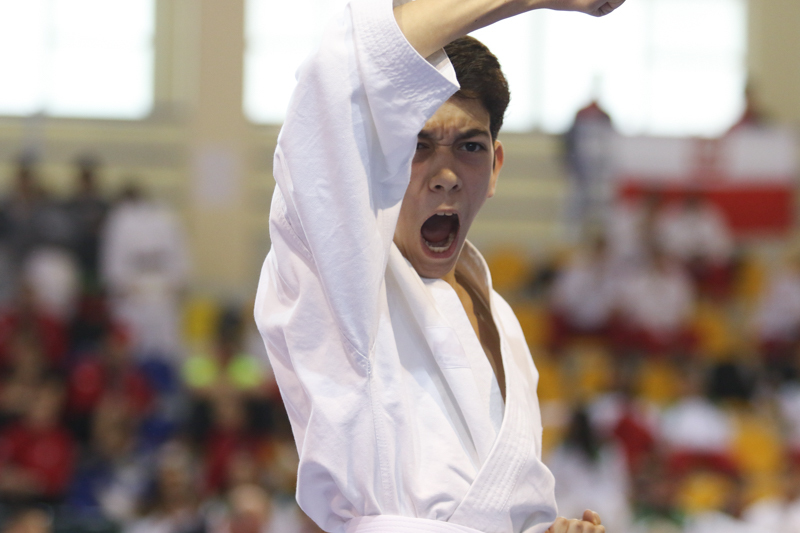 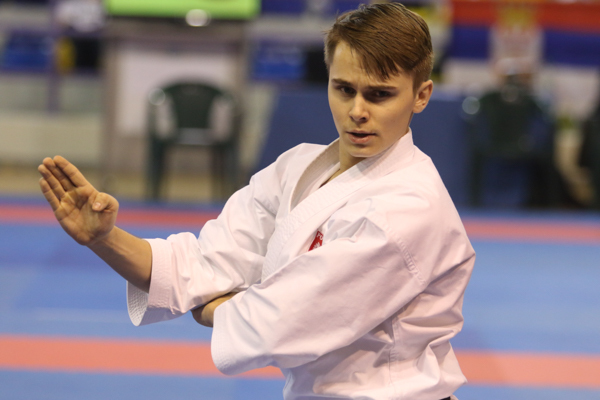 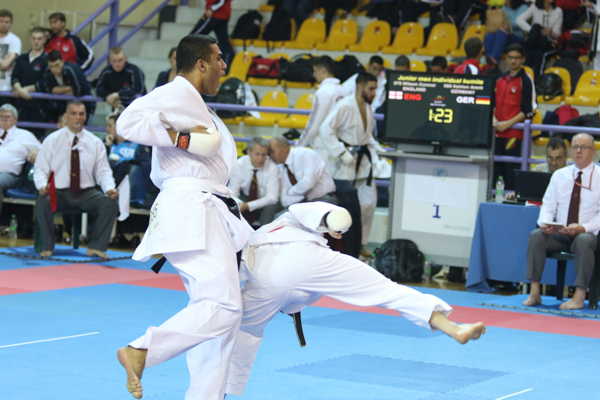 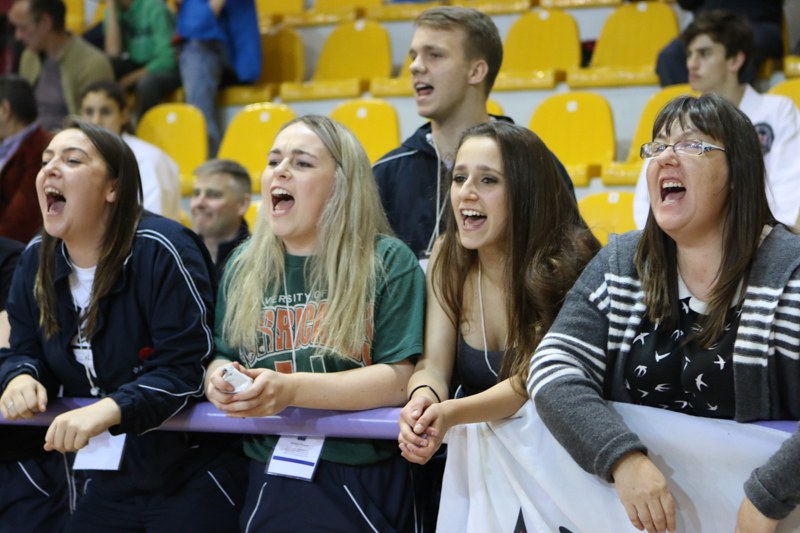 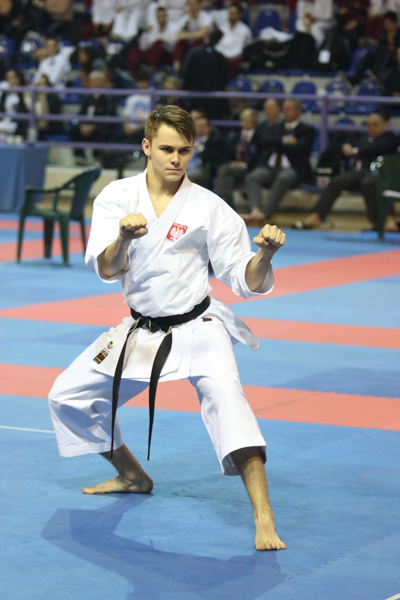 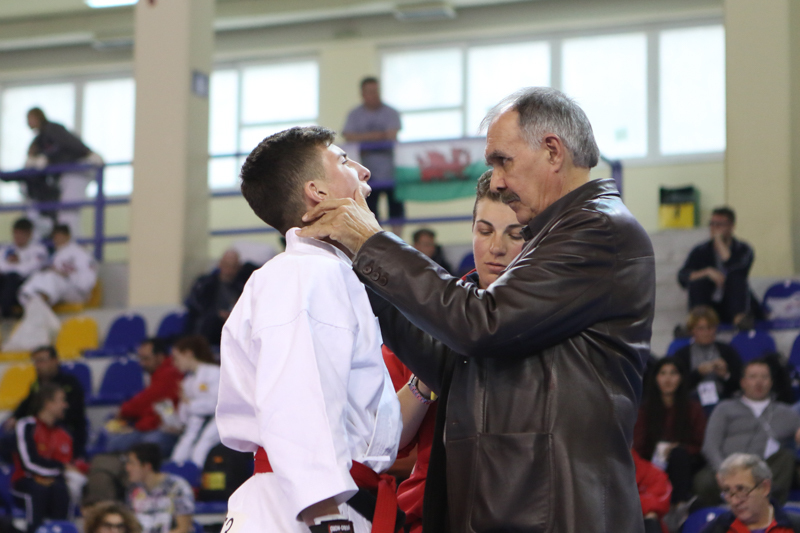 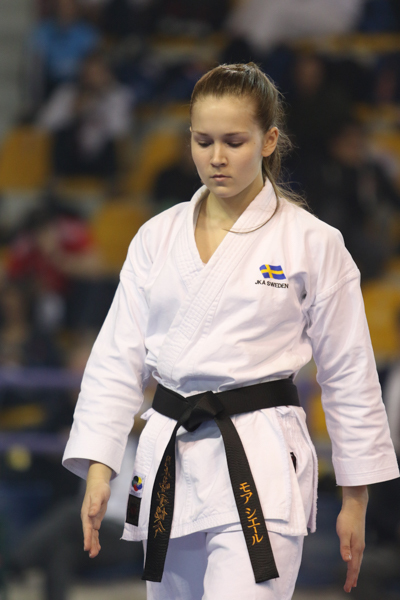 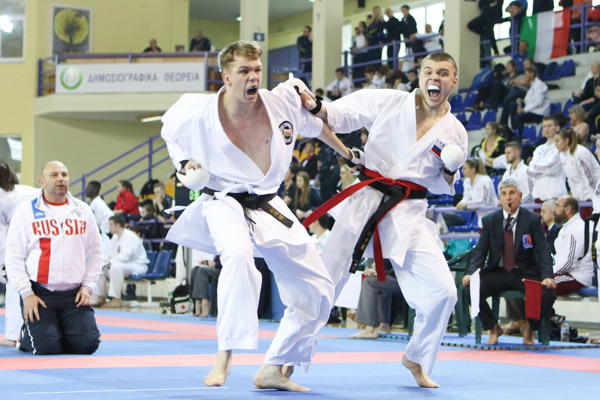 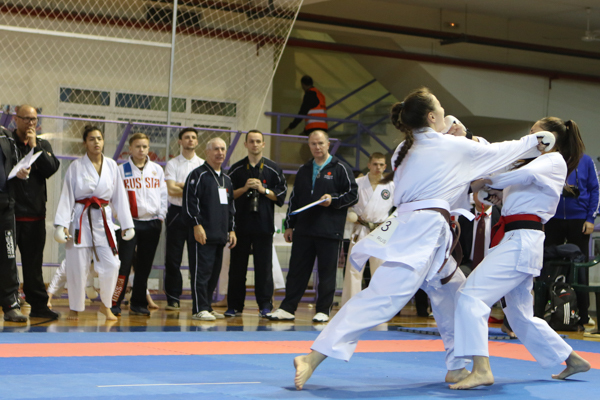 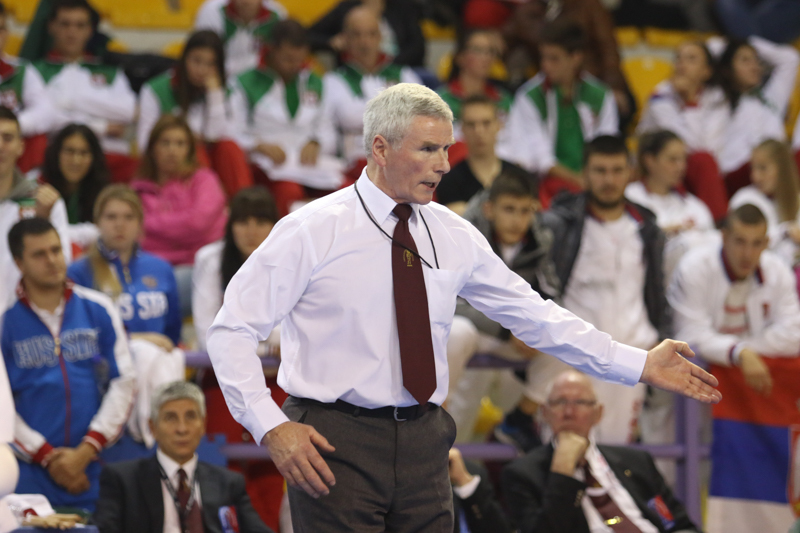 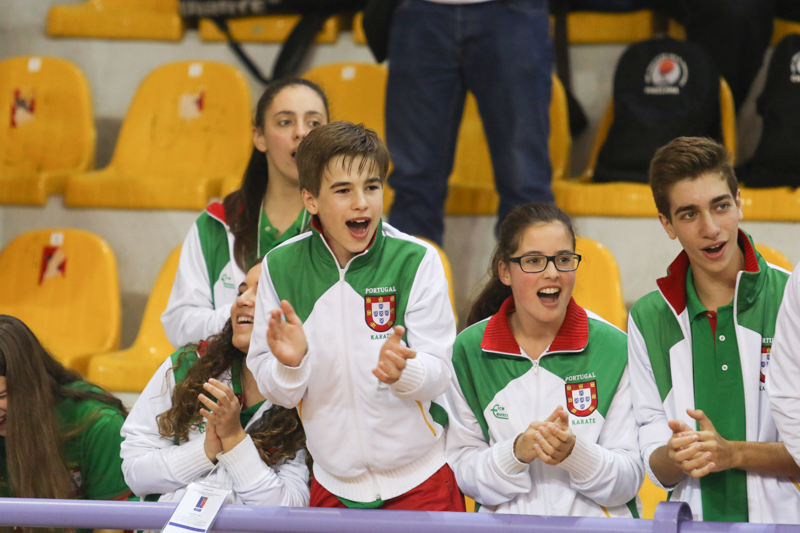 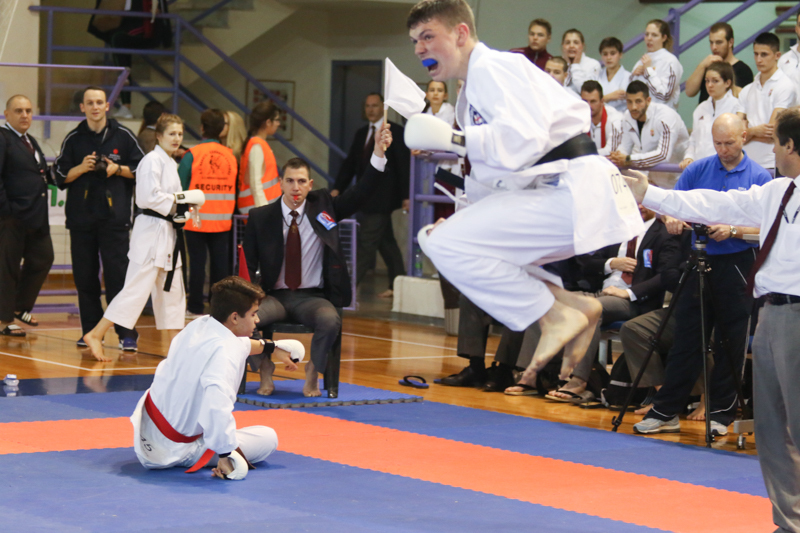 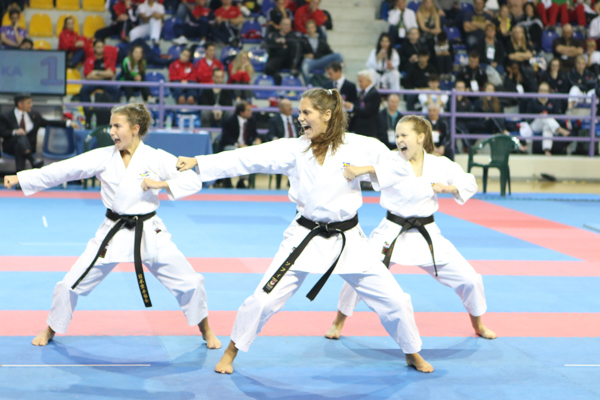 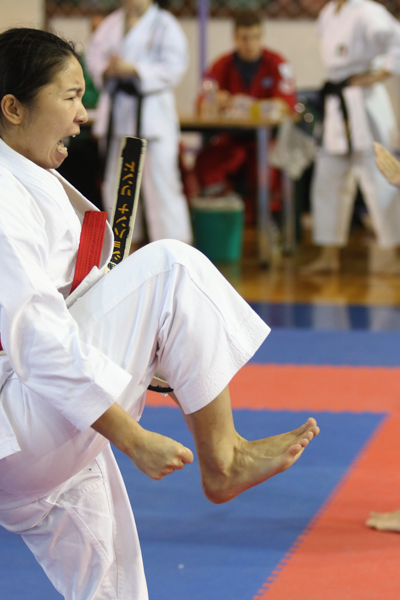 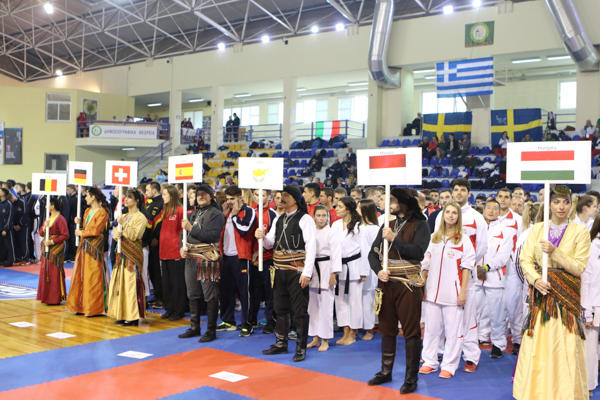 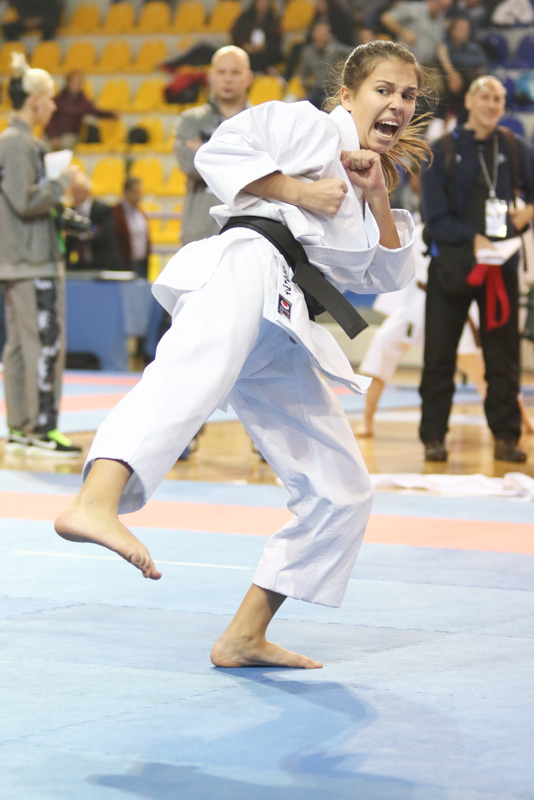 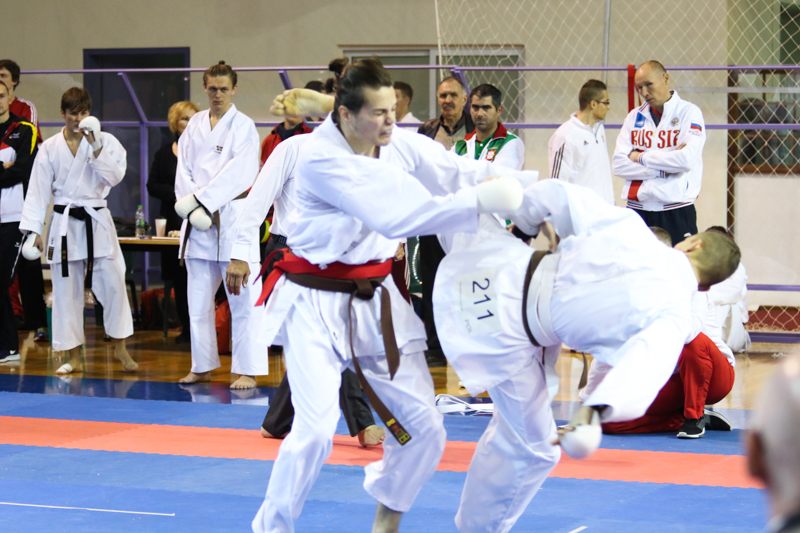 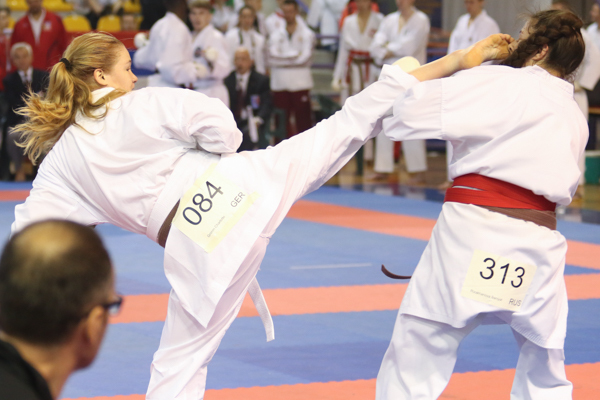 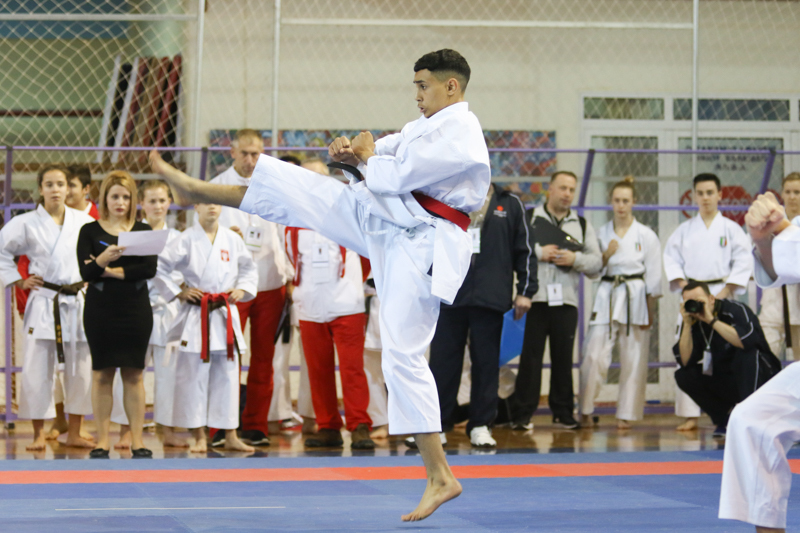 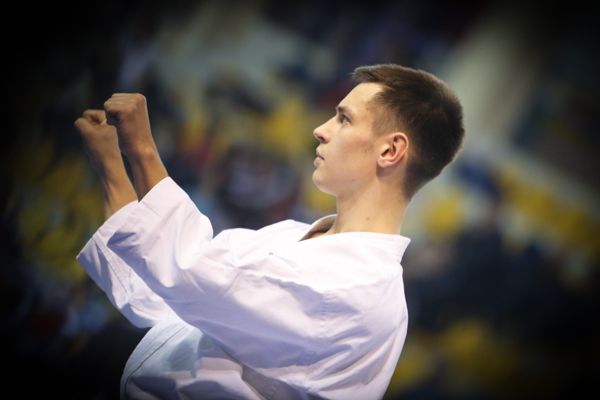 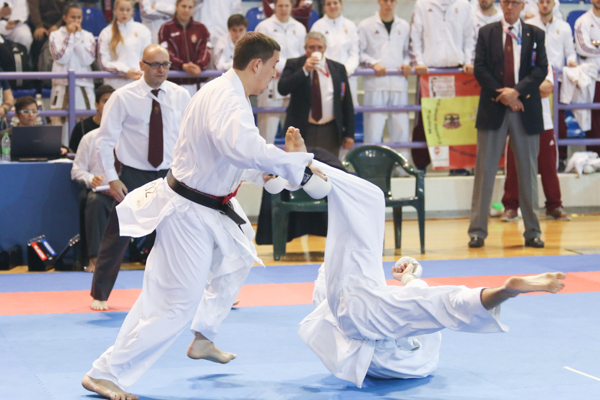 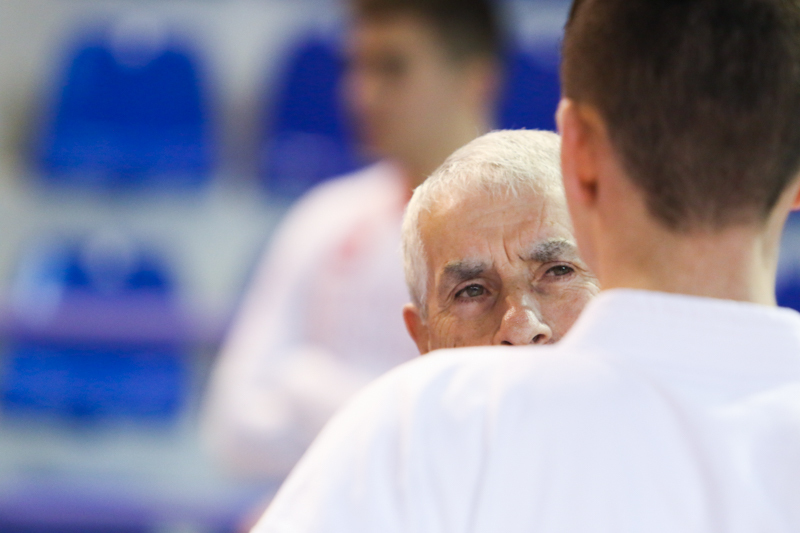 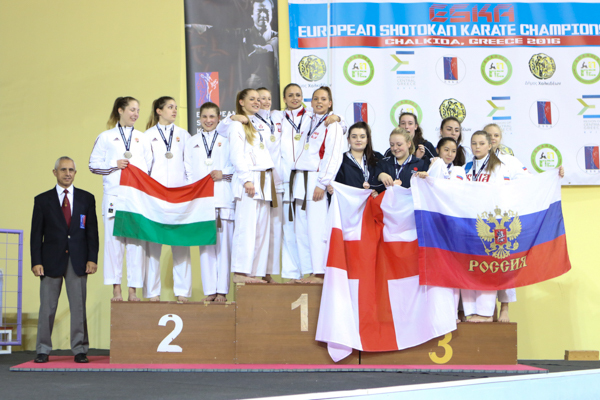 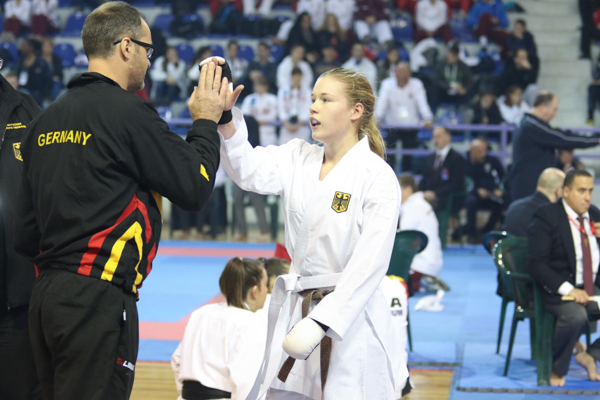 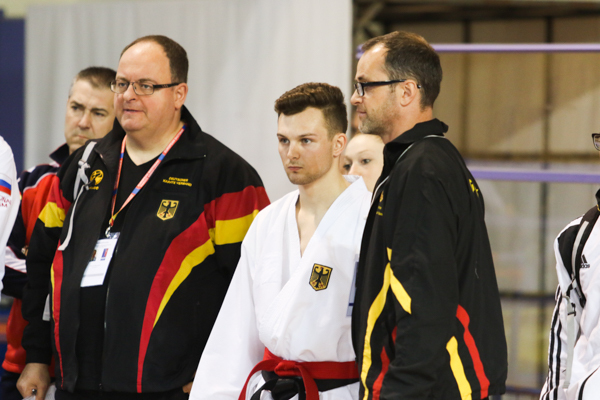 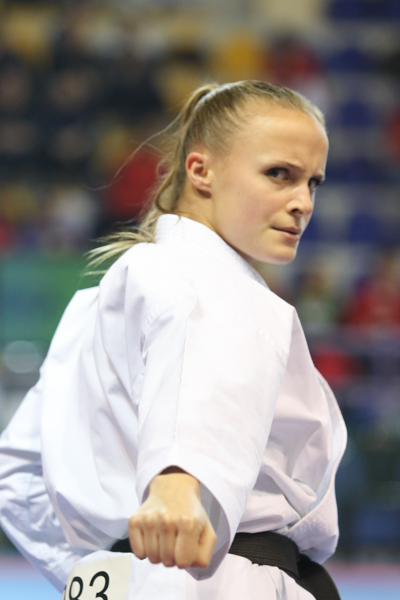 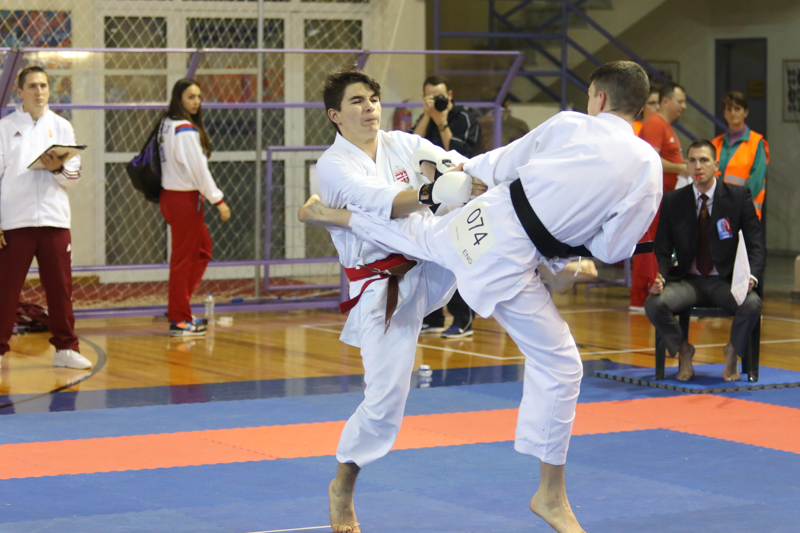 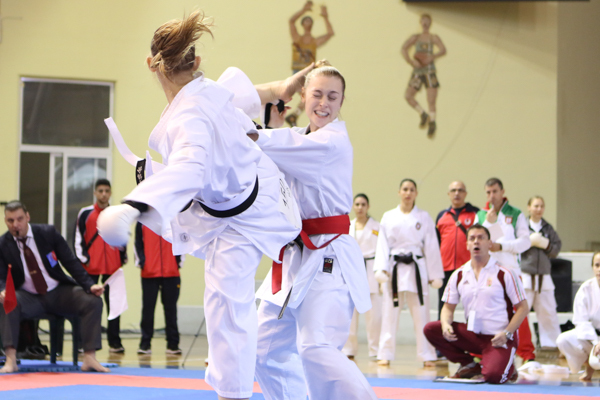 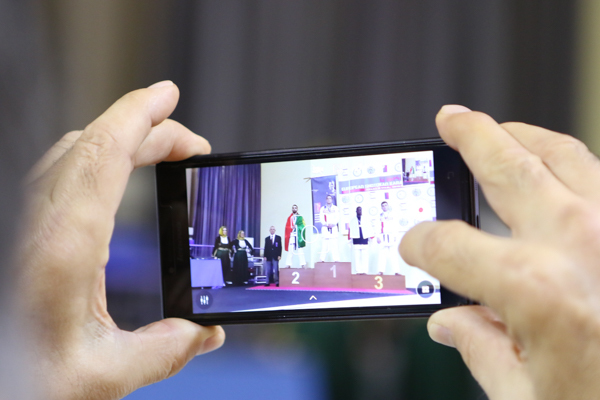 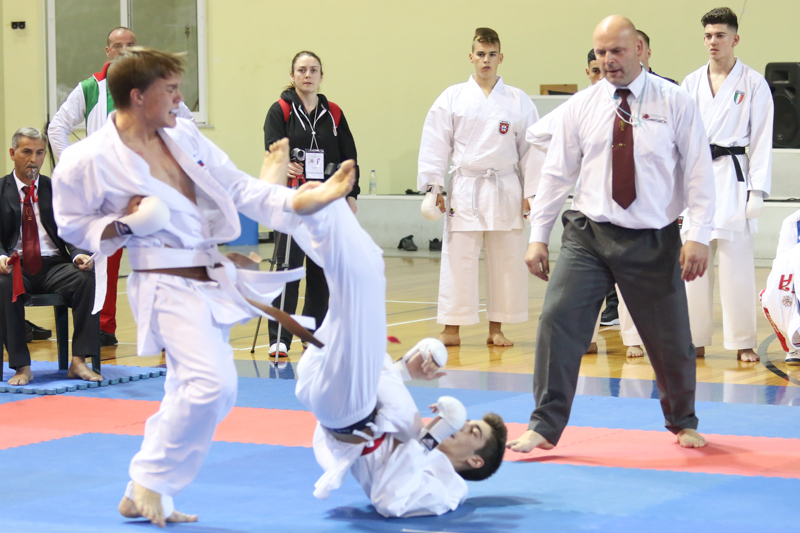 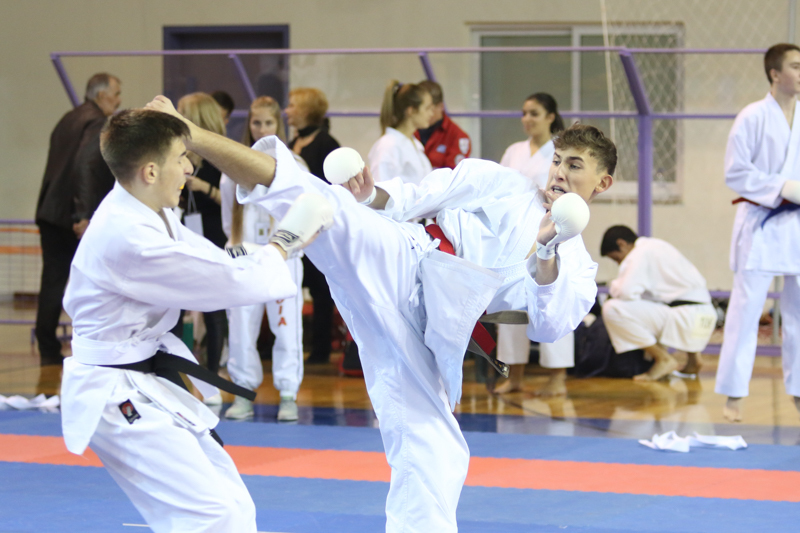 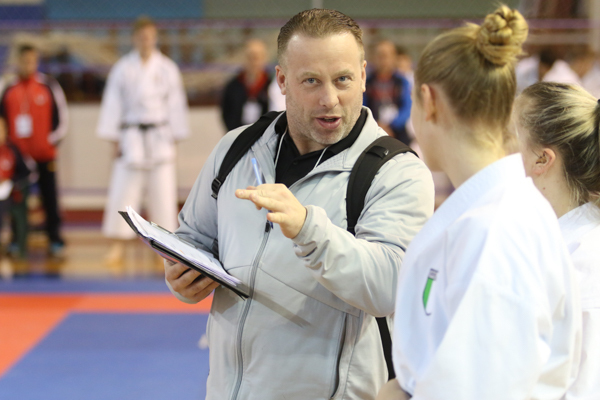 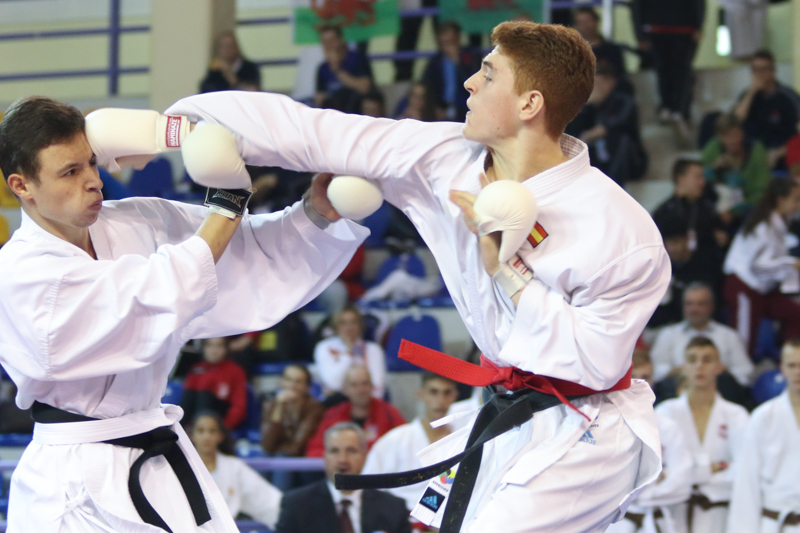 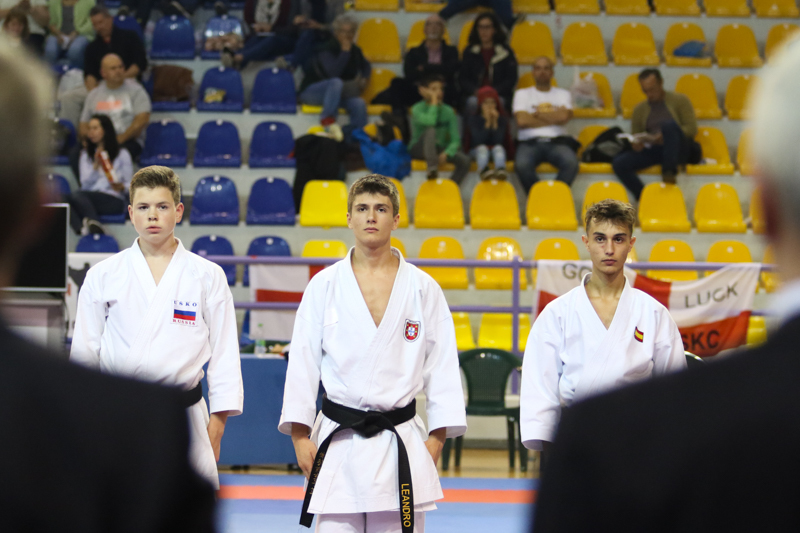 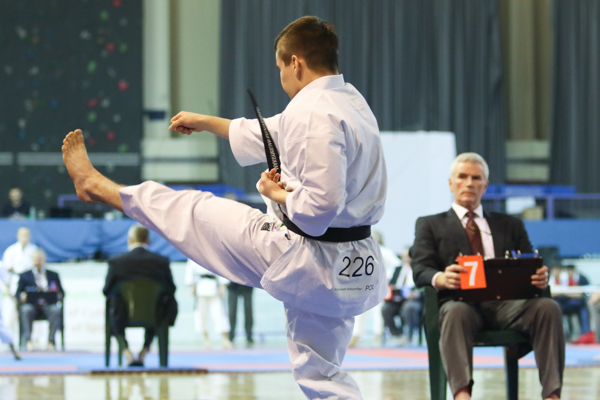 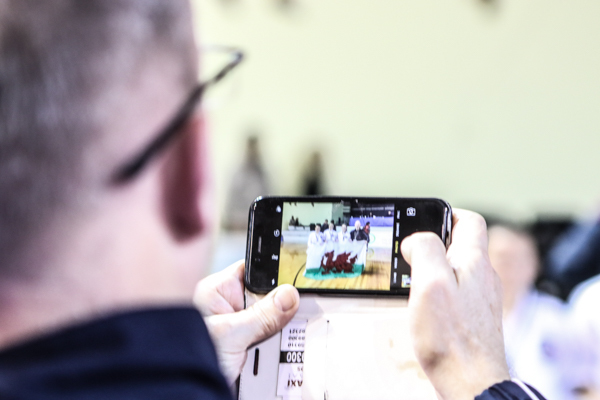 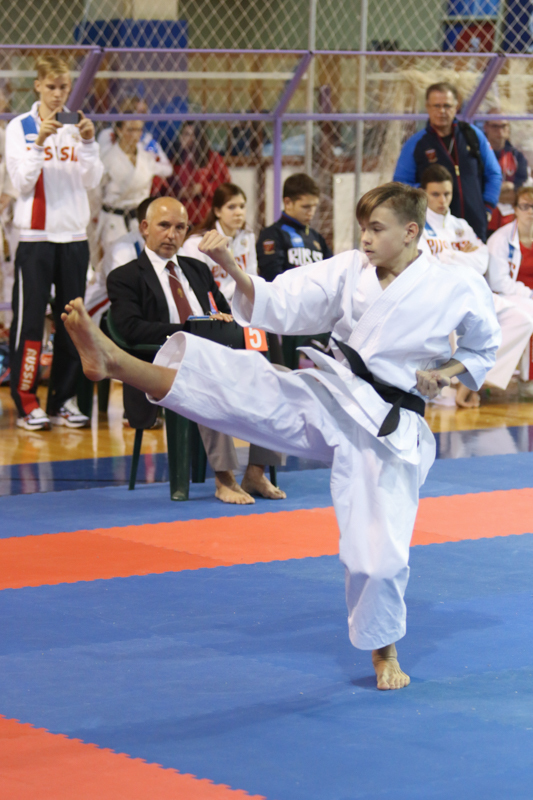 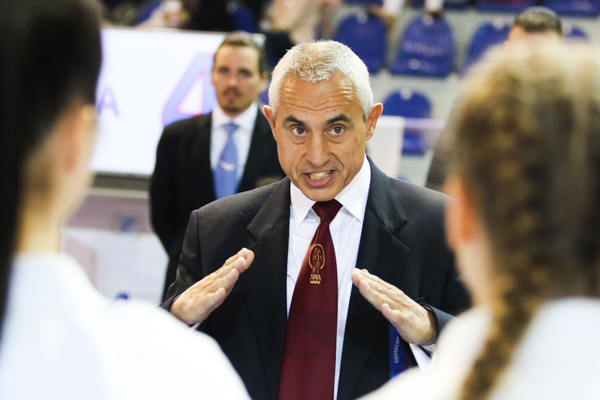 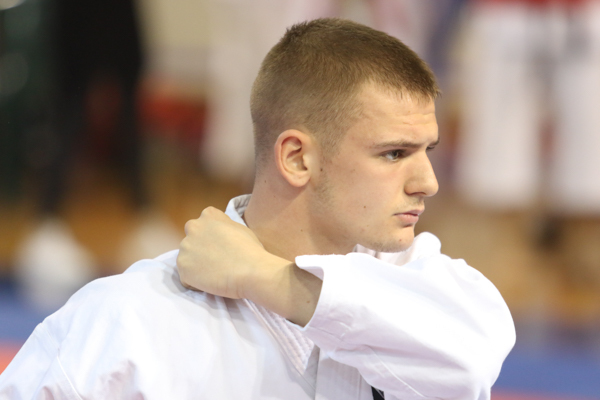 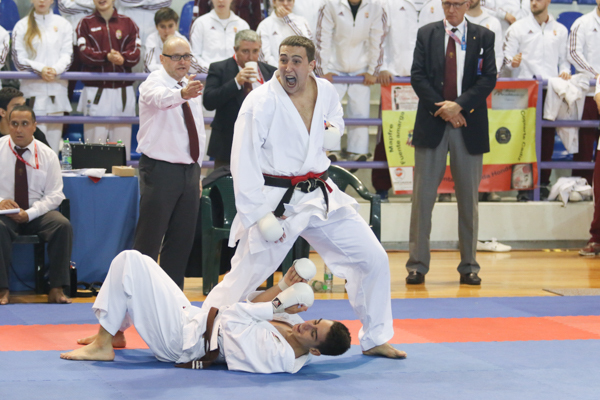 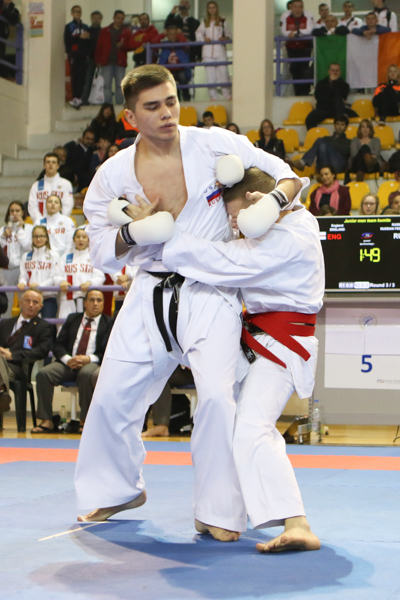 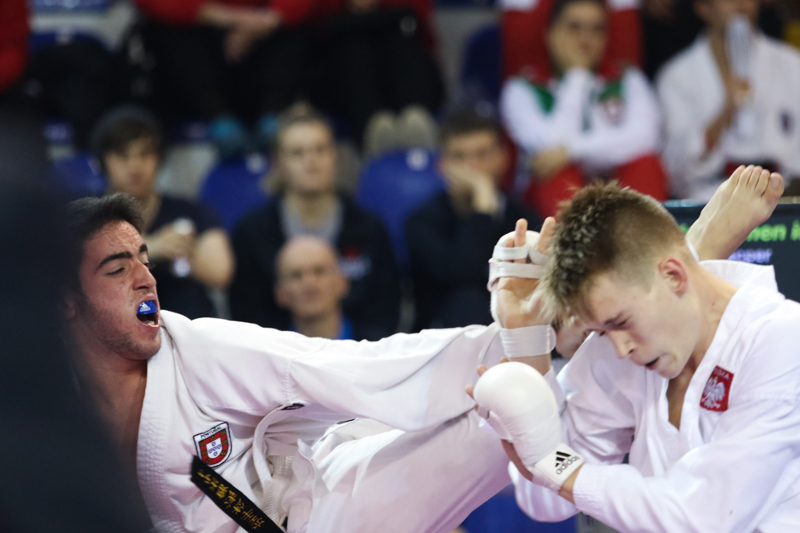 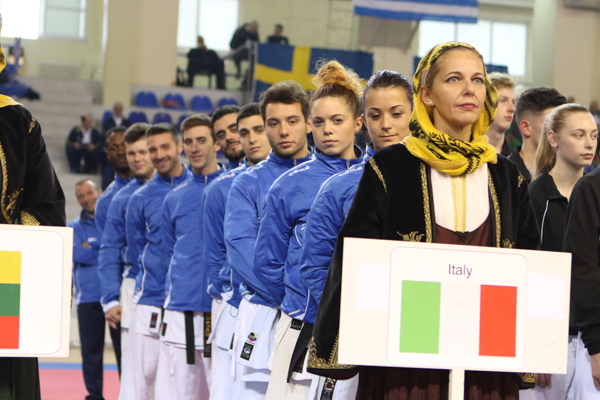 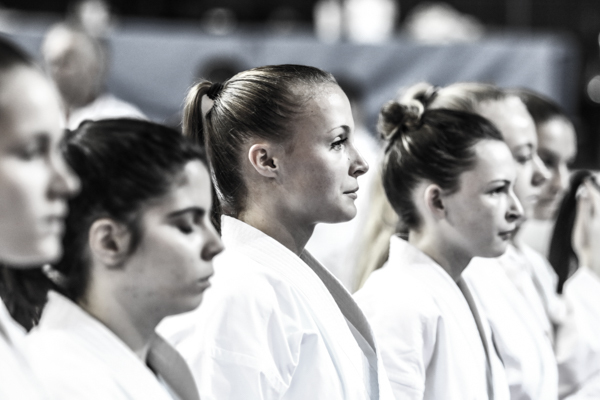 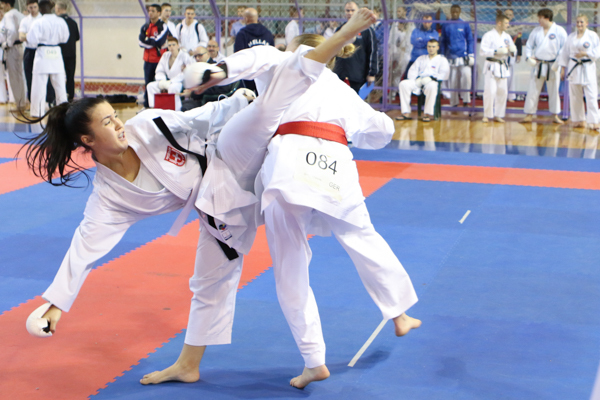 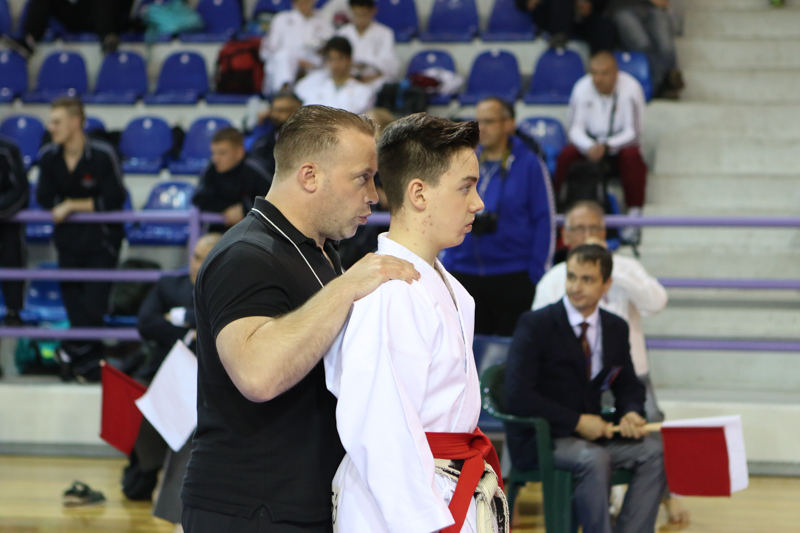 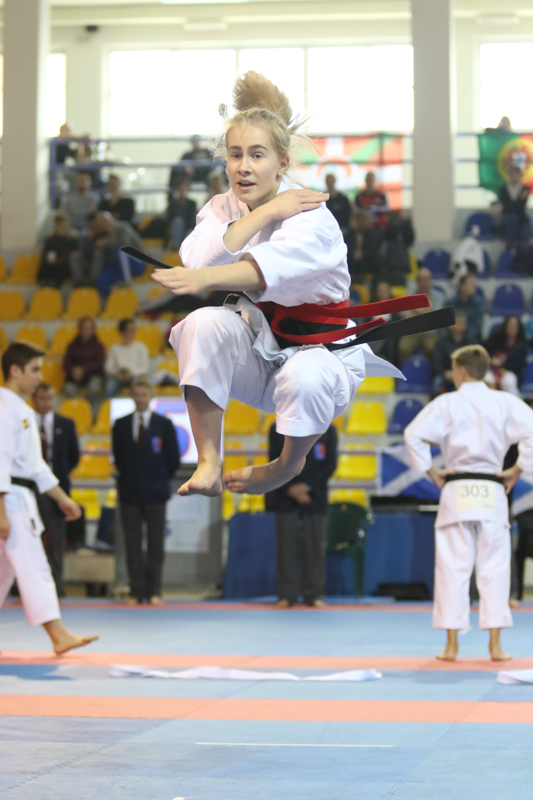 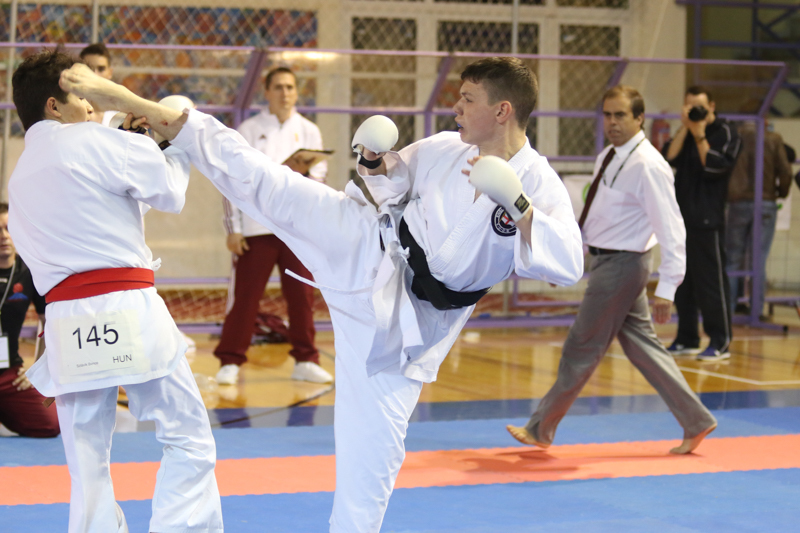 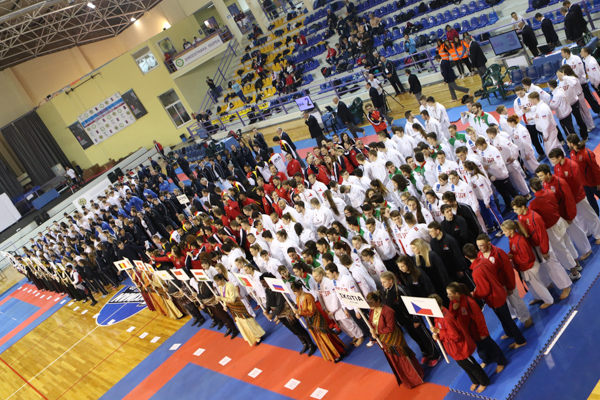 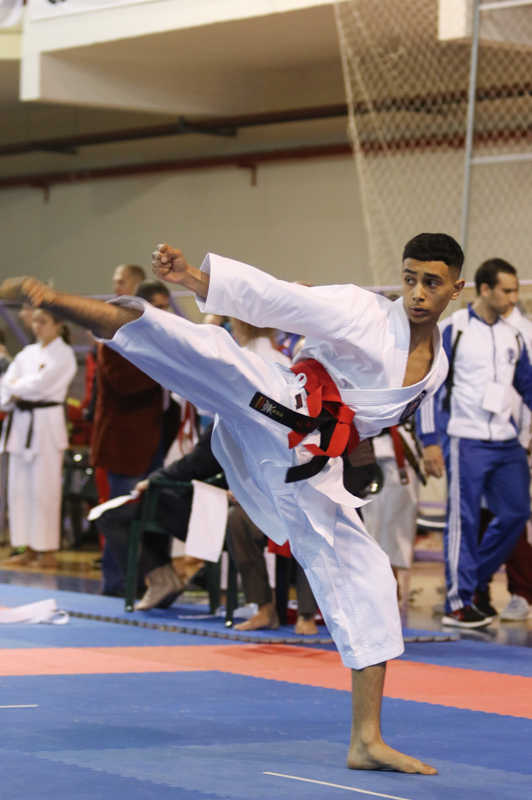 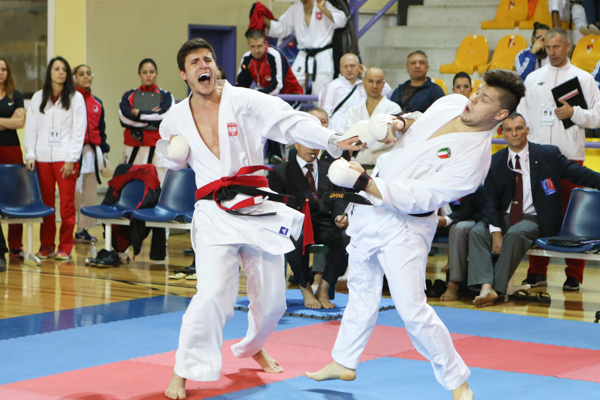 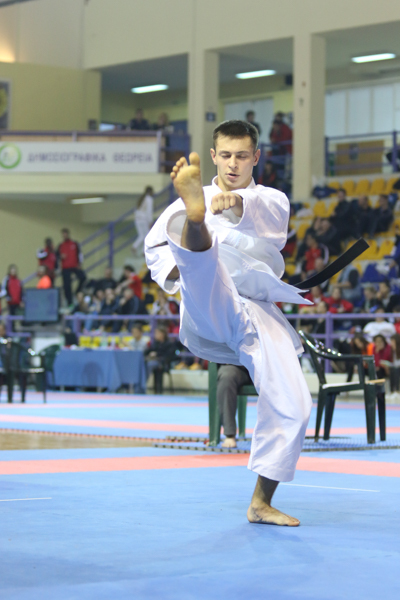 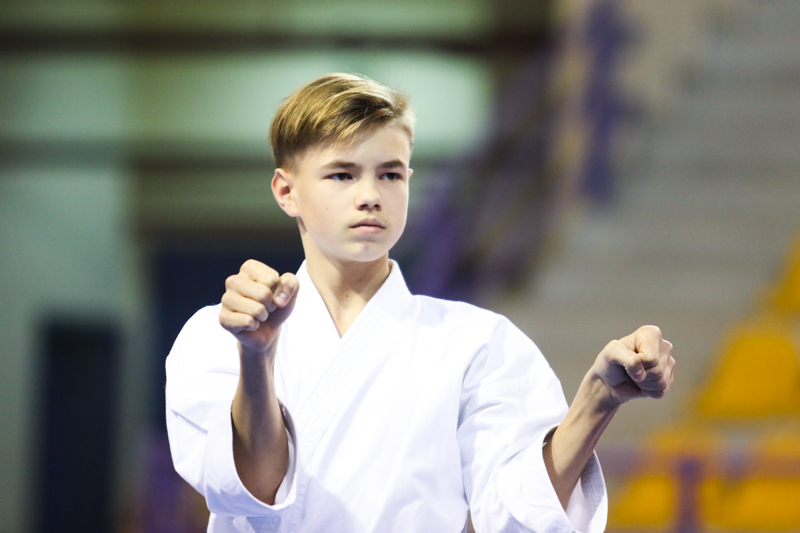 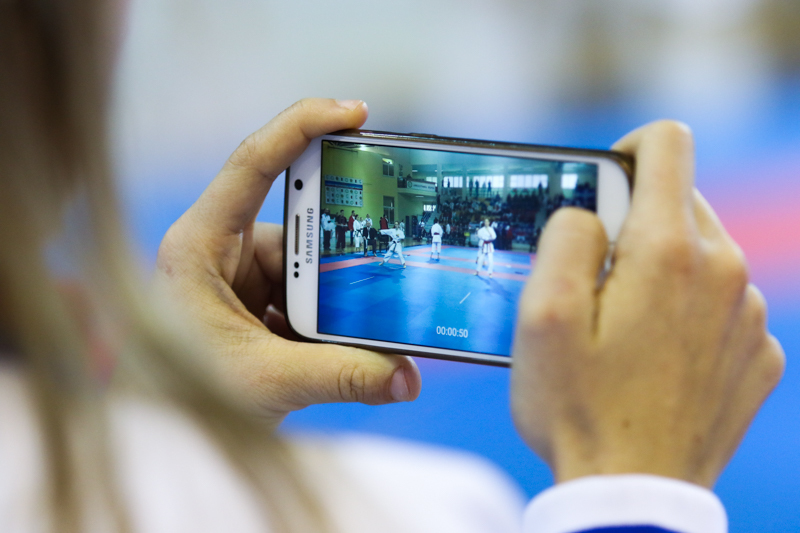 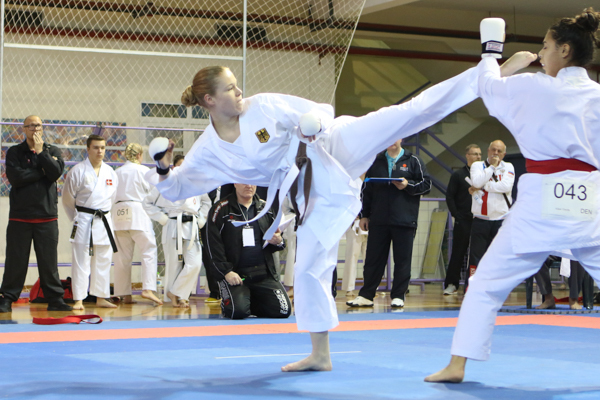 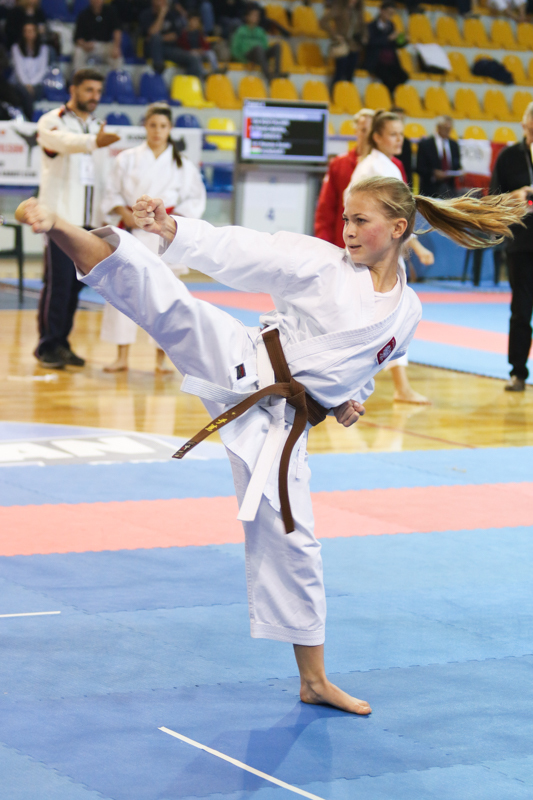 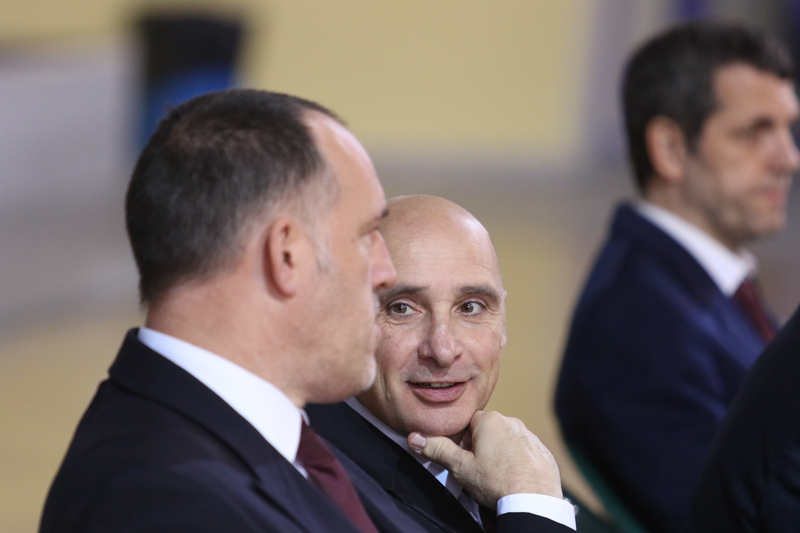 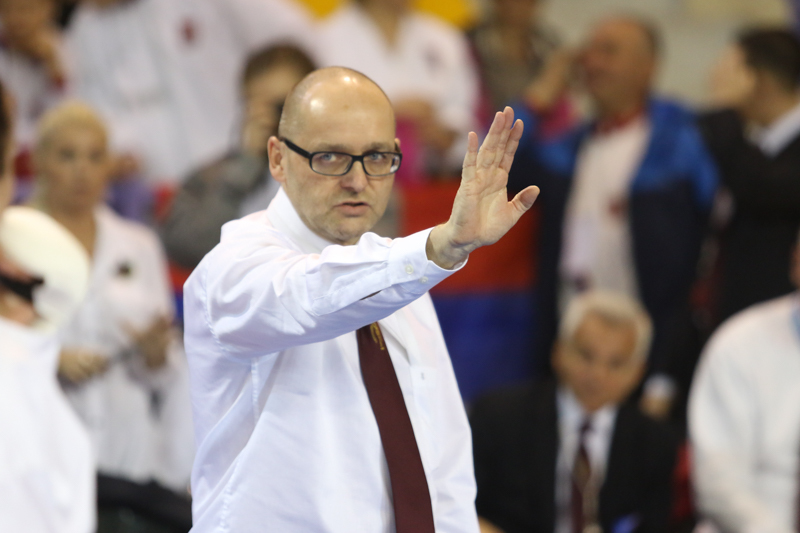 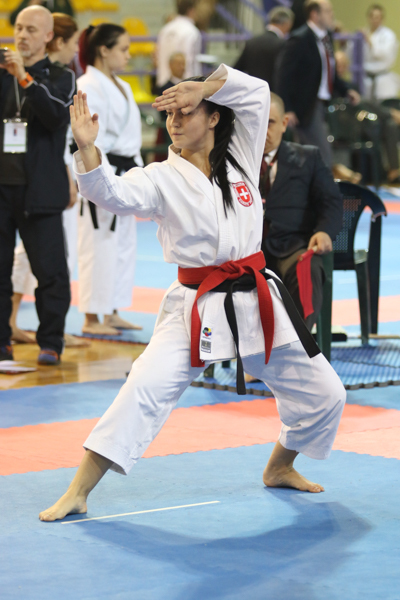 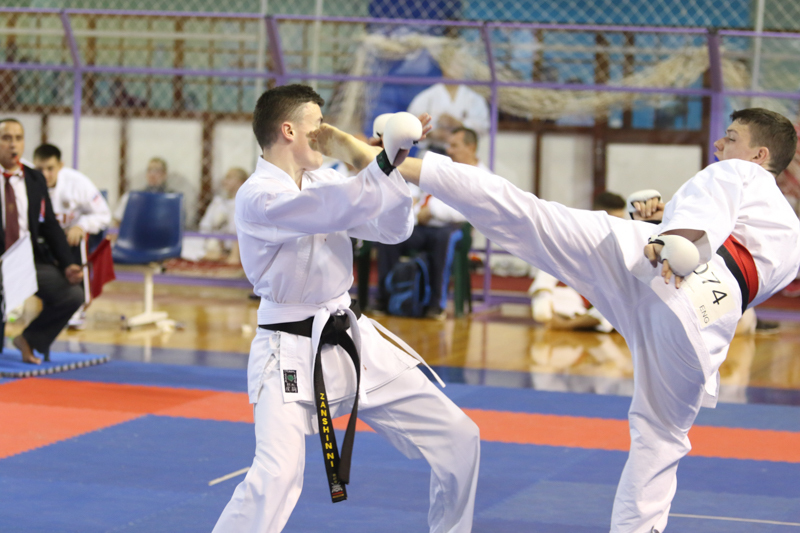 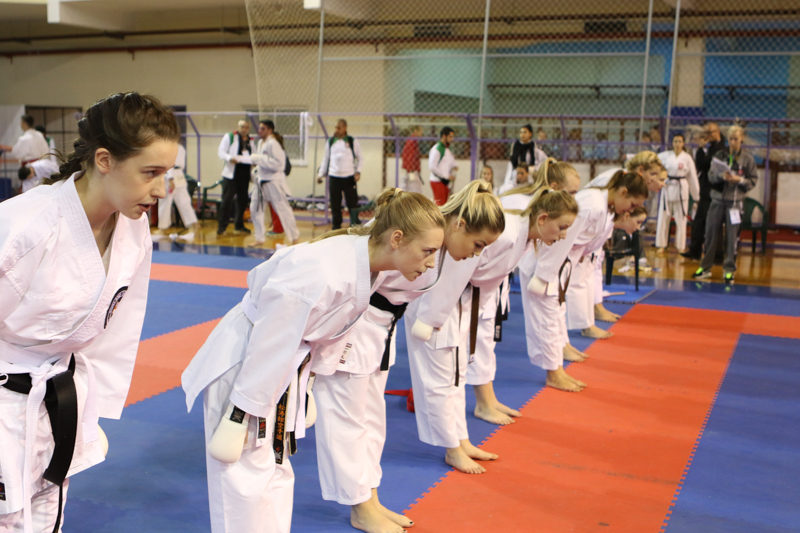 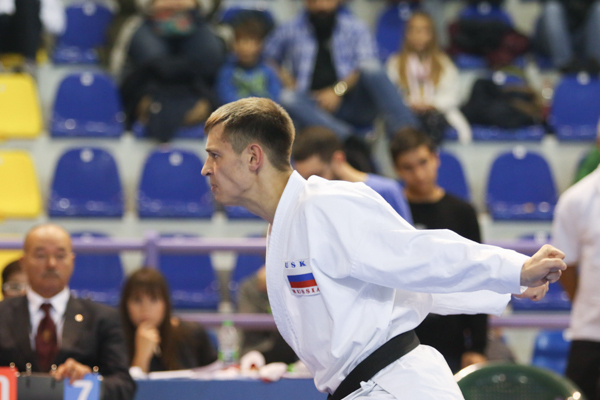 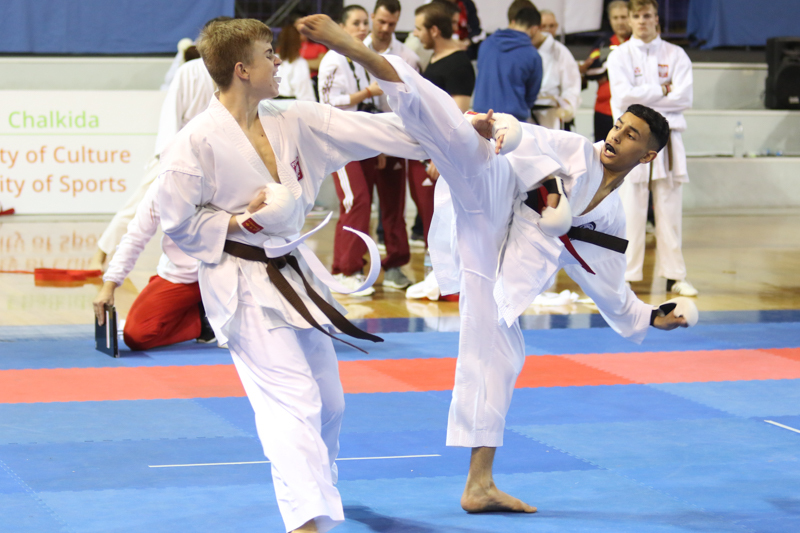 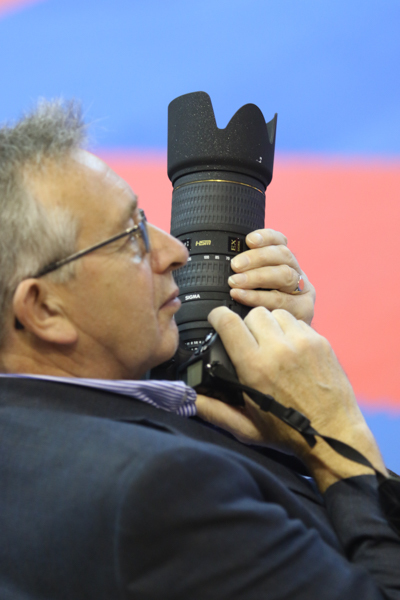 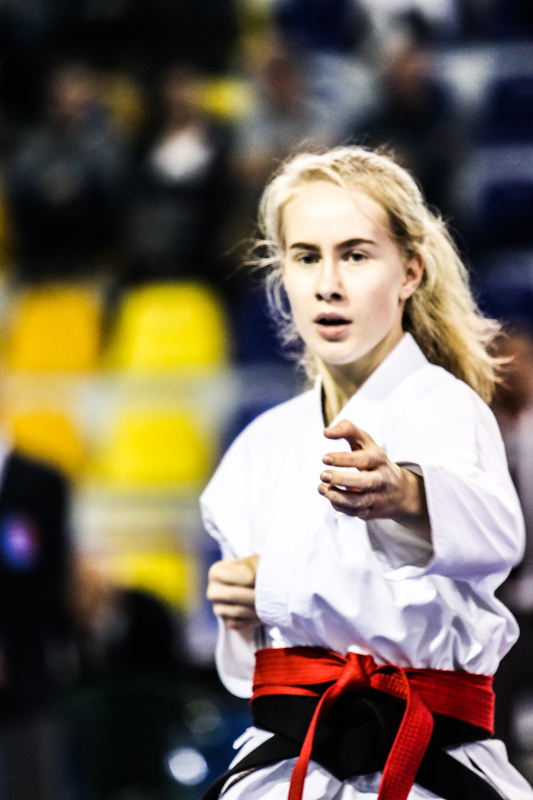 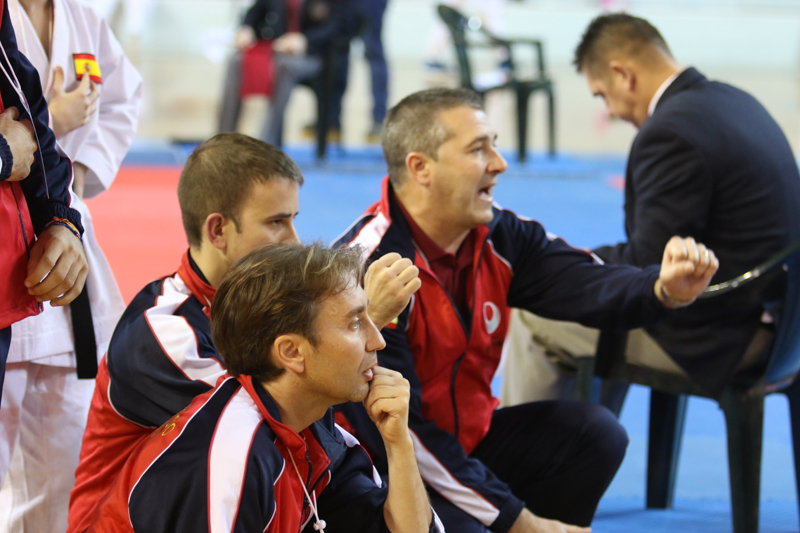 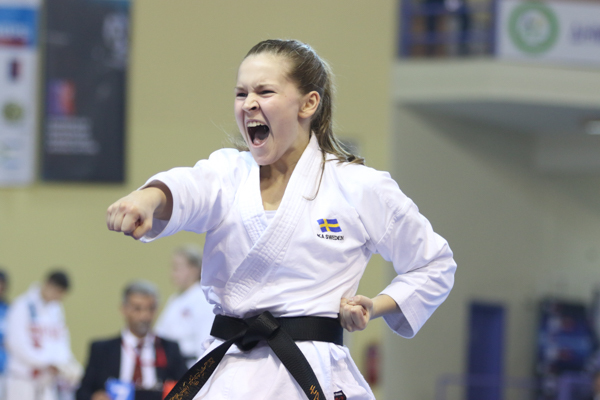 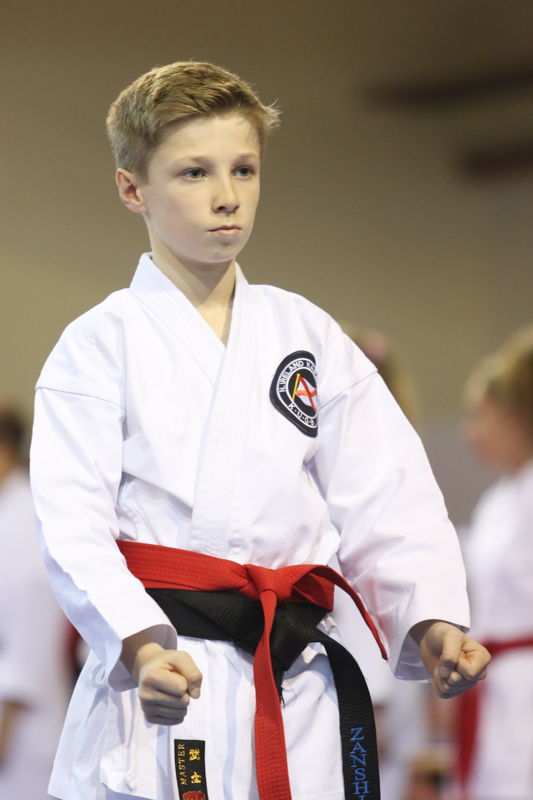 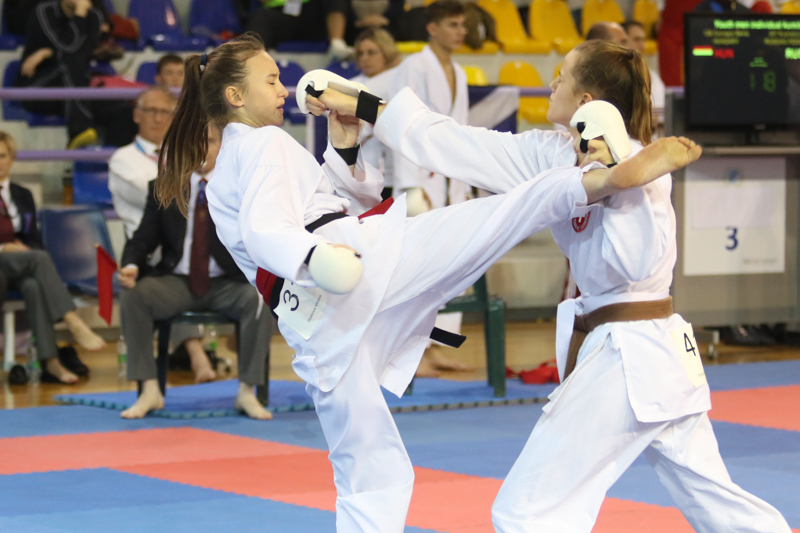 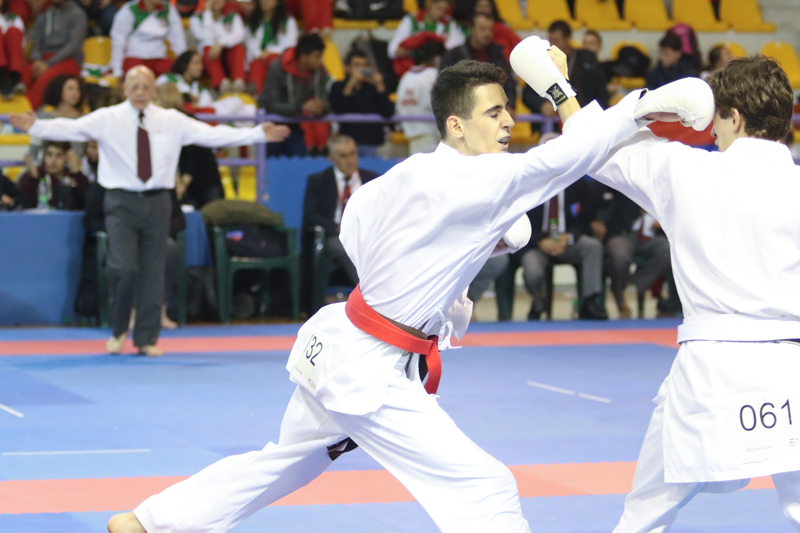 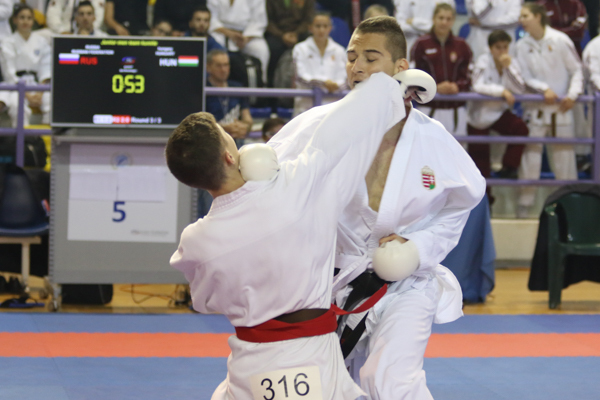 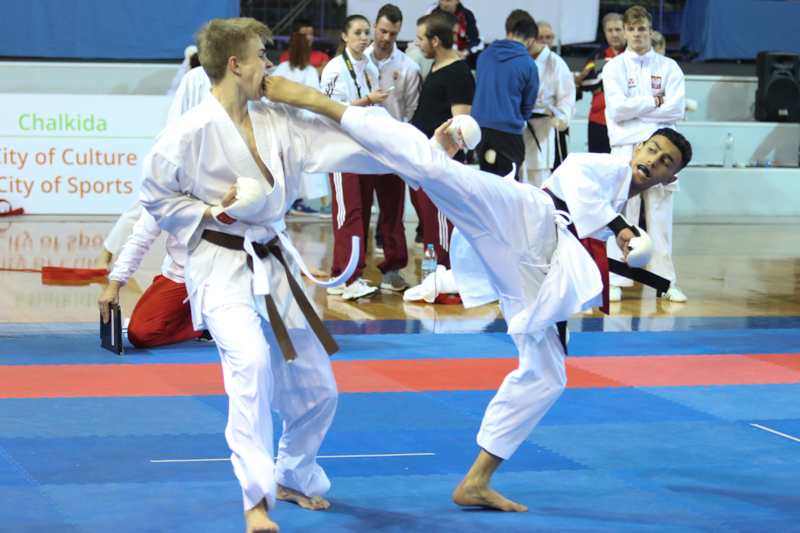 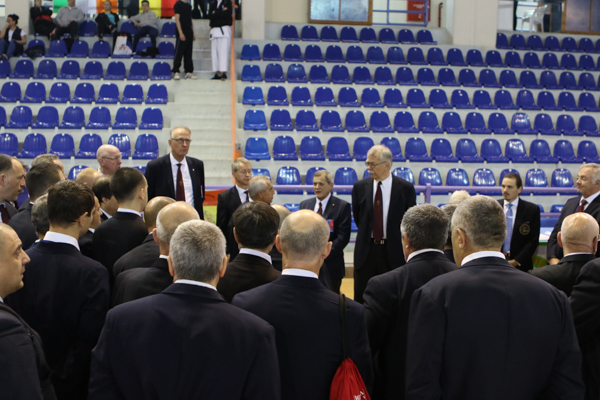 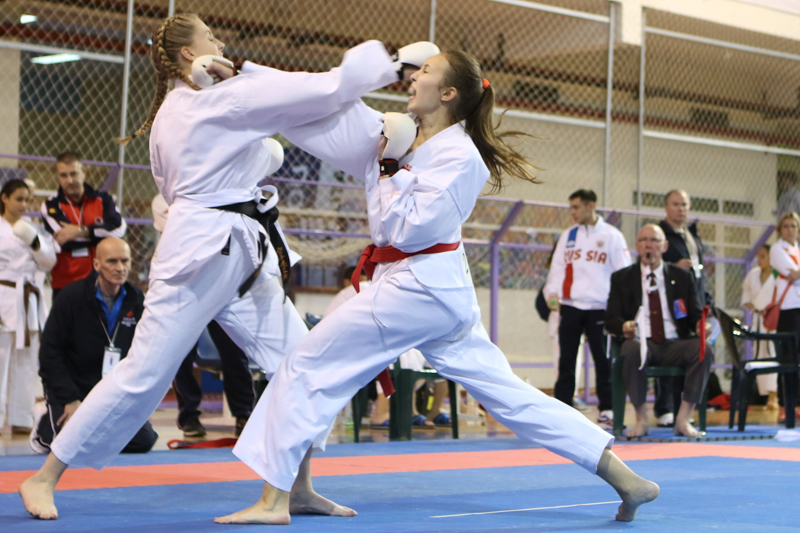 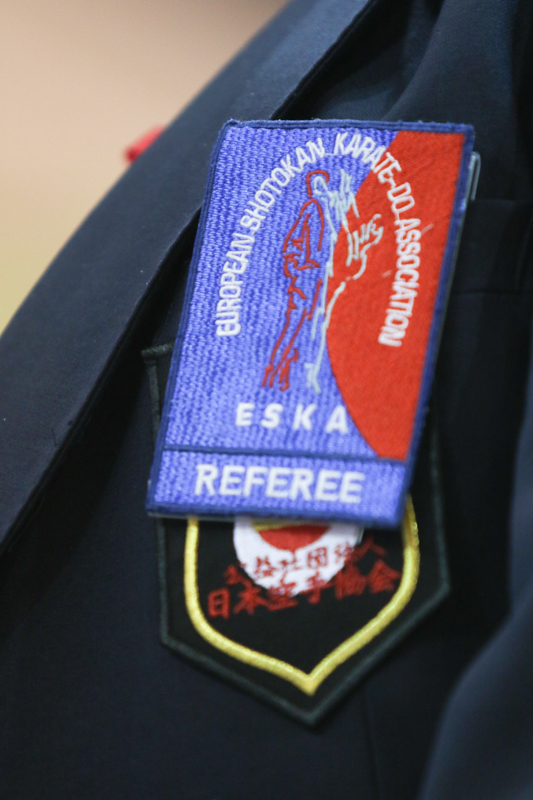 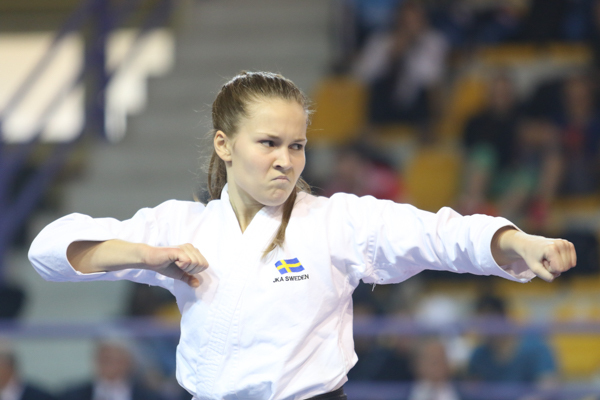 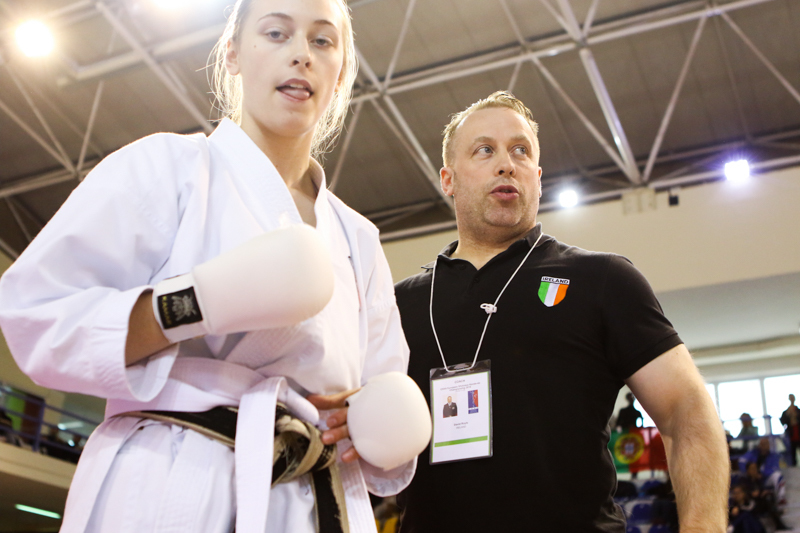 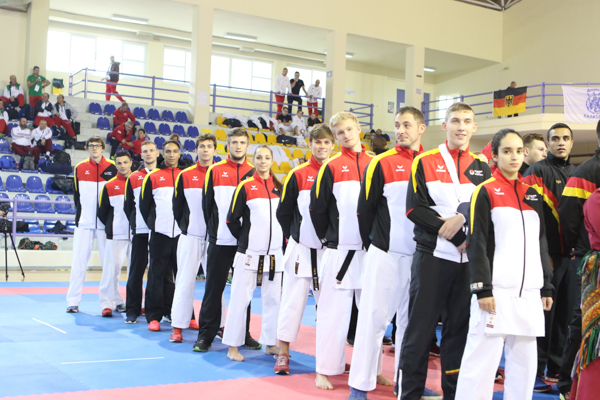 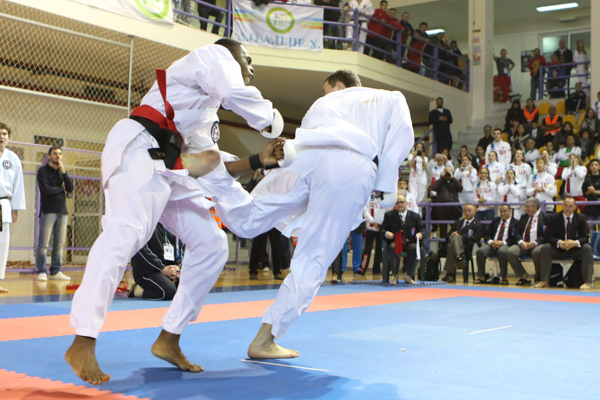 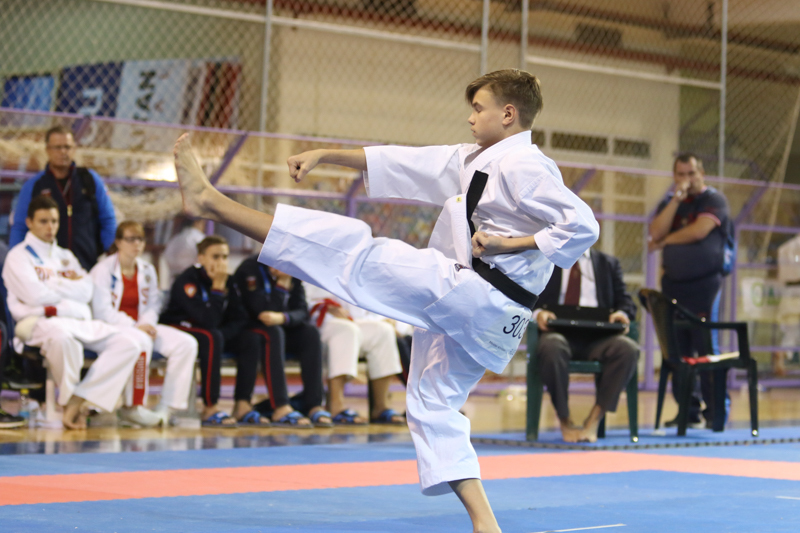 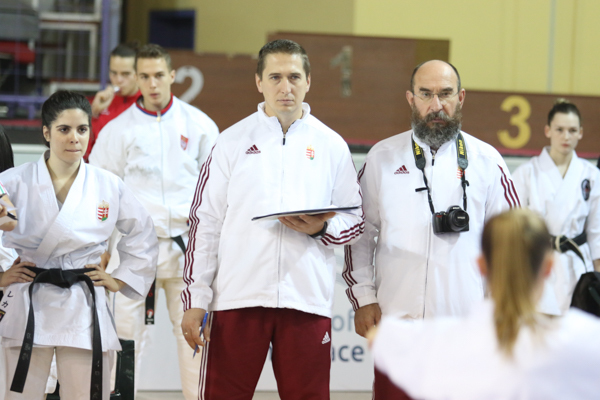 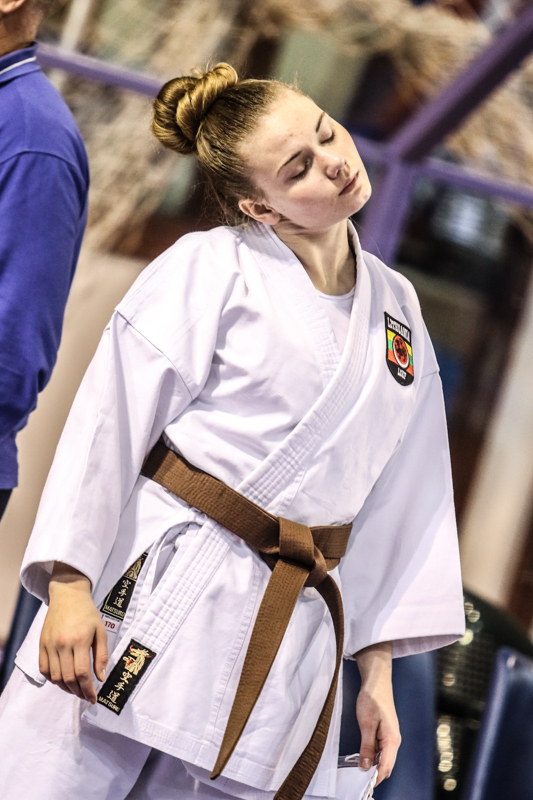 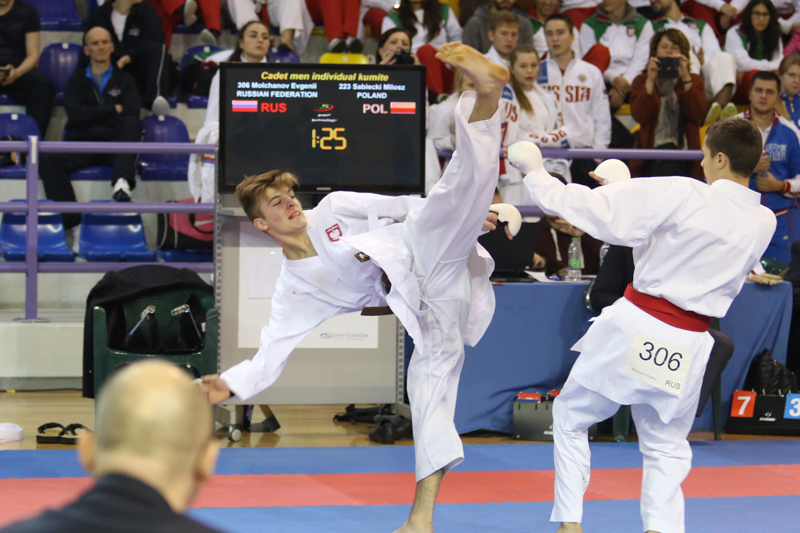 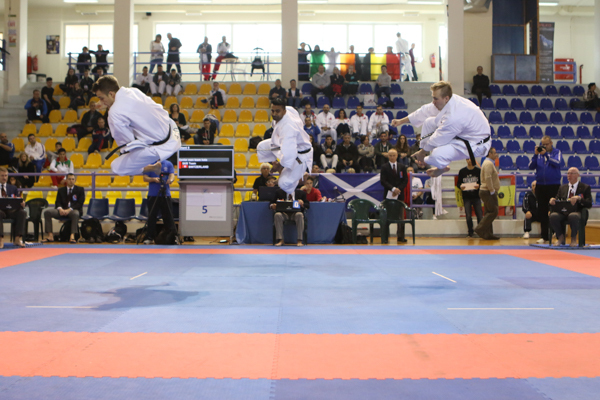 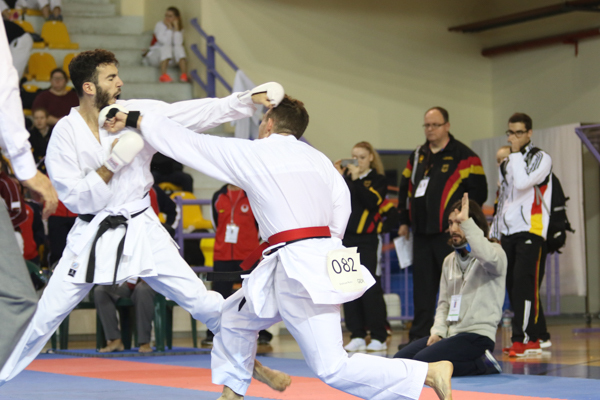 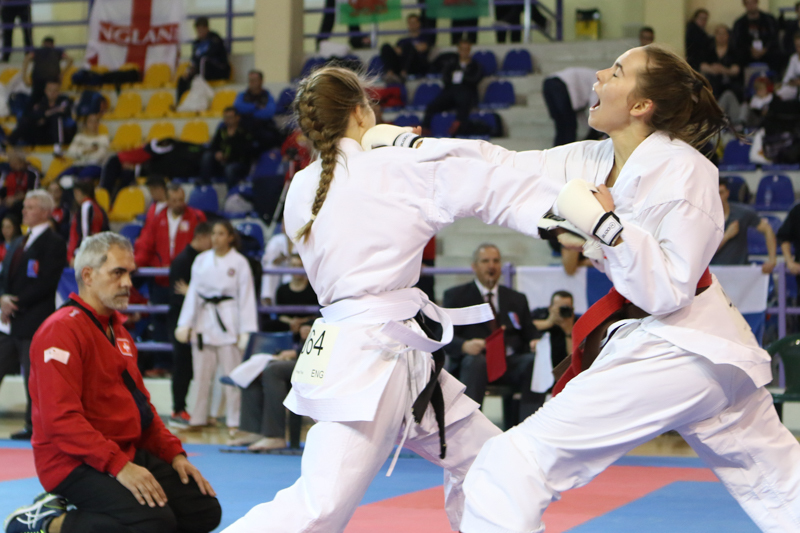 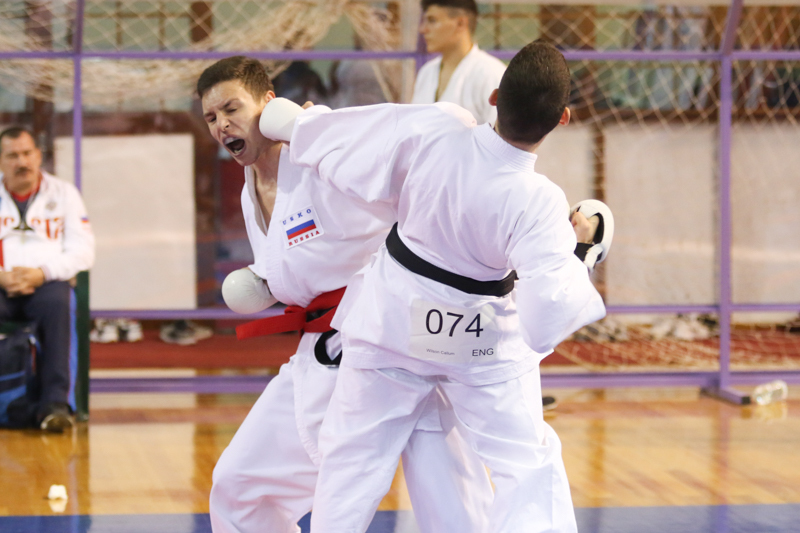 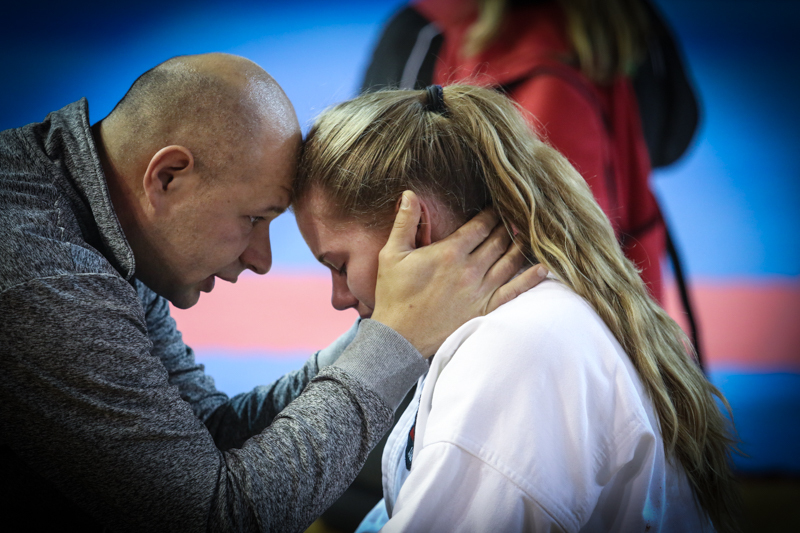 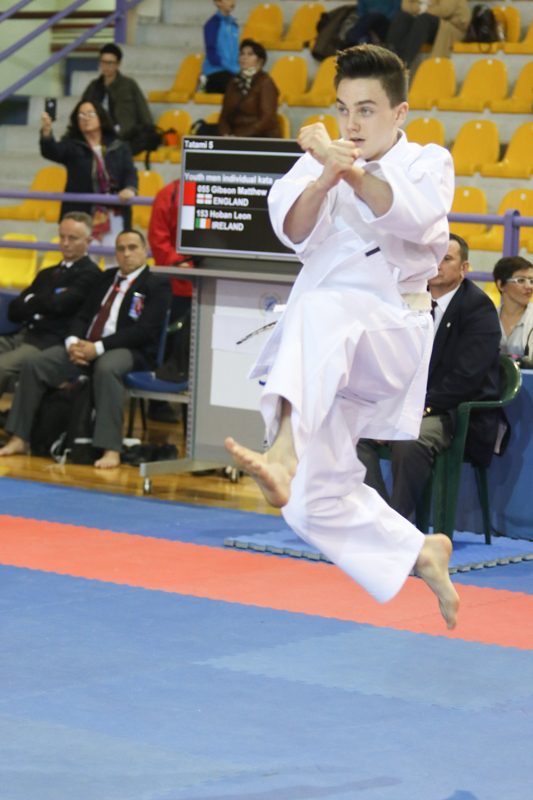 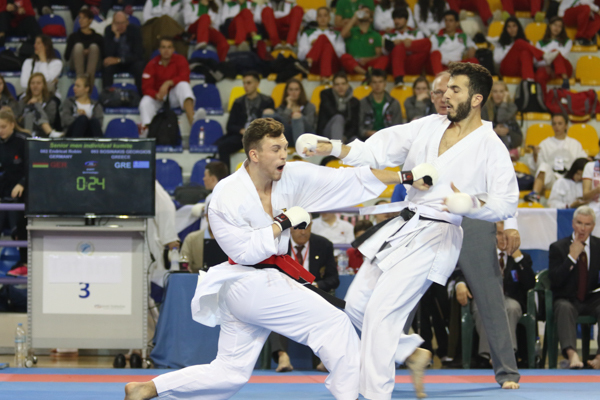 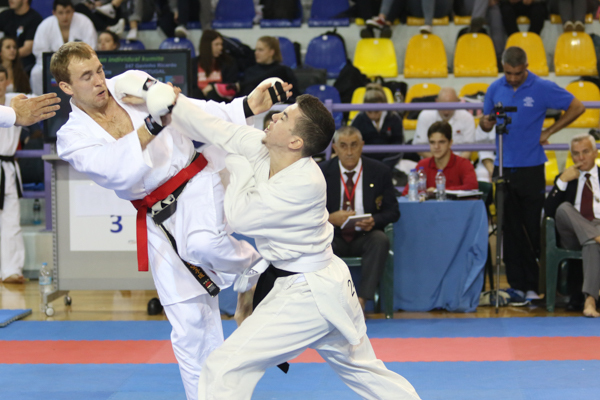 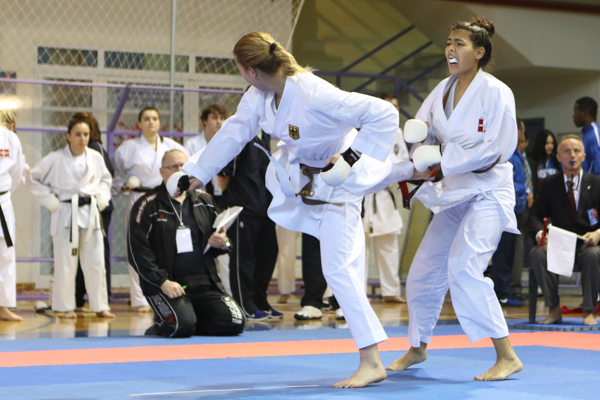 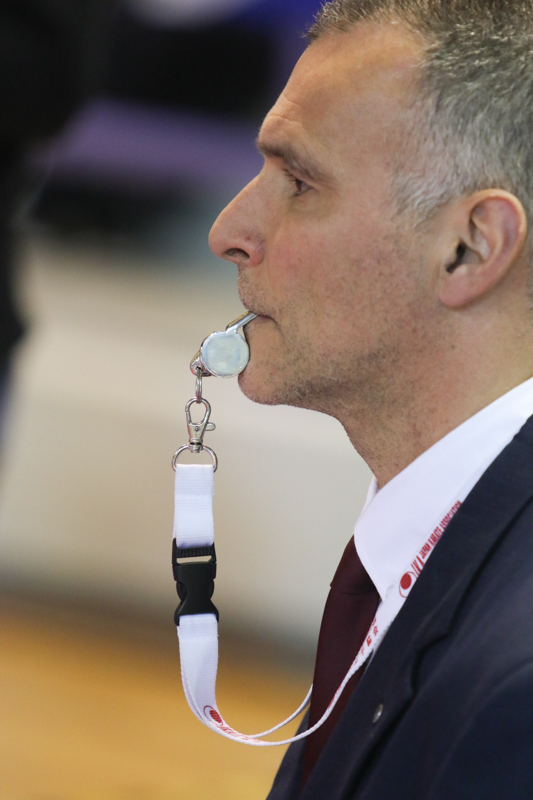 749 entries from 24 nations underline a great participation from all around europe and guaranteed an exciting championship with excellent kata and kumite bouts. 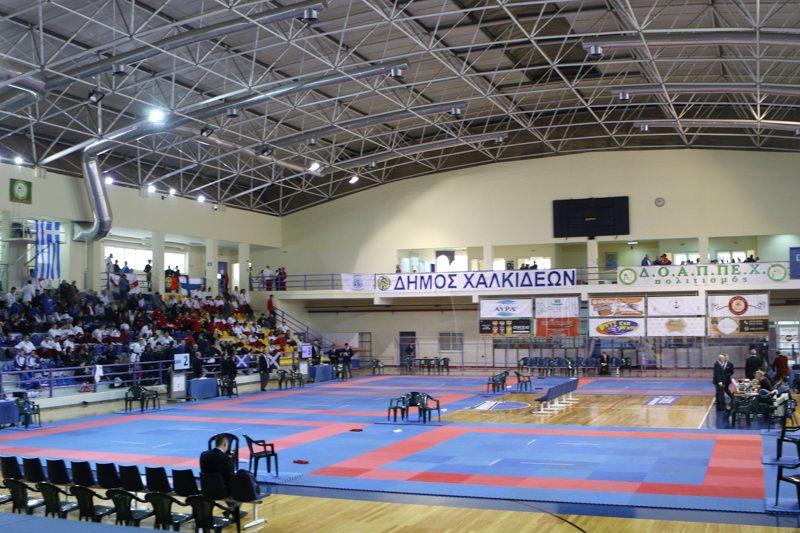 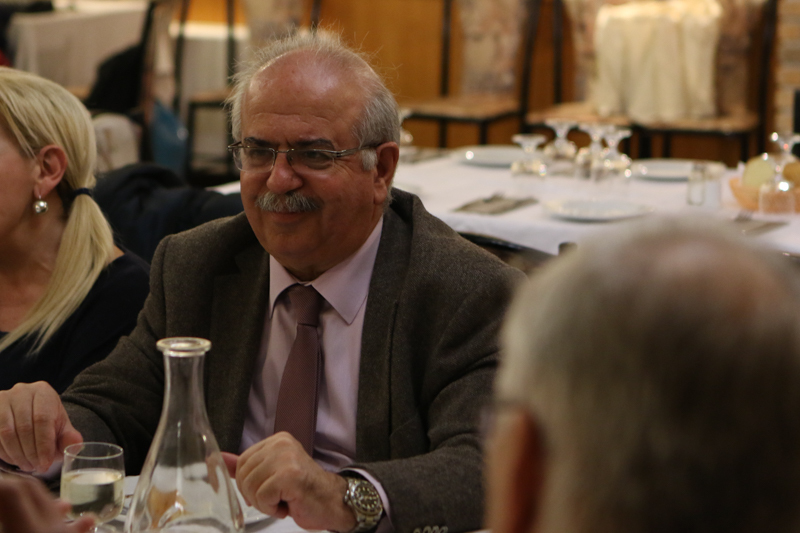 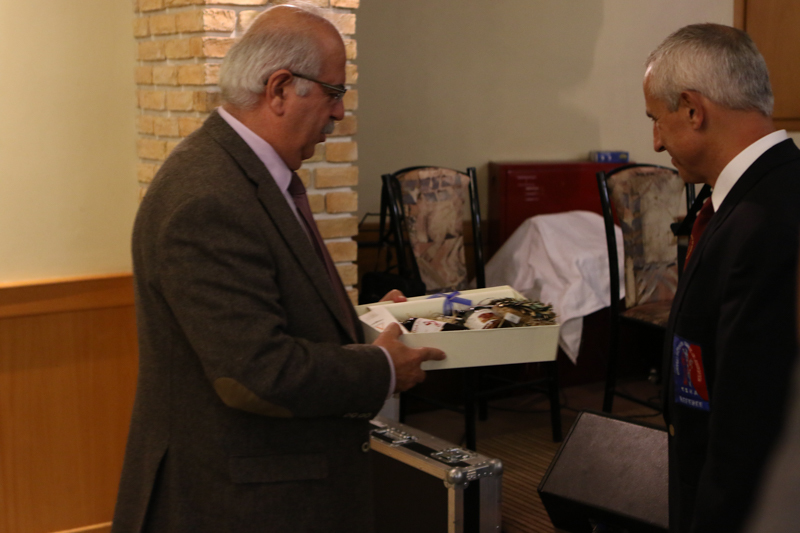 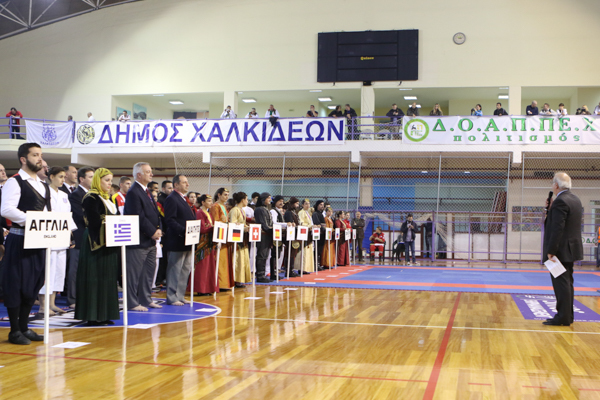 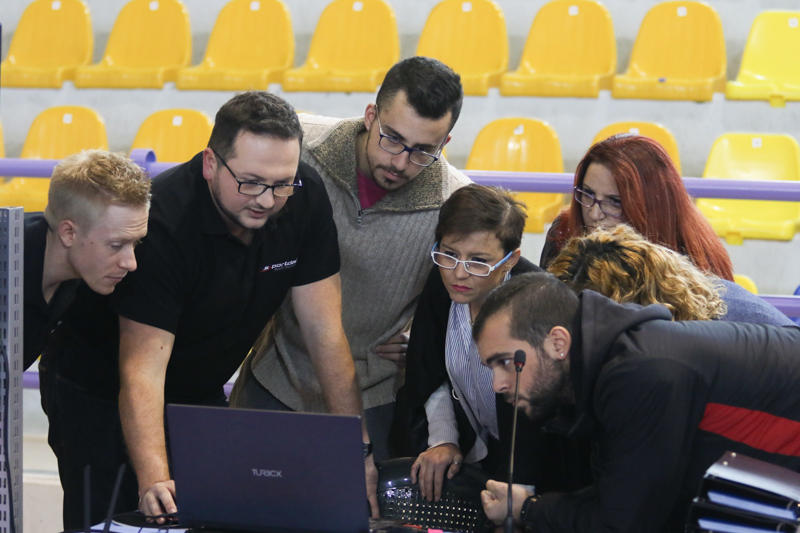 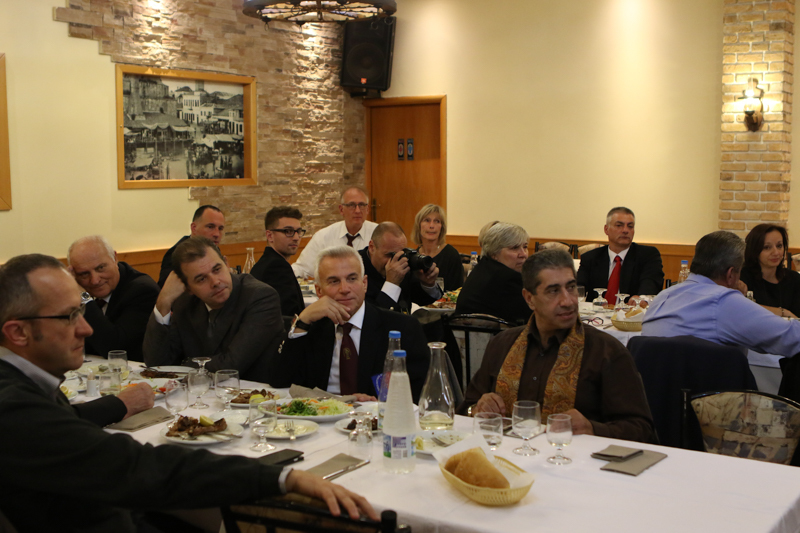 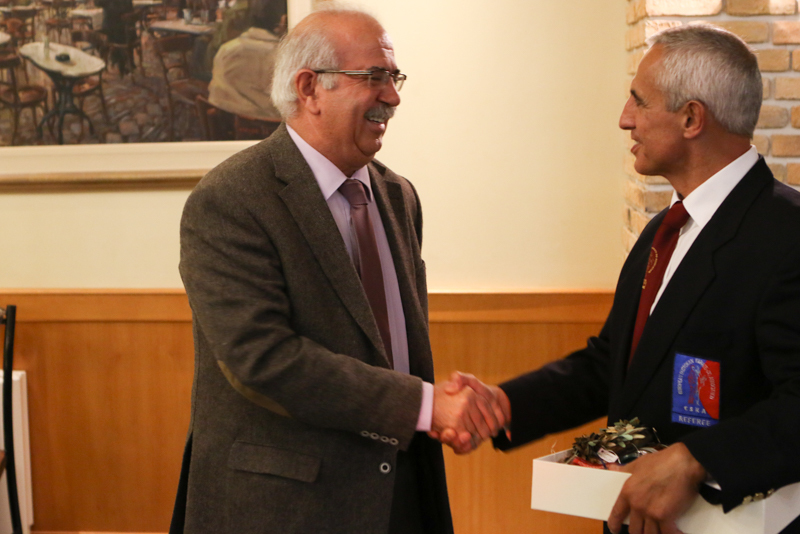 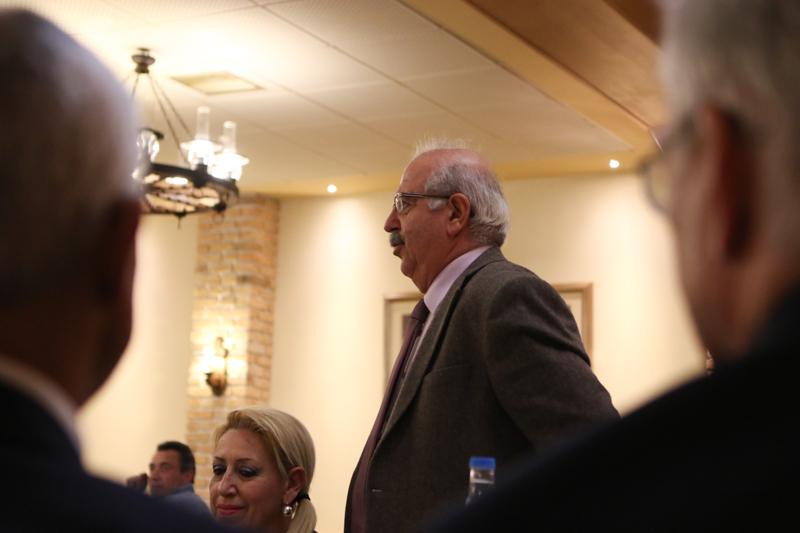 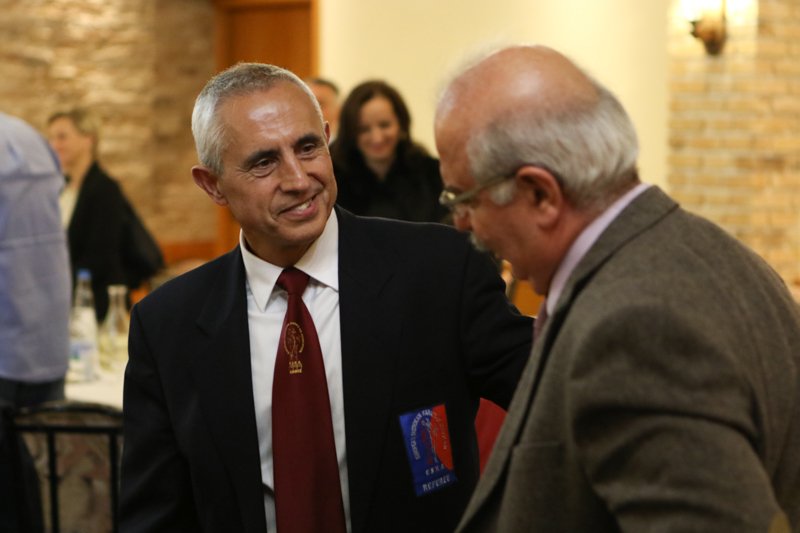 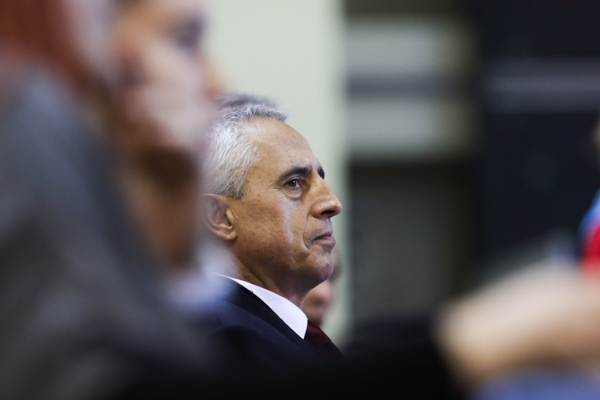 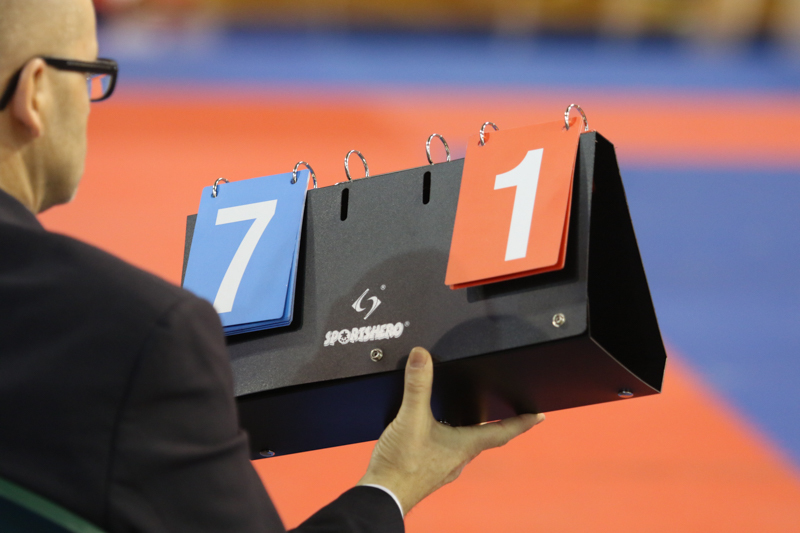 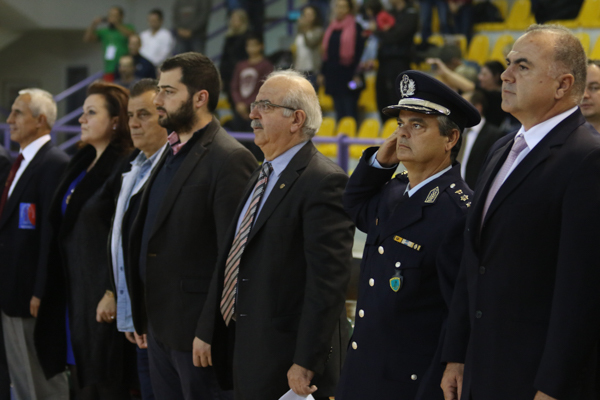 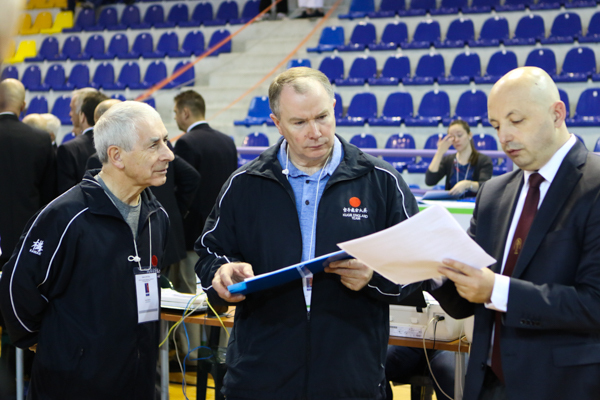 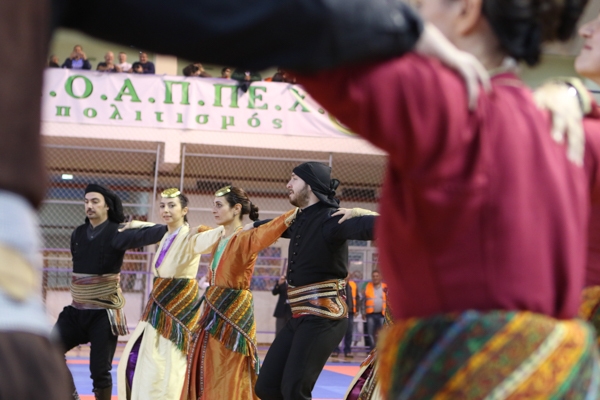 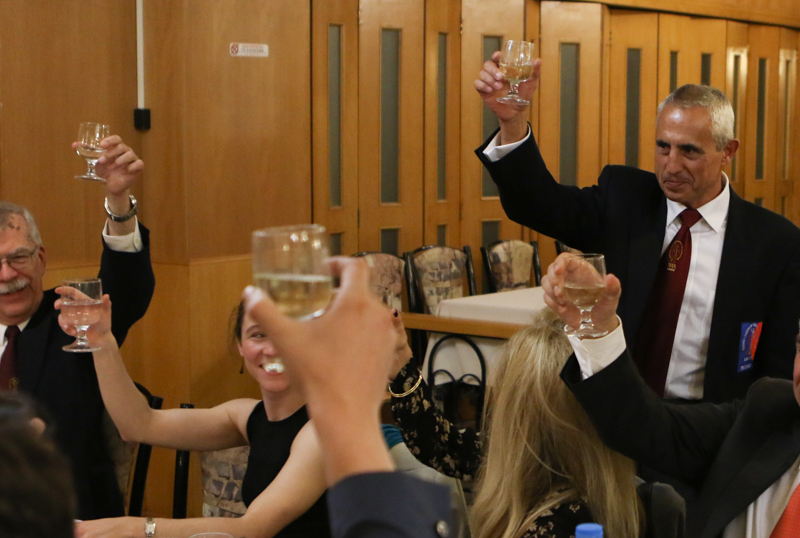 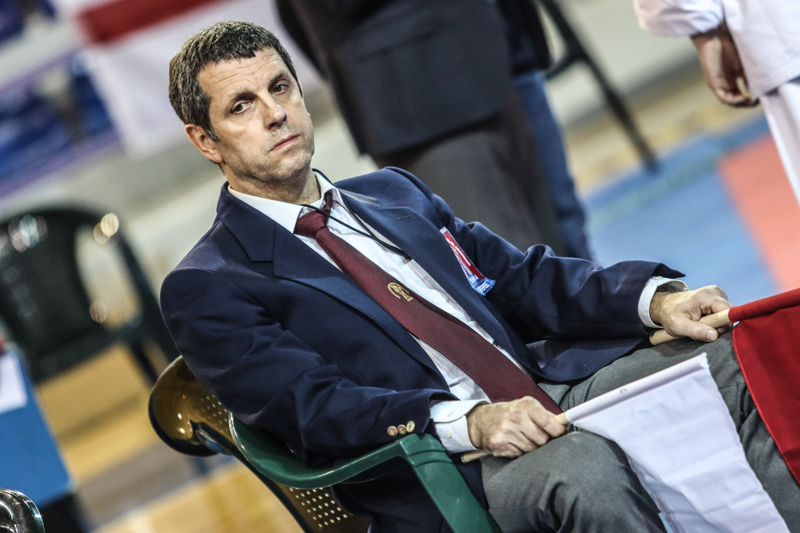 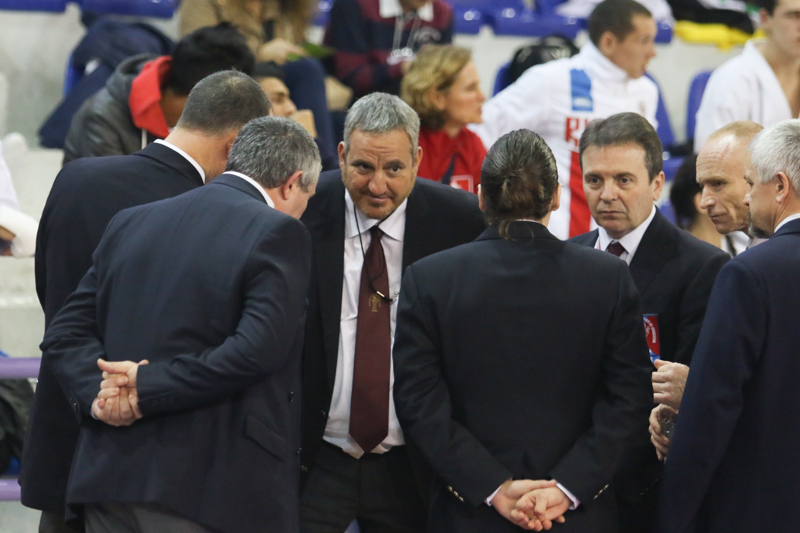 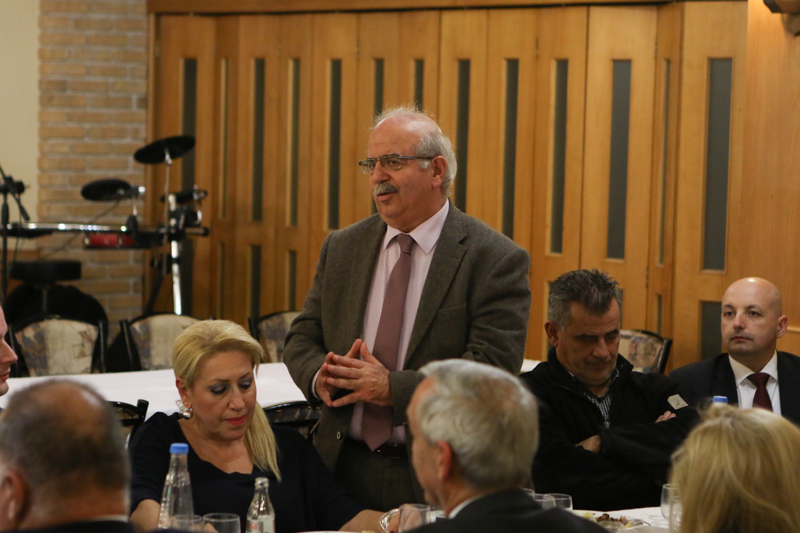 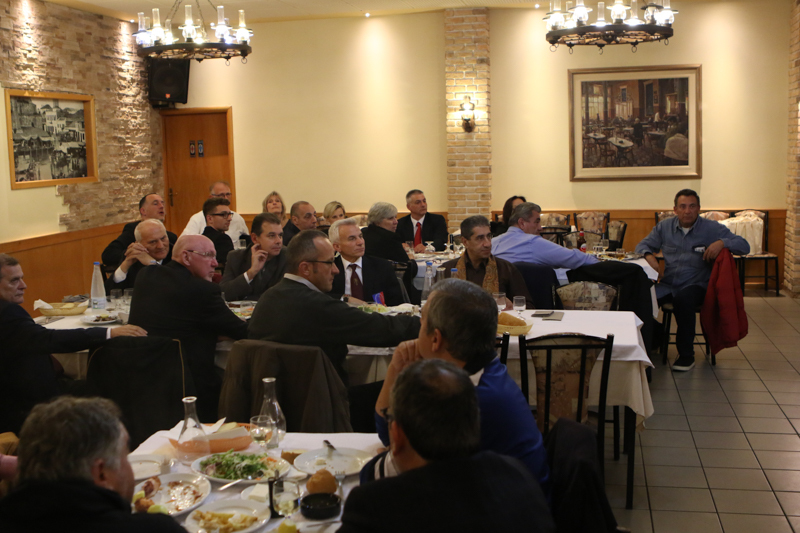 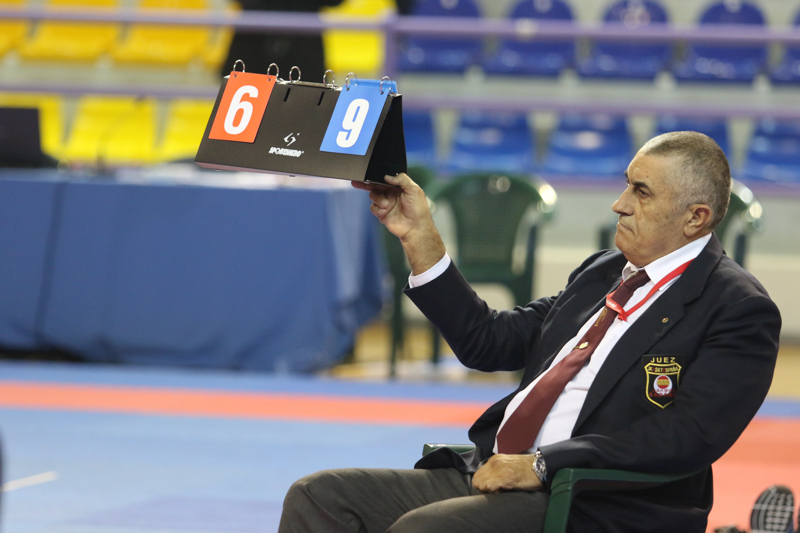 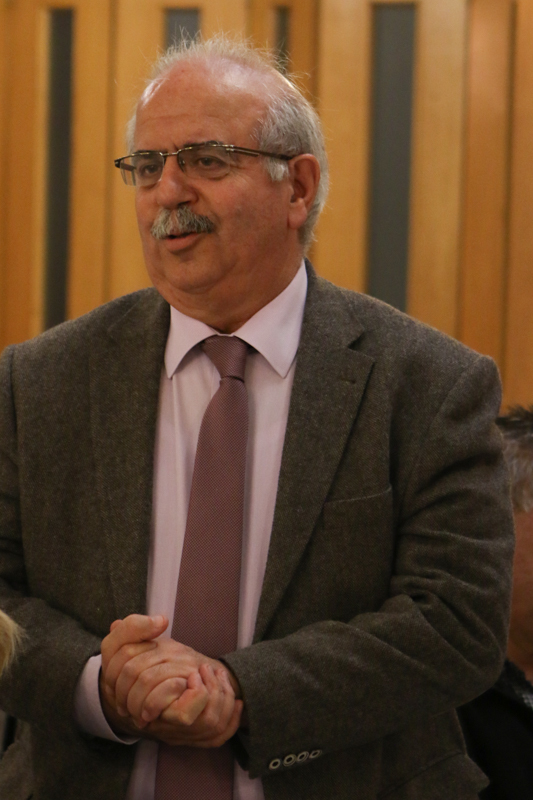 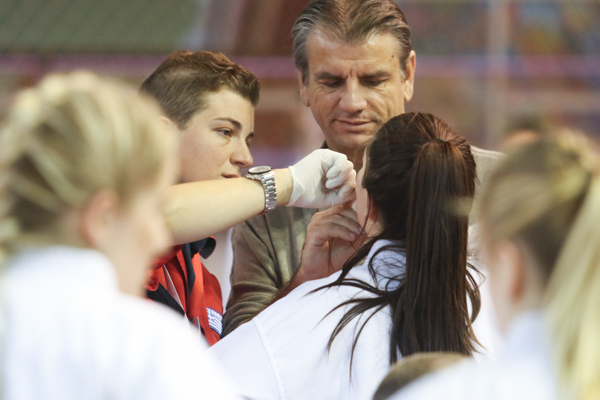 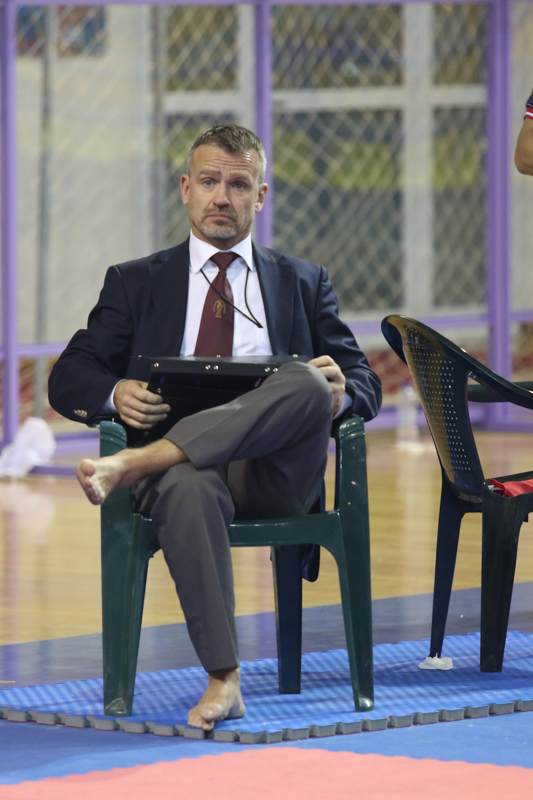 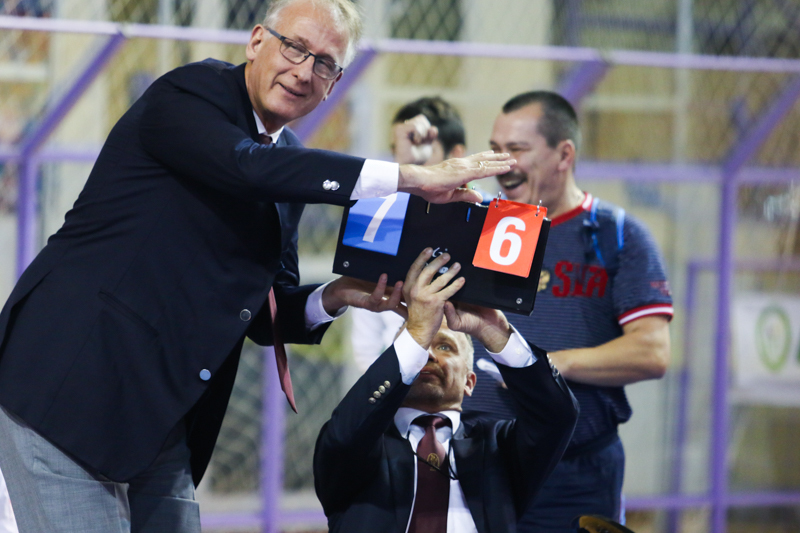 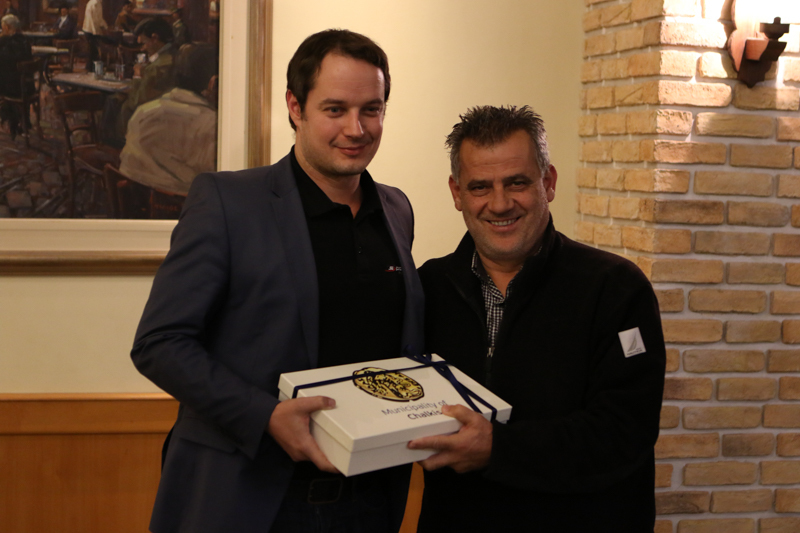 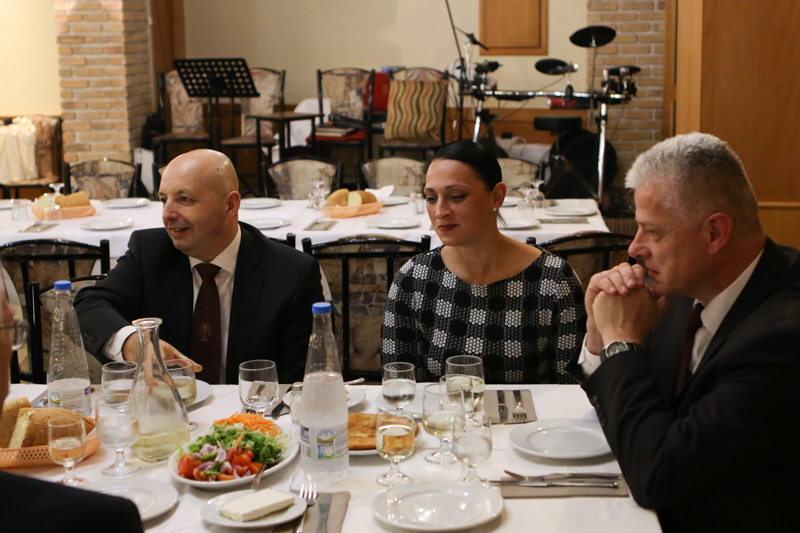 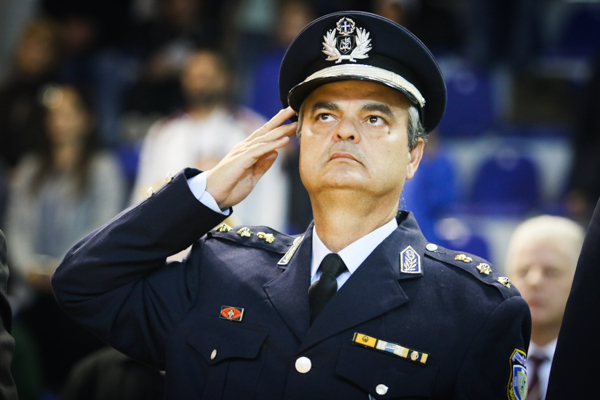 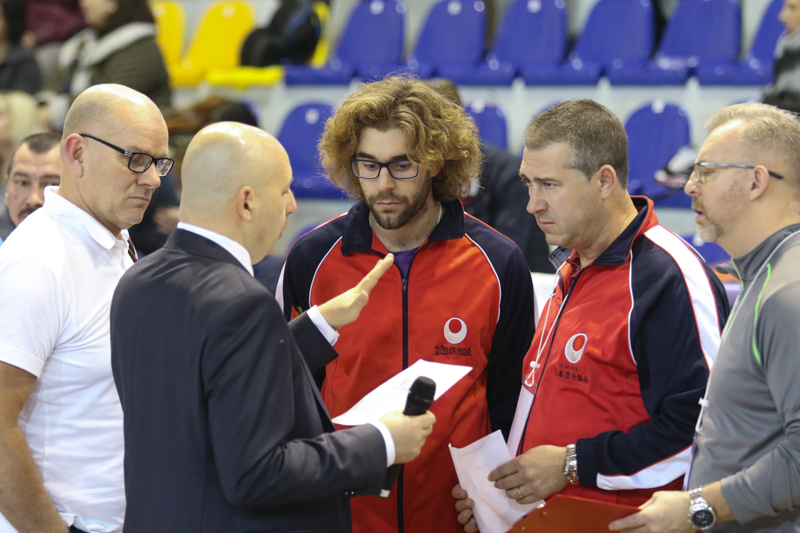 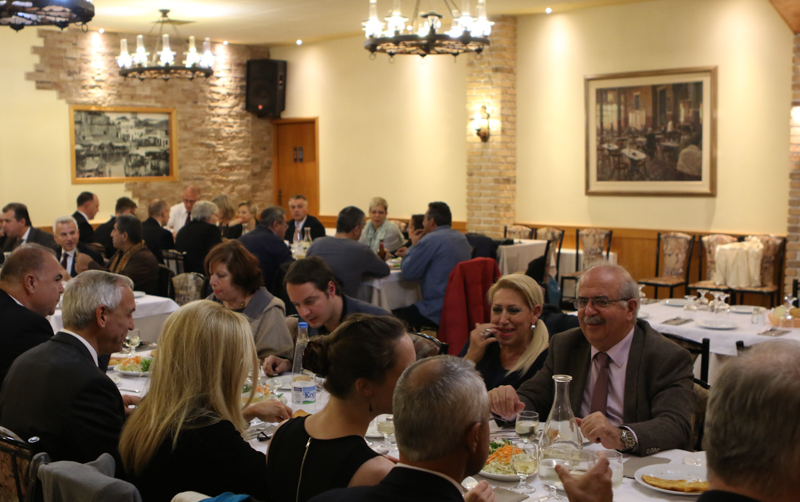 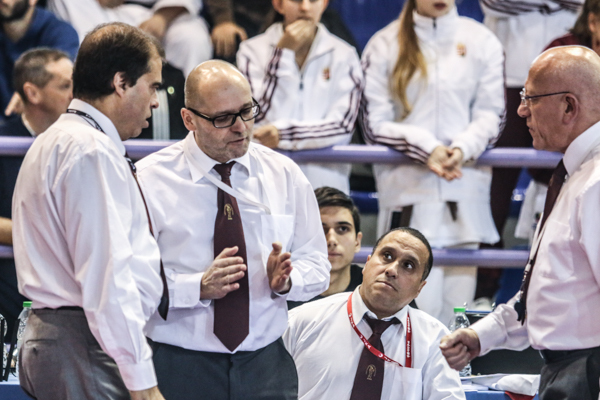 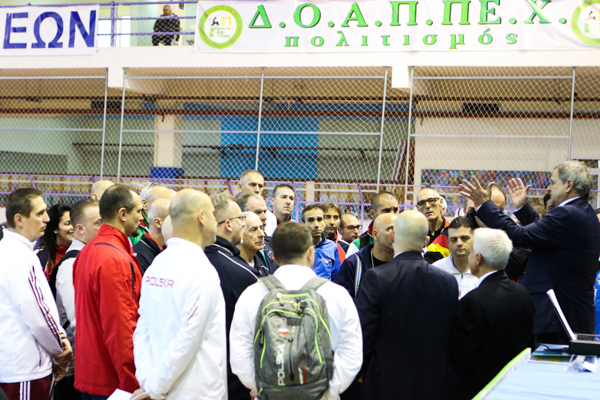 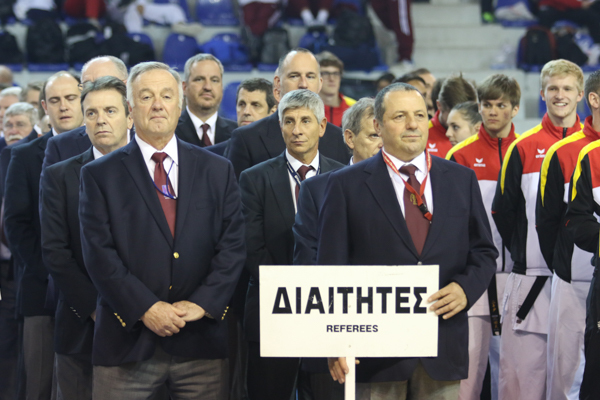 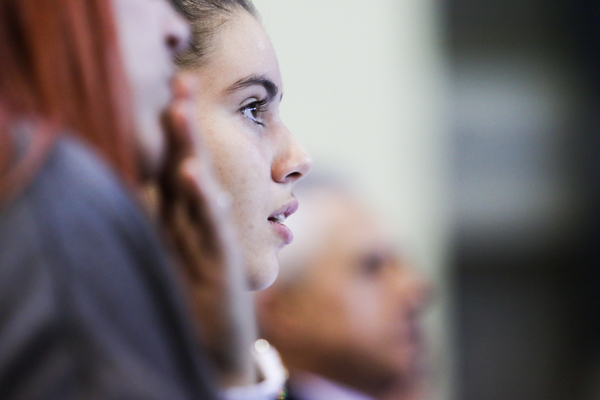 The tournament took place from 25-27th november at the competition venue “Tasos Kampouris”. 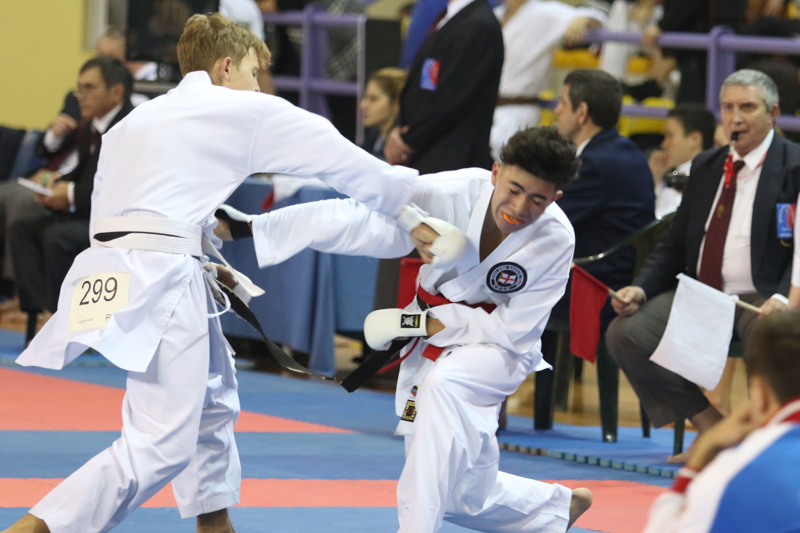 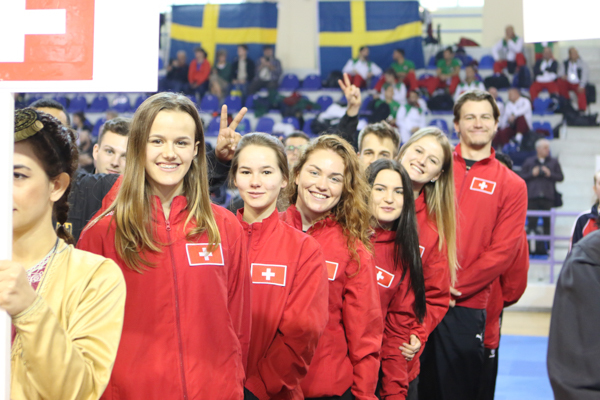 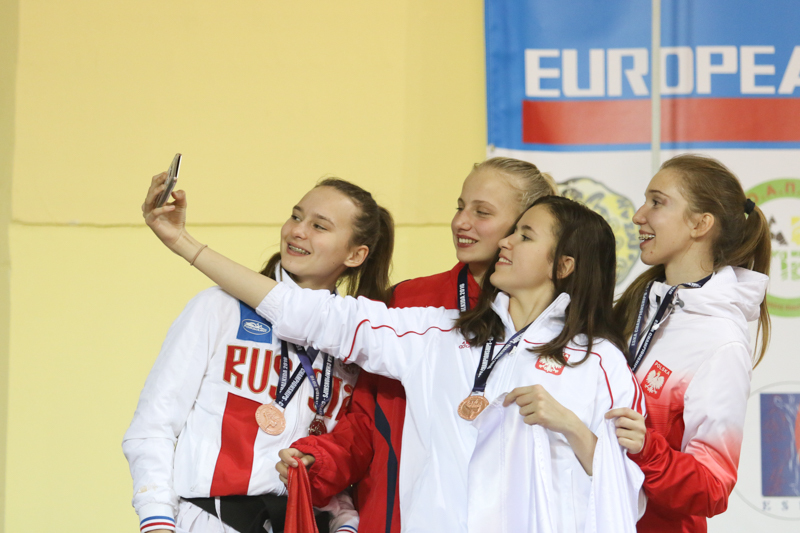 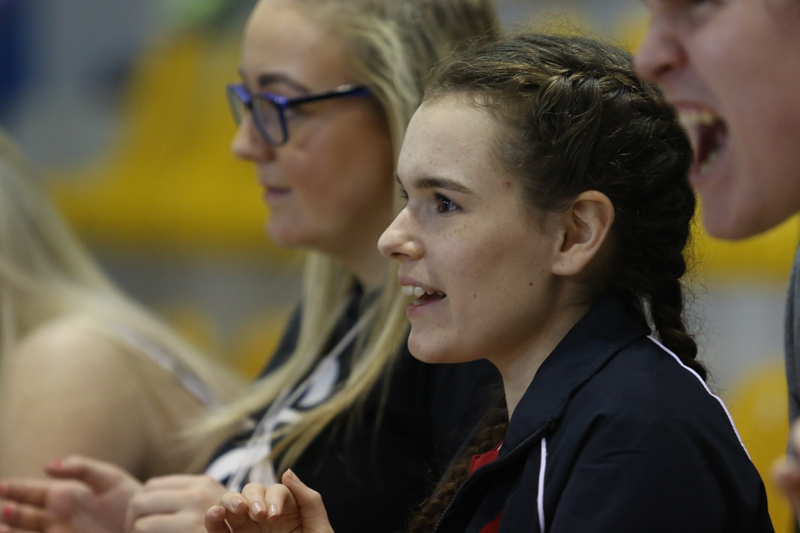 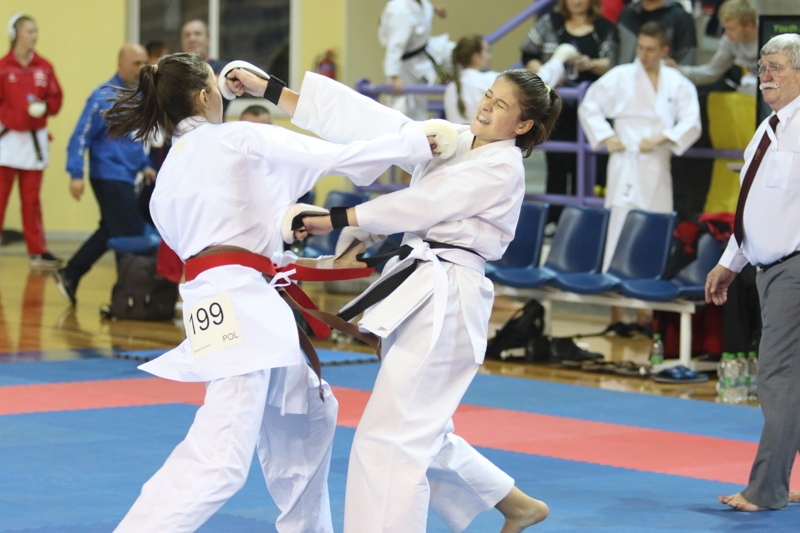 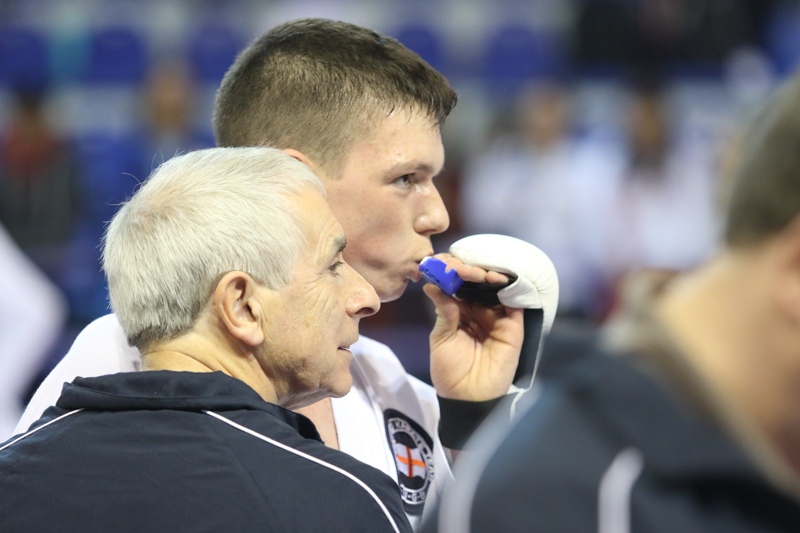 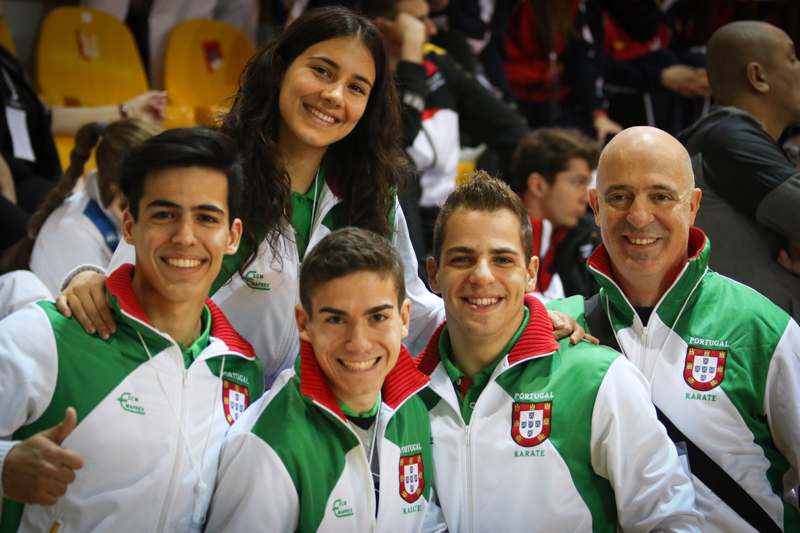 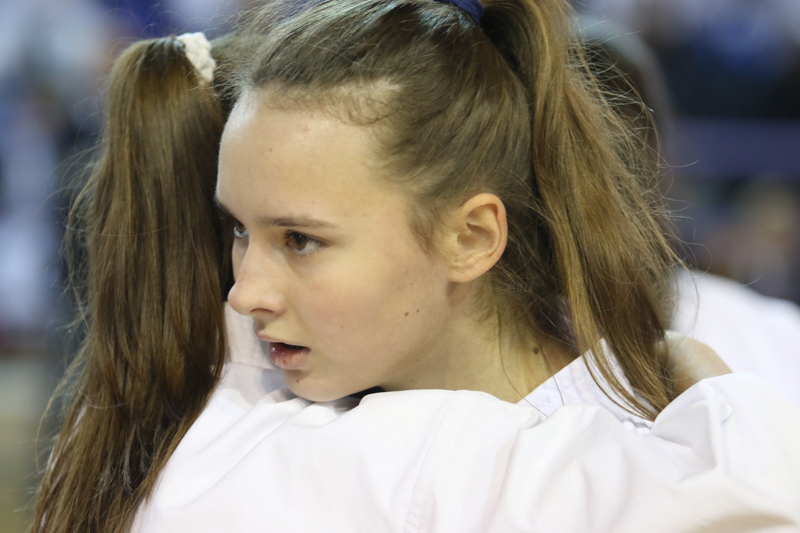 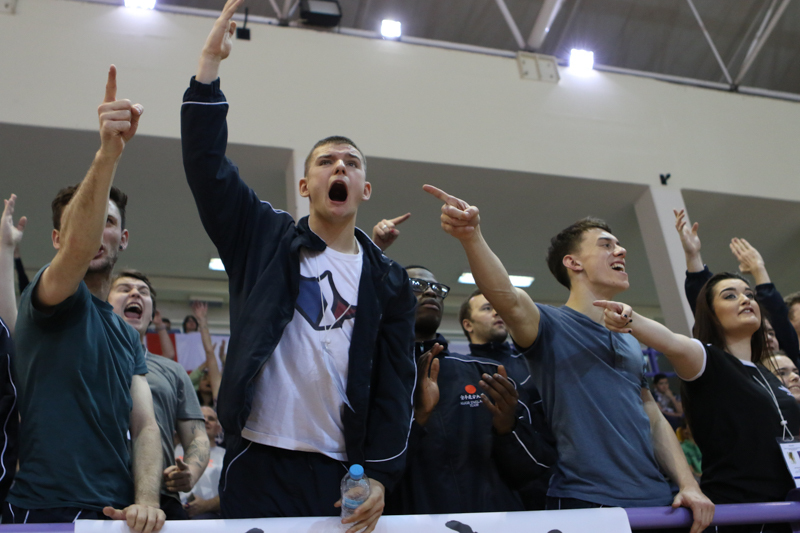 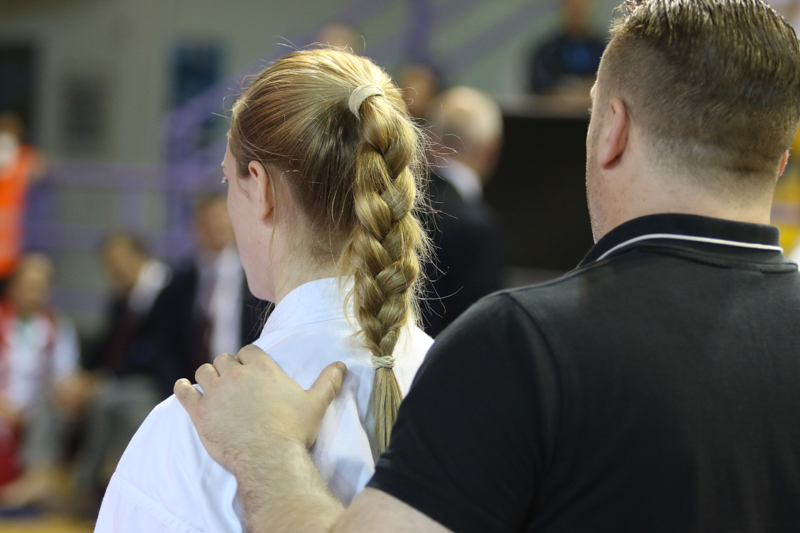 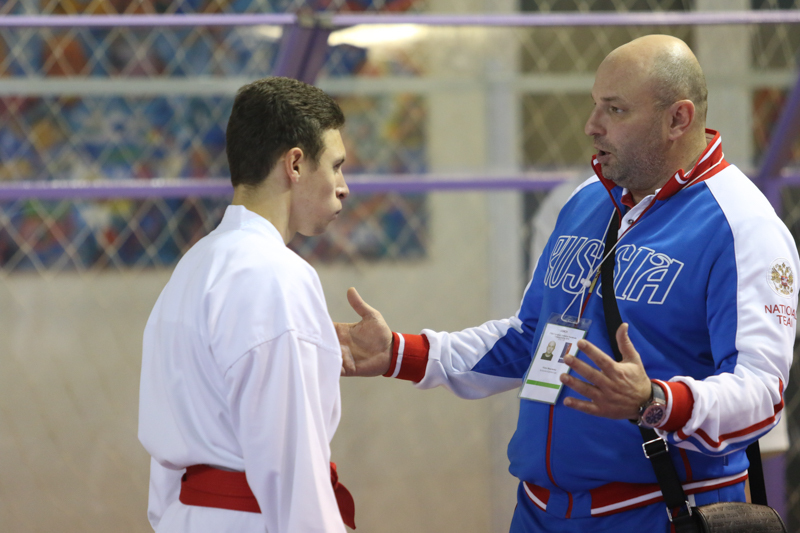 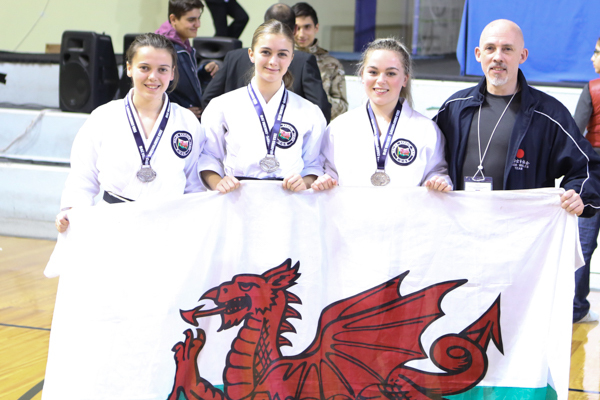 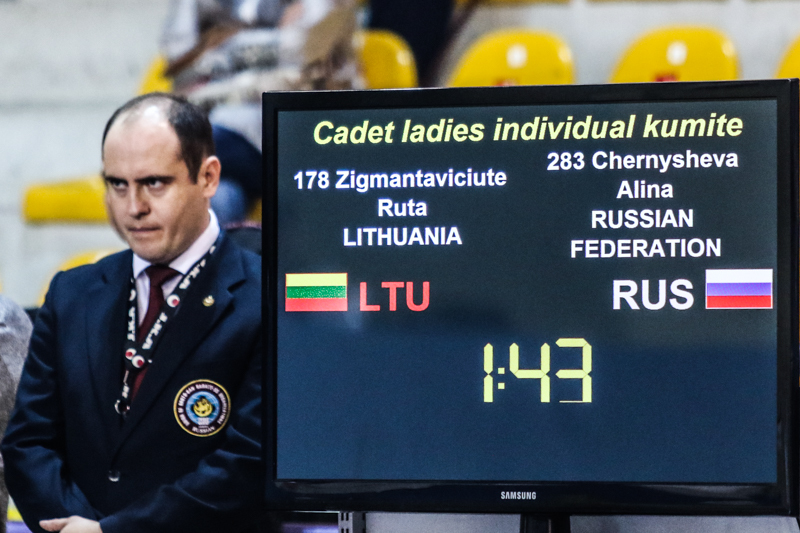 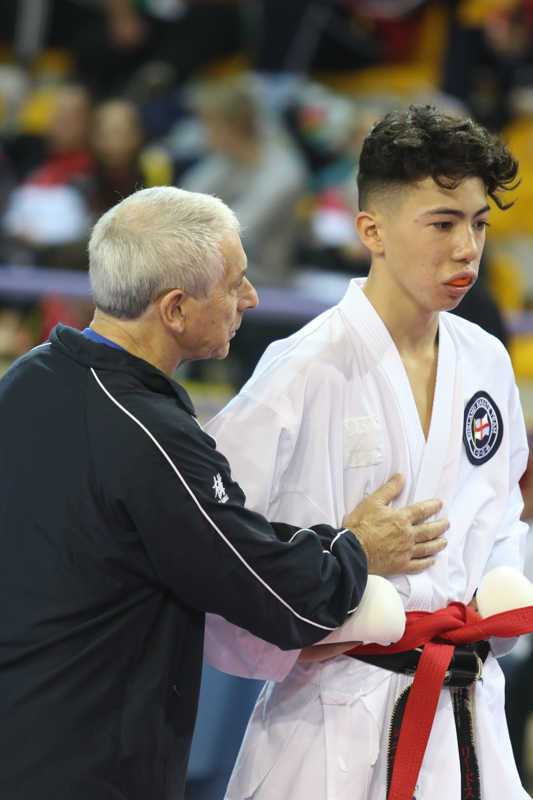 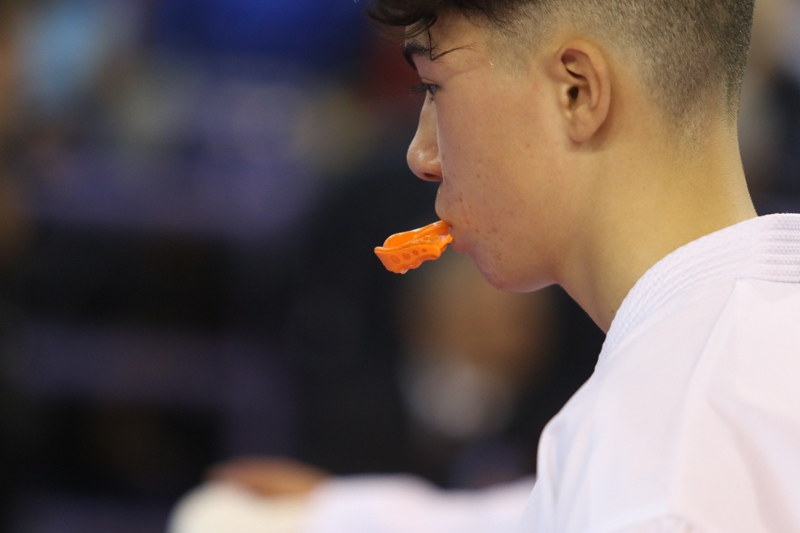 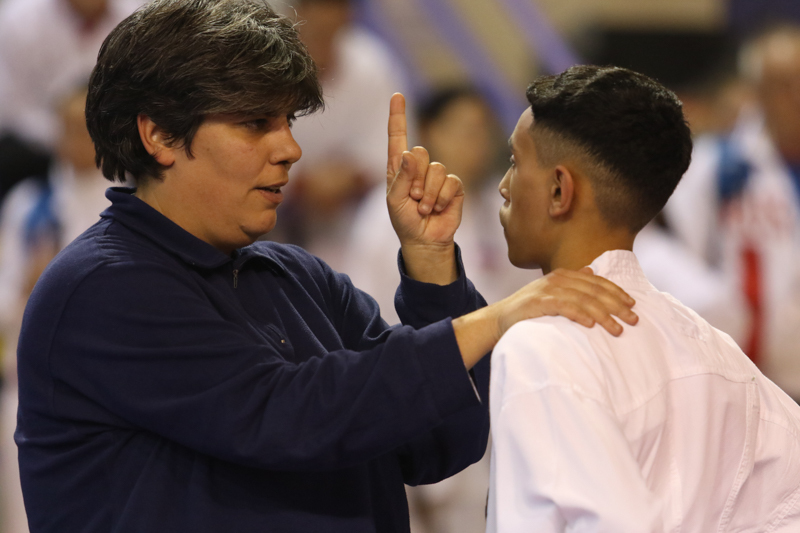 While on friday the cadets fought for the titles, on saturday and sunday the athletes of the junior and senior categories demonstrated their best performances on their way to the podium. 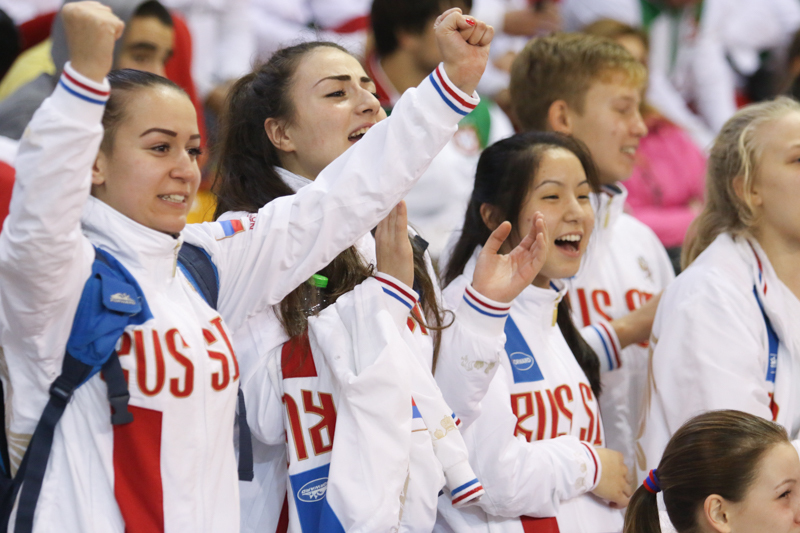 In the medals table team Russia achieved an extraordinary result with a total amount of 27 medals (11 gold, 6 silver and 10 bronce). 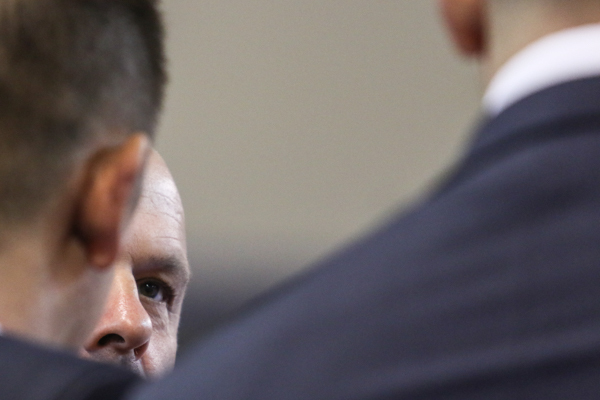 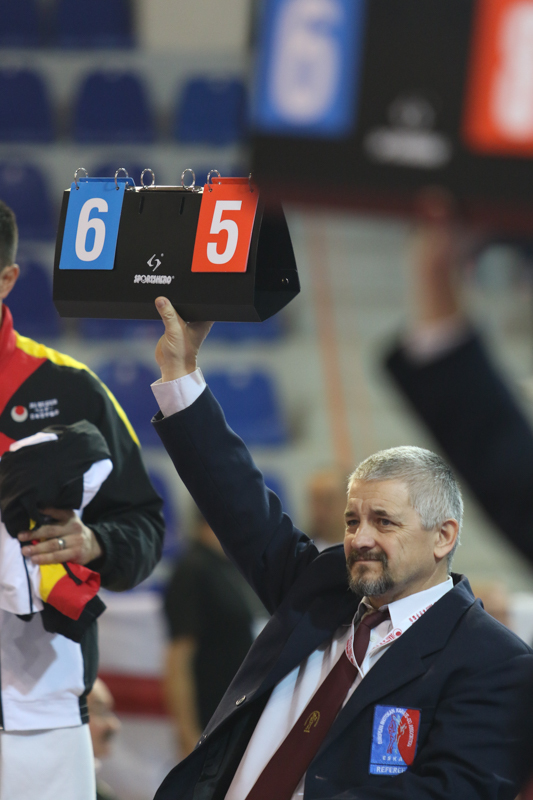 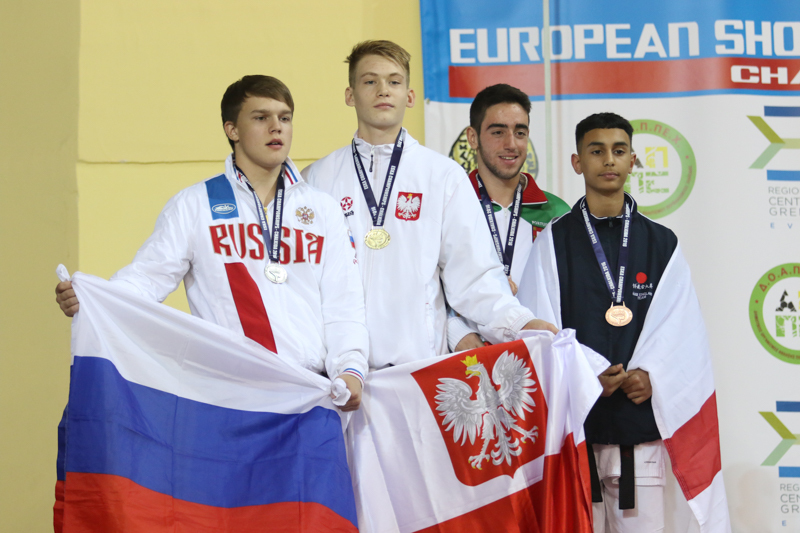 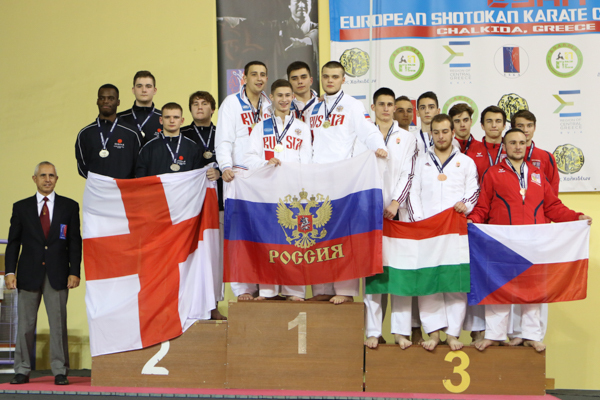 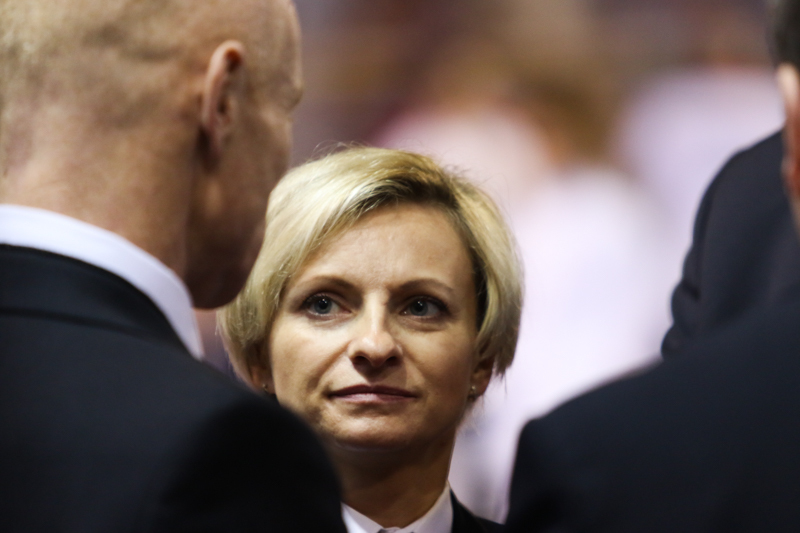 Poland and Germany followed on second and third place with five and three gold medals.